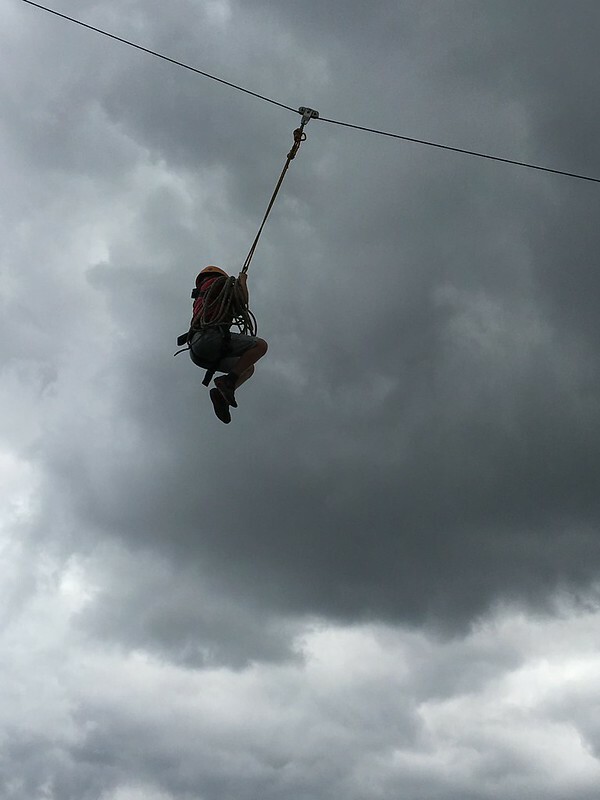 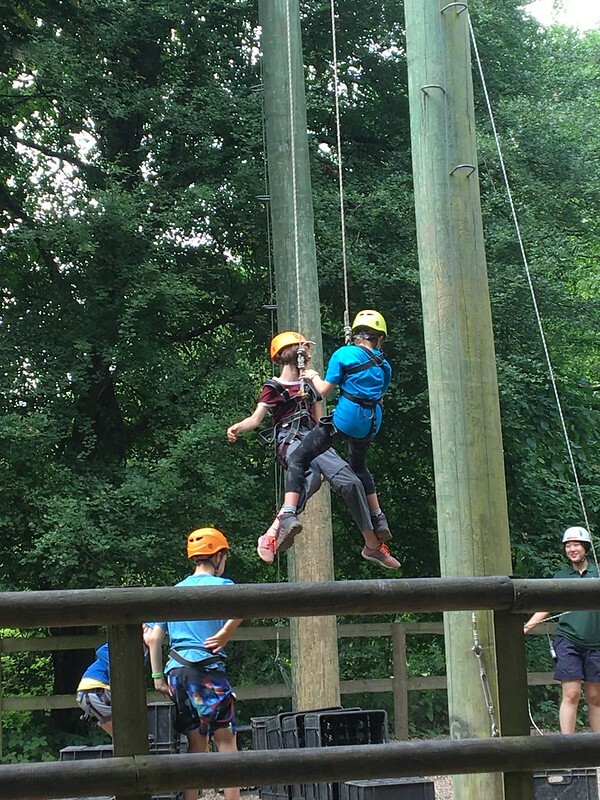 What we did last summer….. 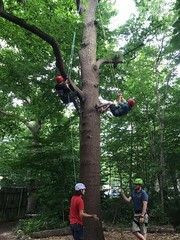 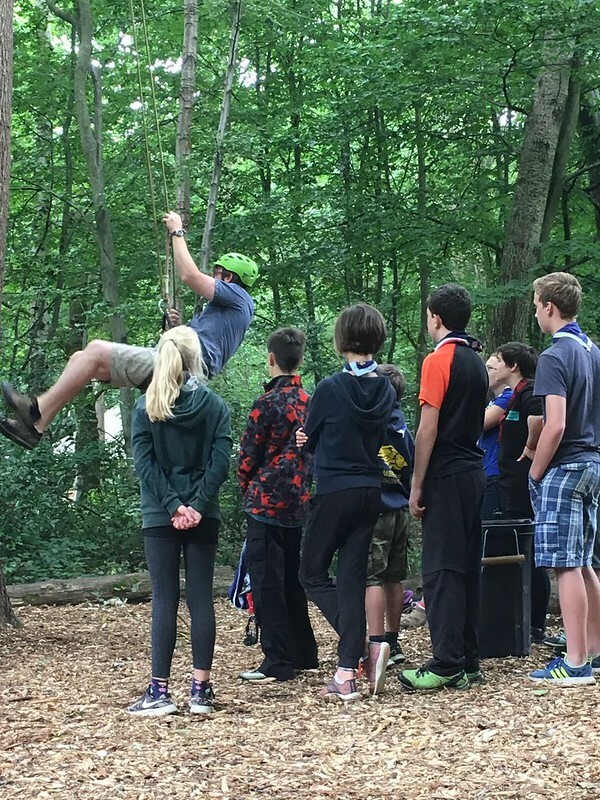 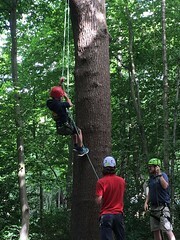 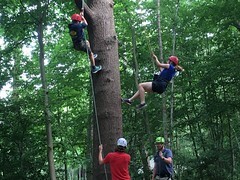 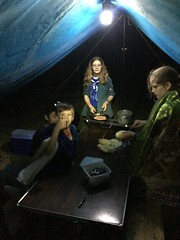 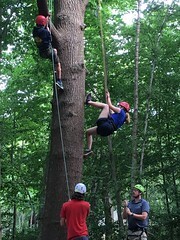 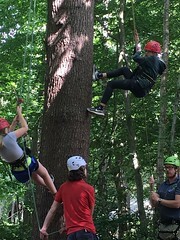 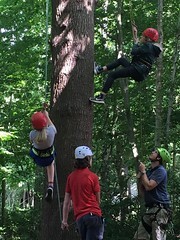 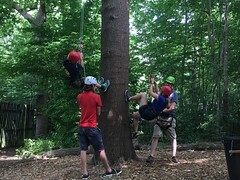 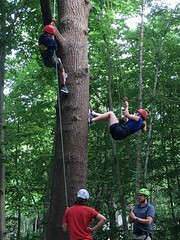 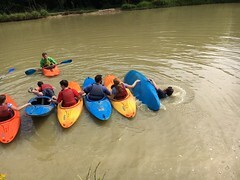 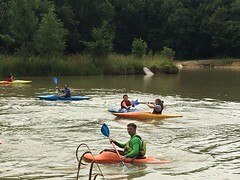 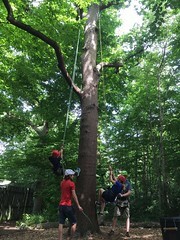 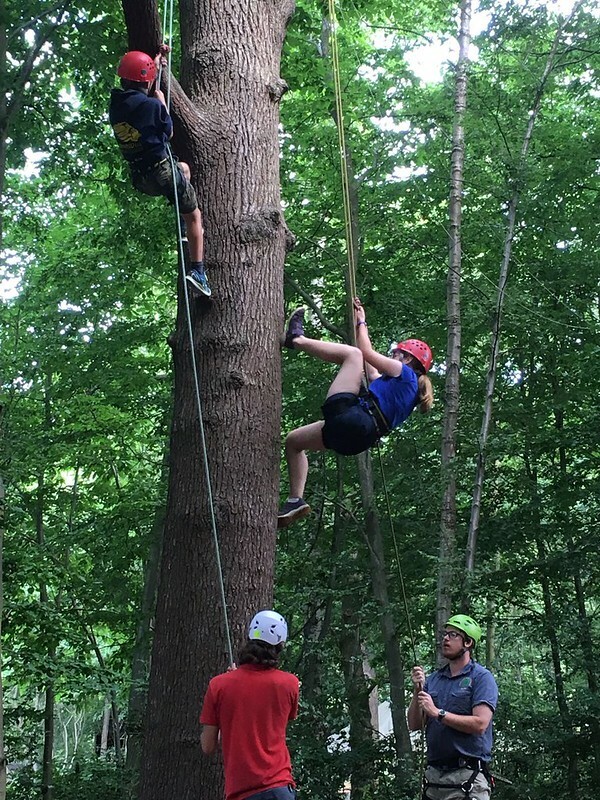 While summer 2017 will mostly be remembered for the Canada expedition the fact remained that the scouts who didn’t get to go were just as busy! 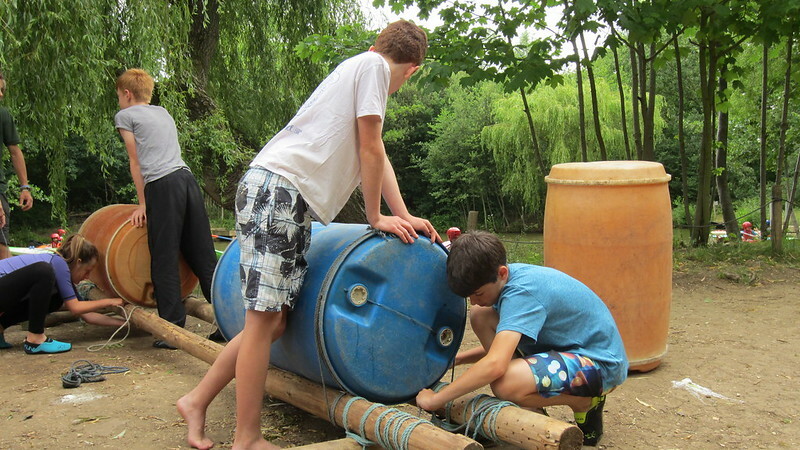 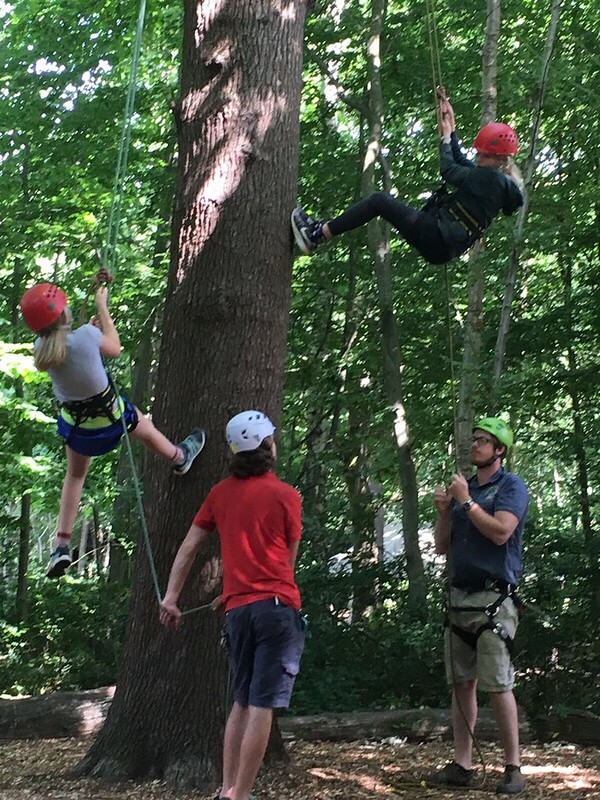 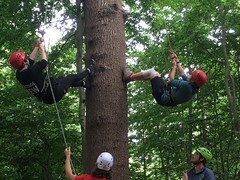 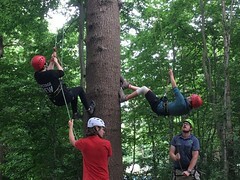 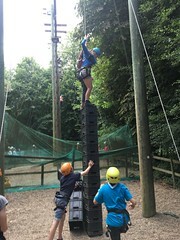 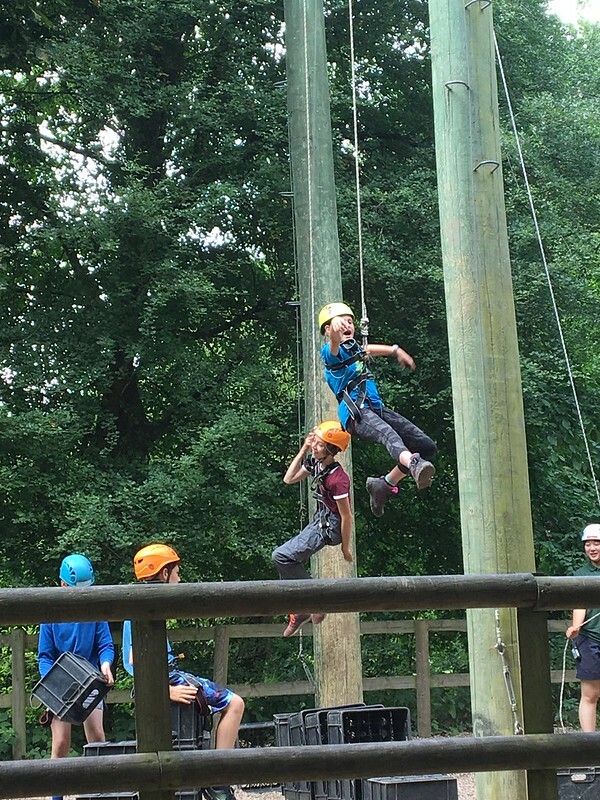 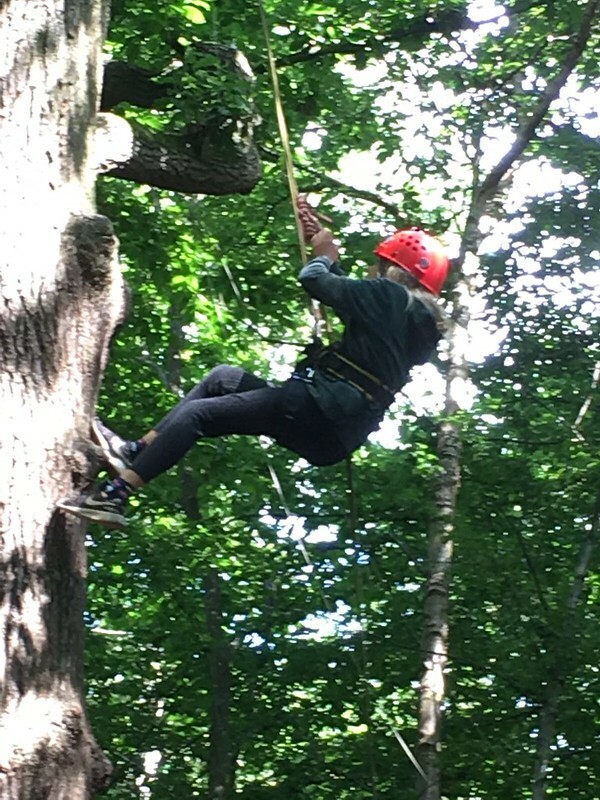 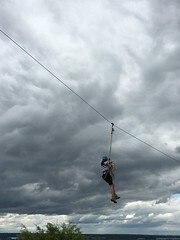 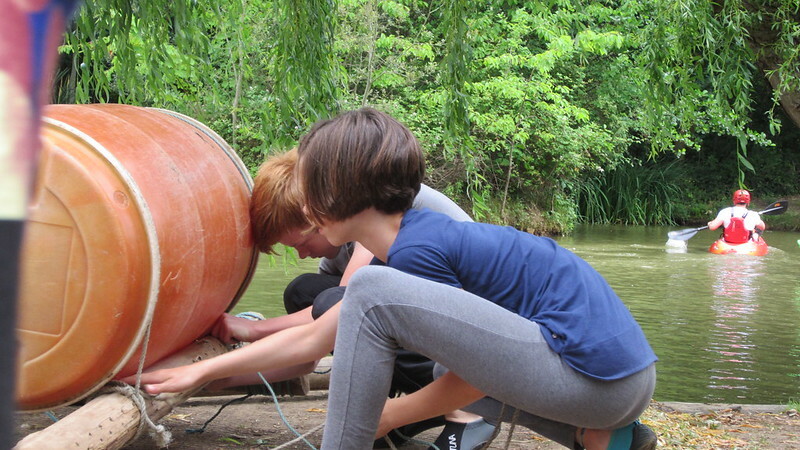 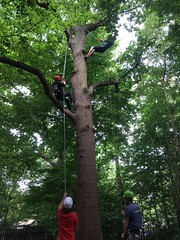 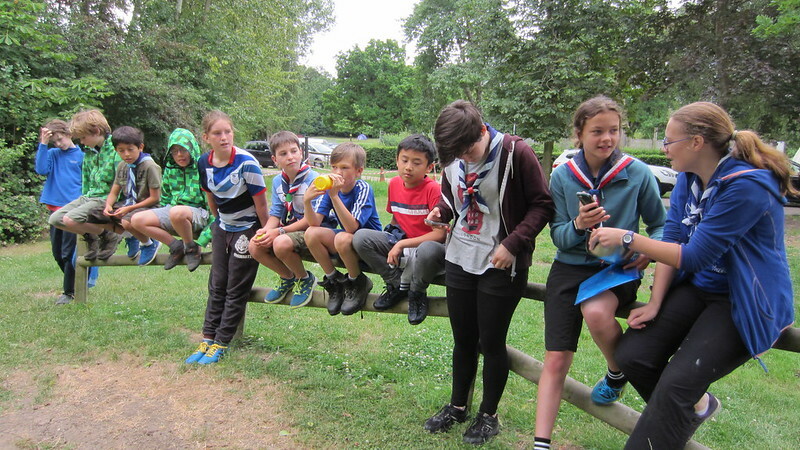 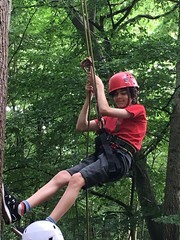 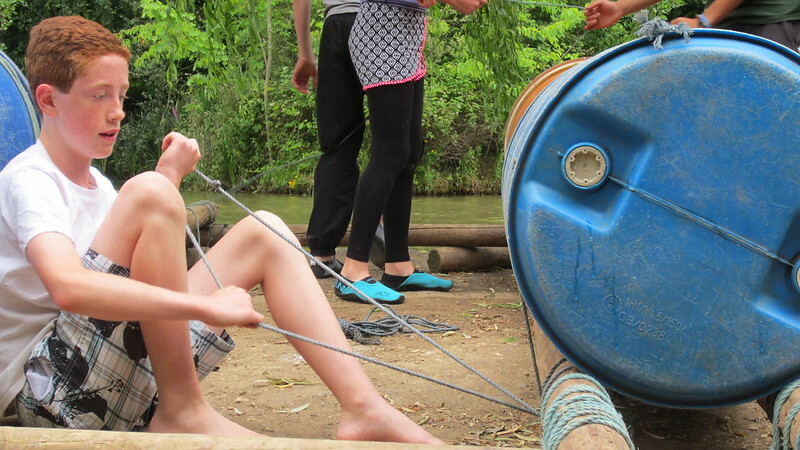 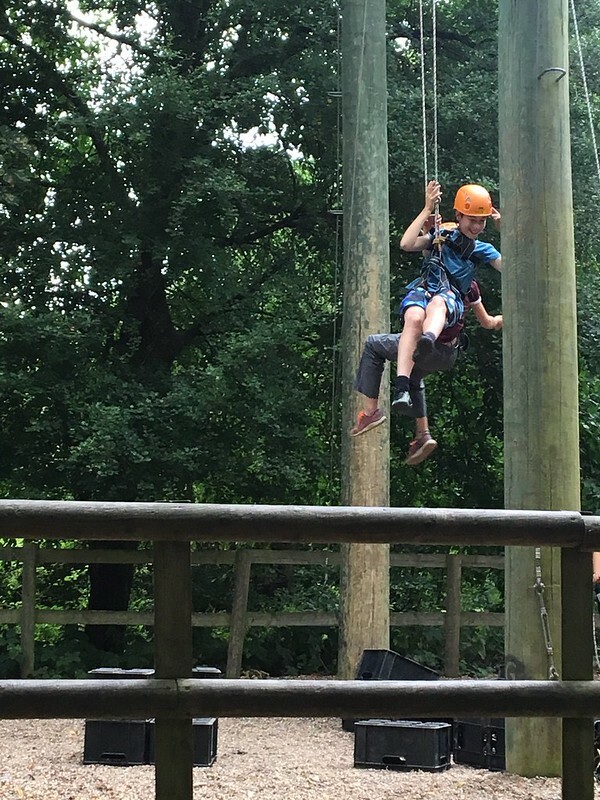 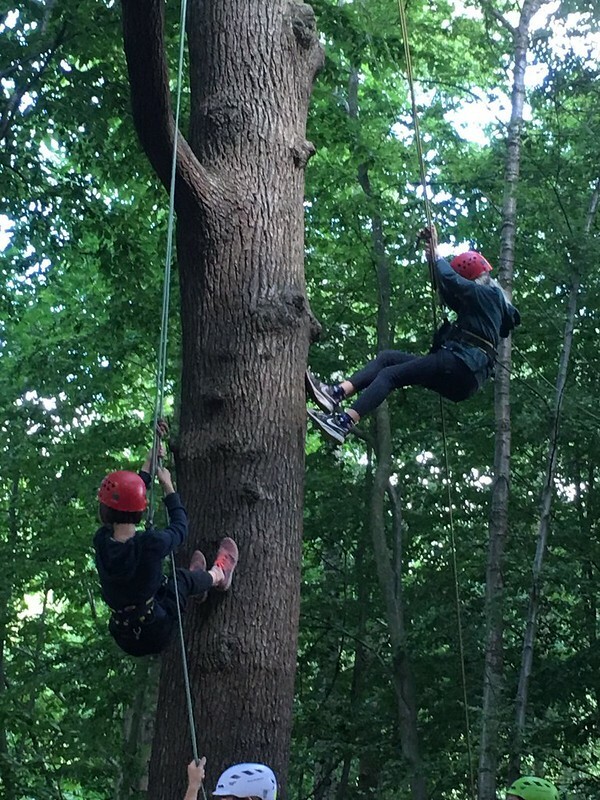 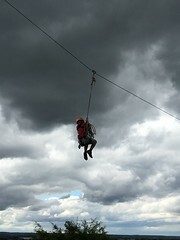 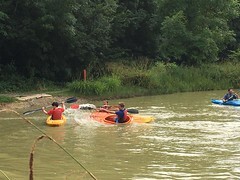 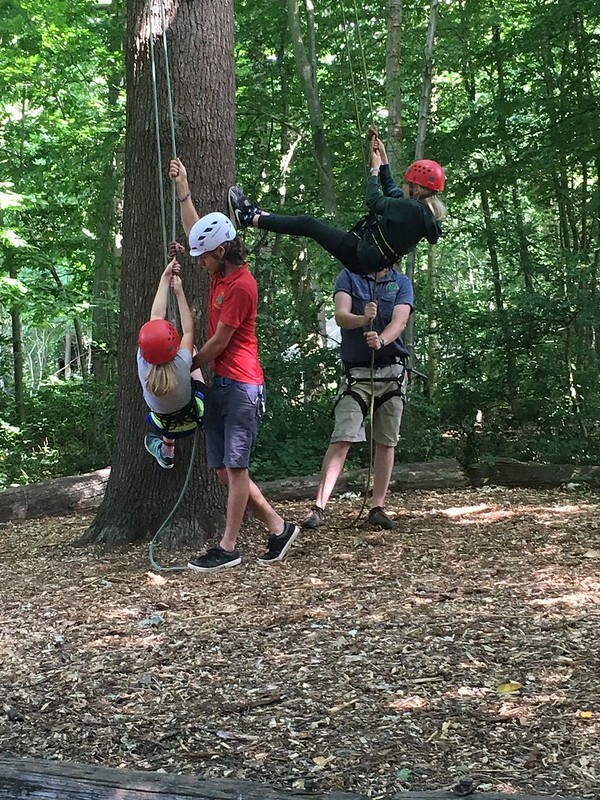 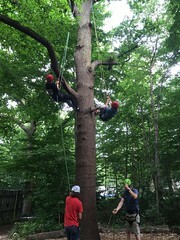 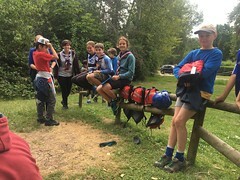 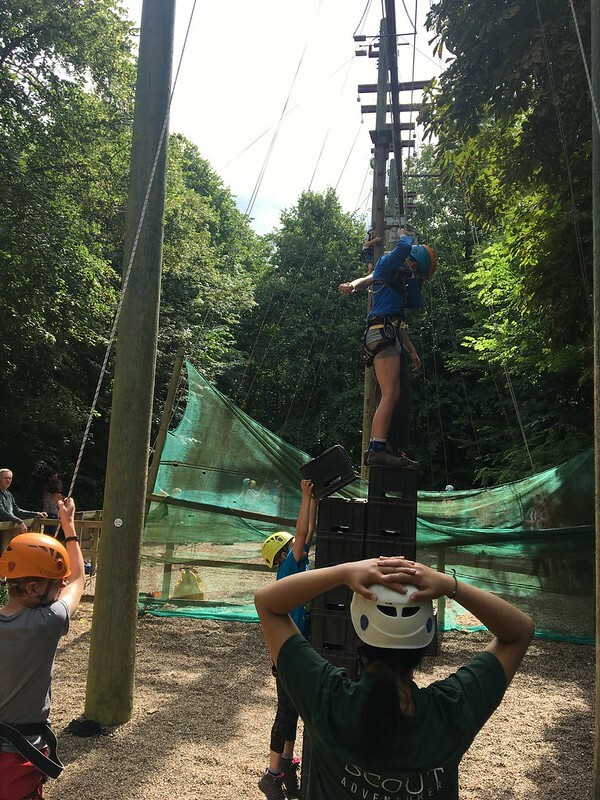 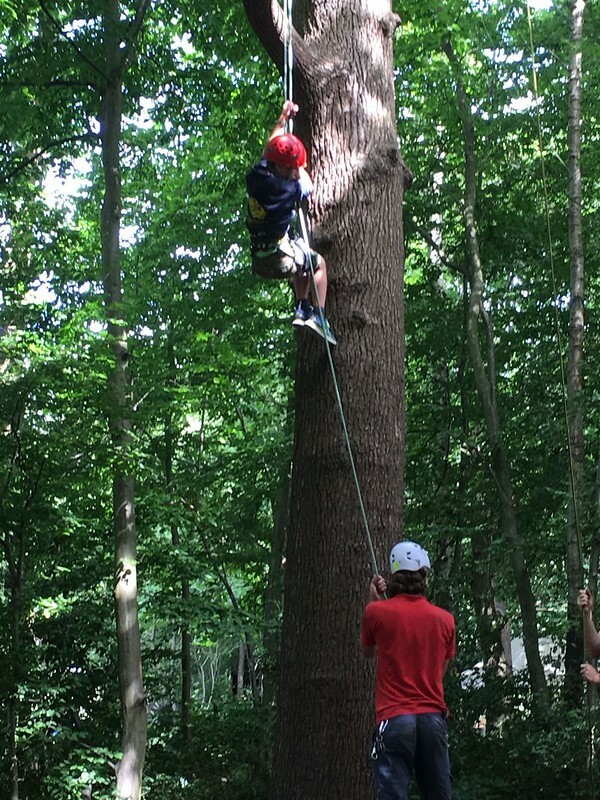 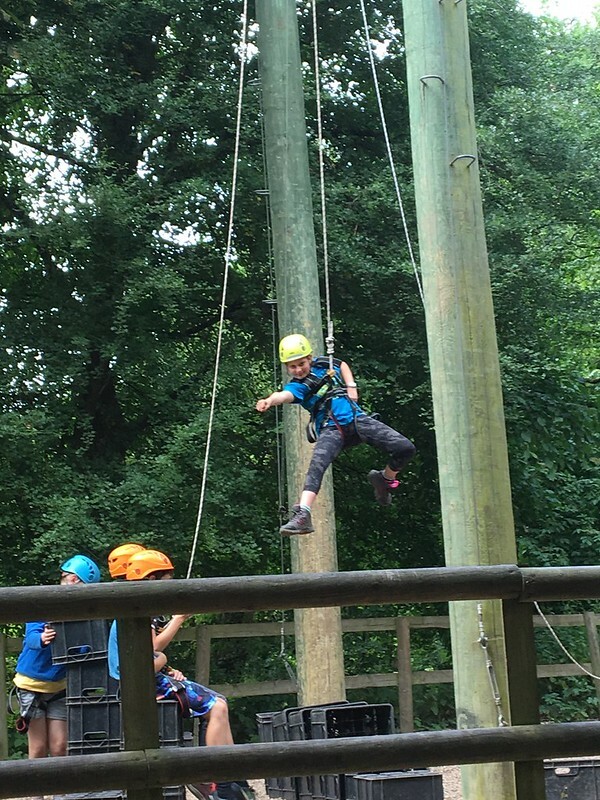 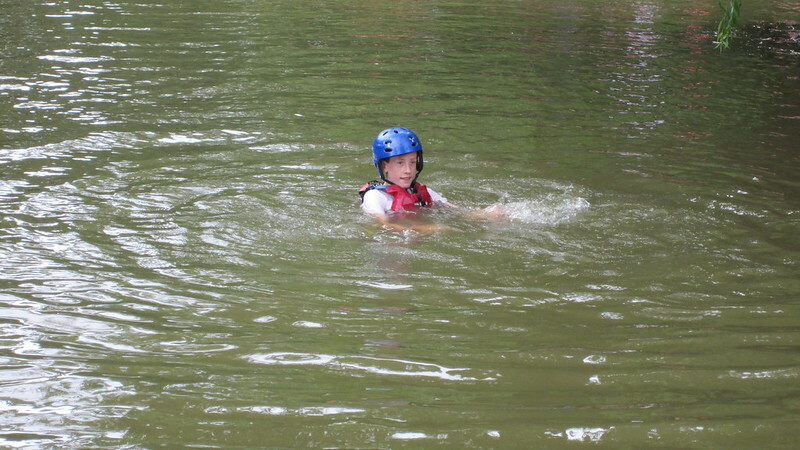 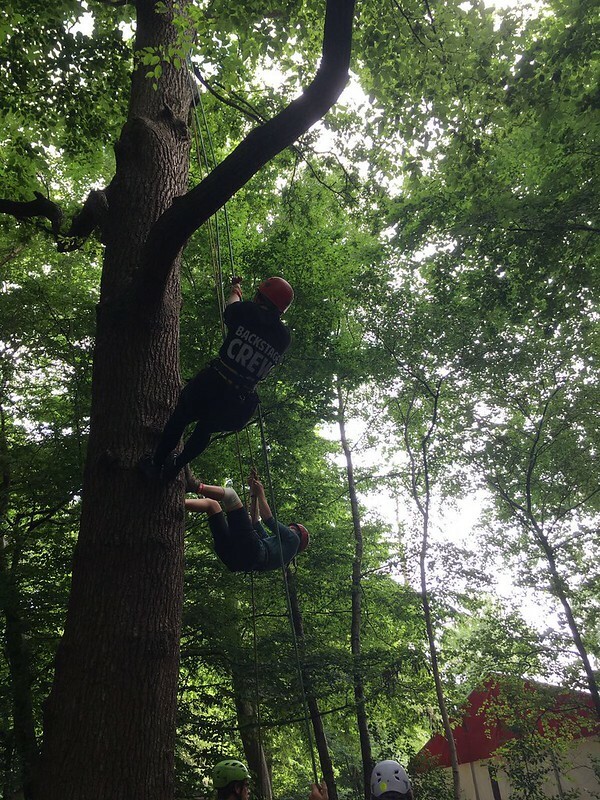 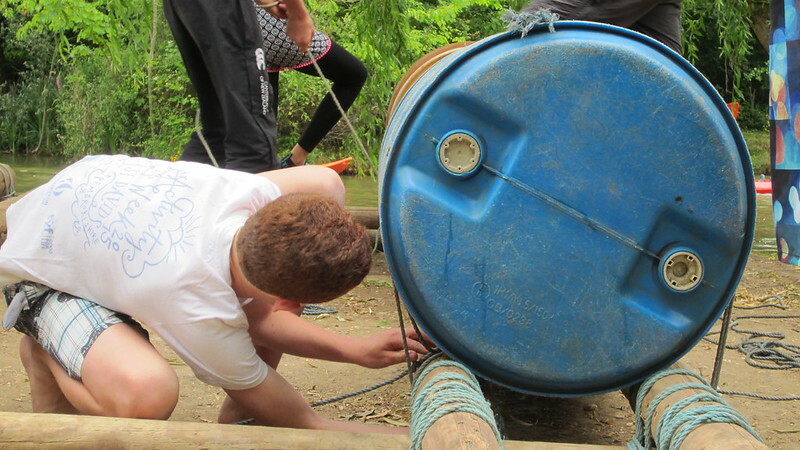 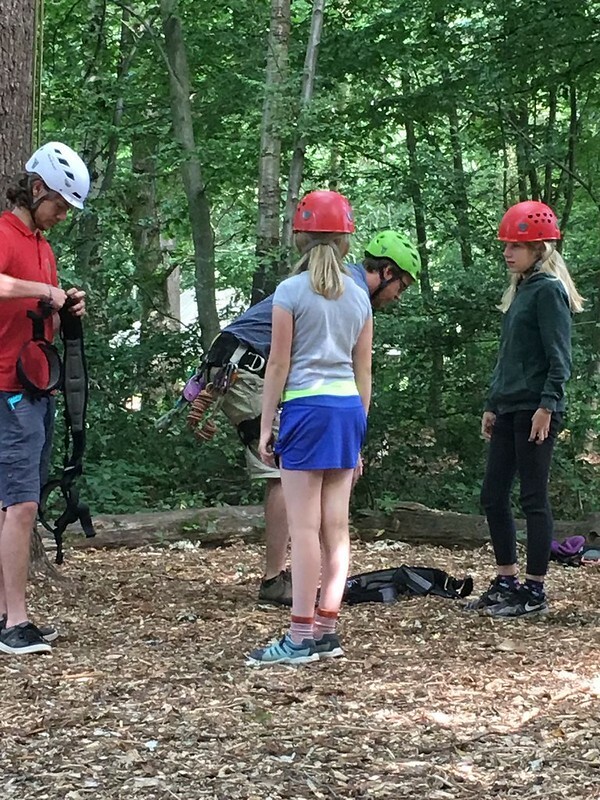 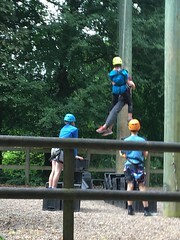 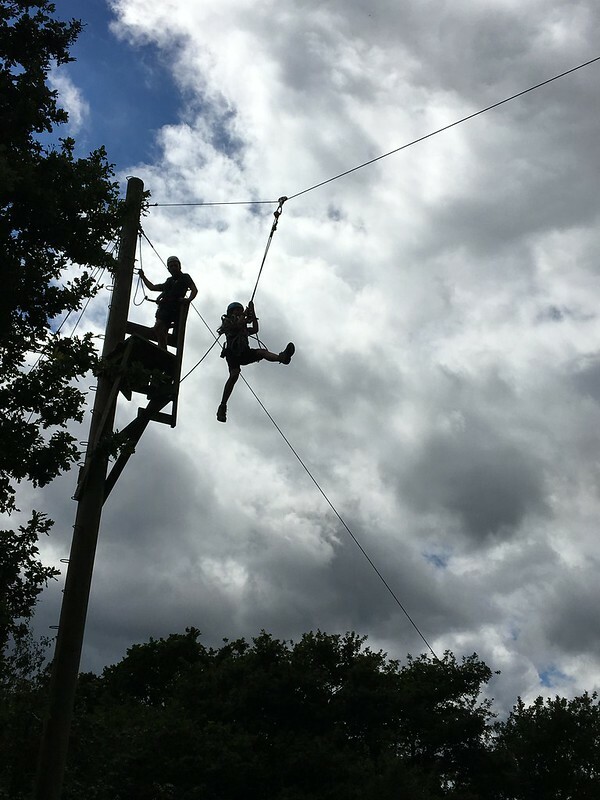 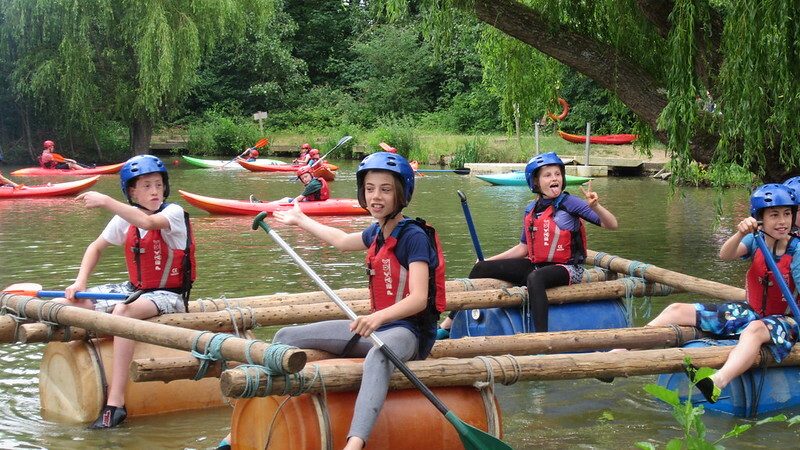 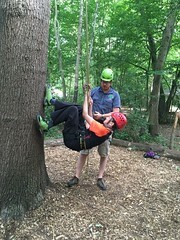 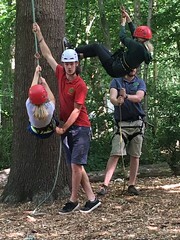 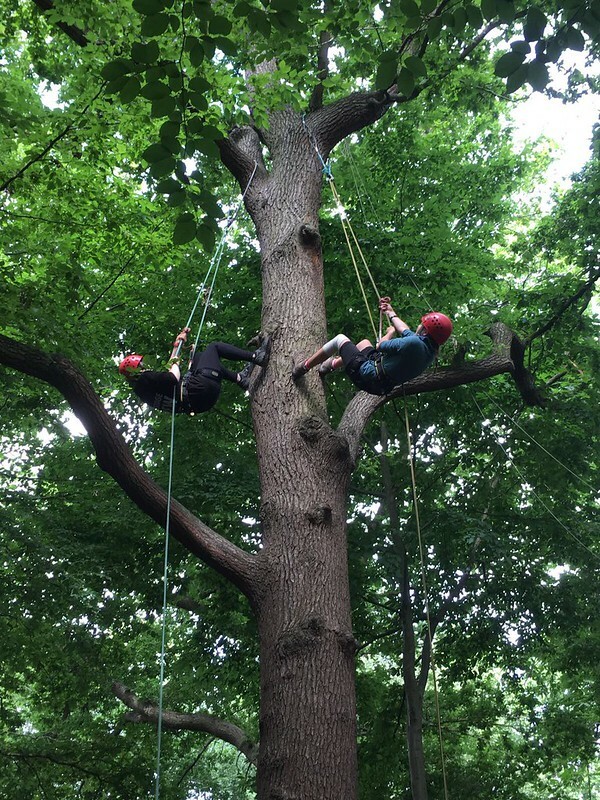 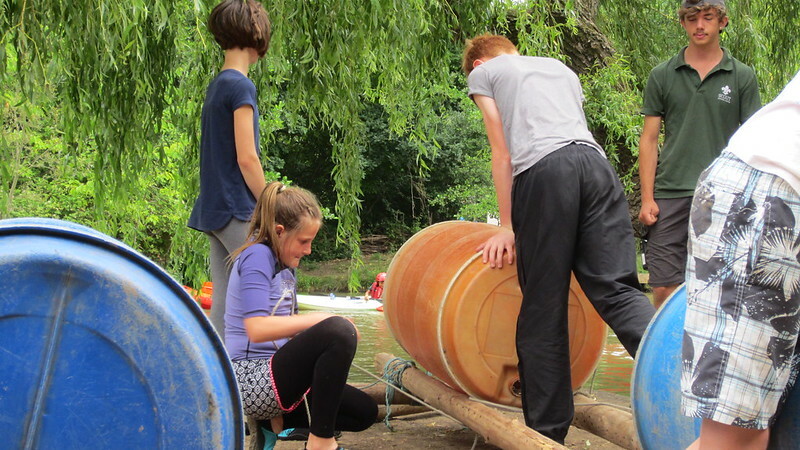 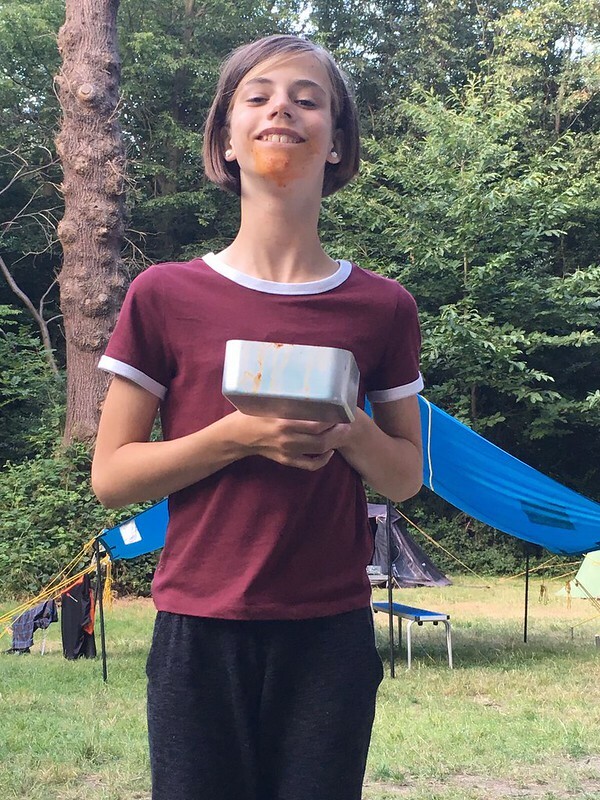 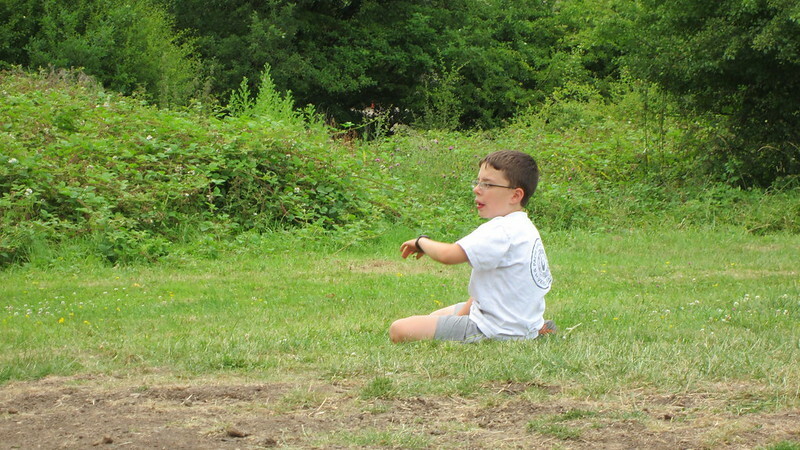 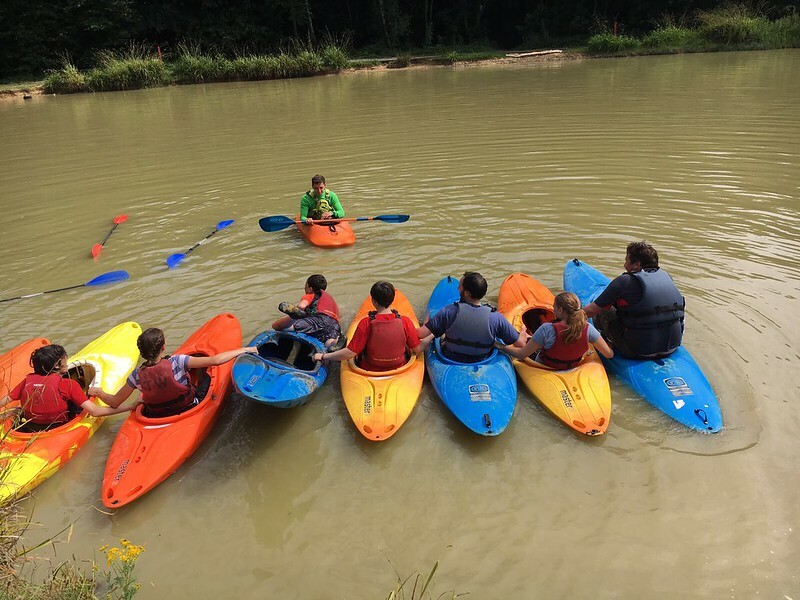 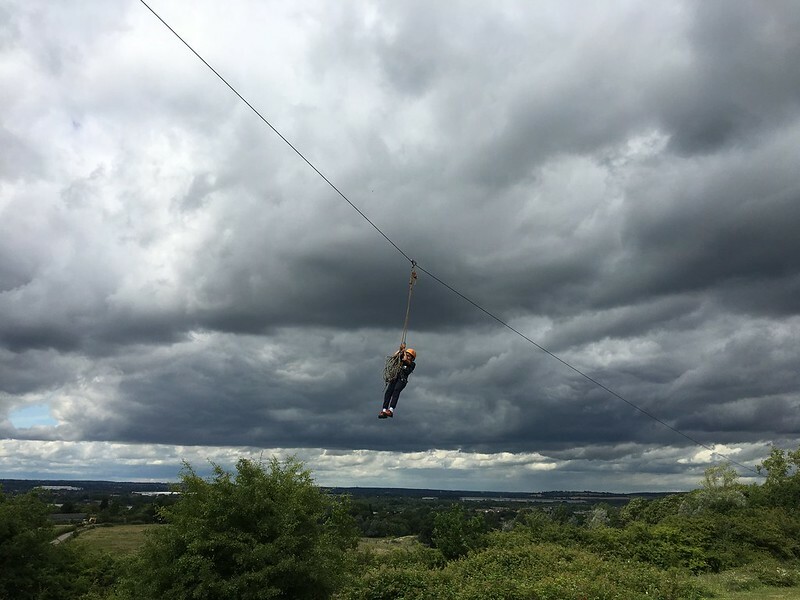 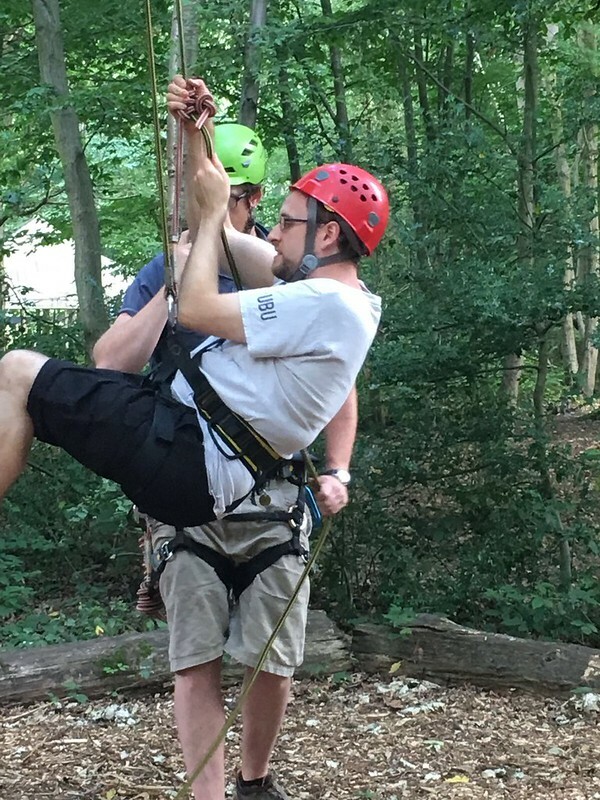 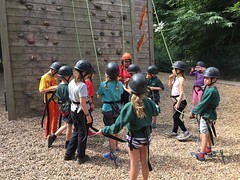 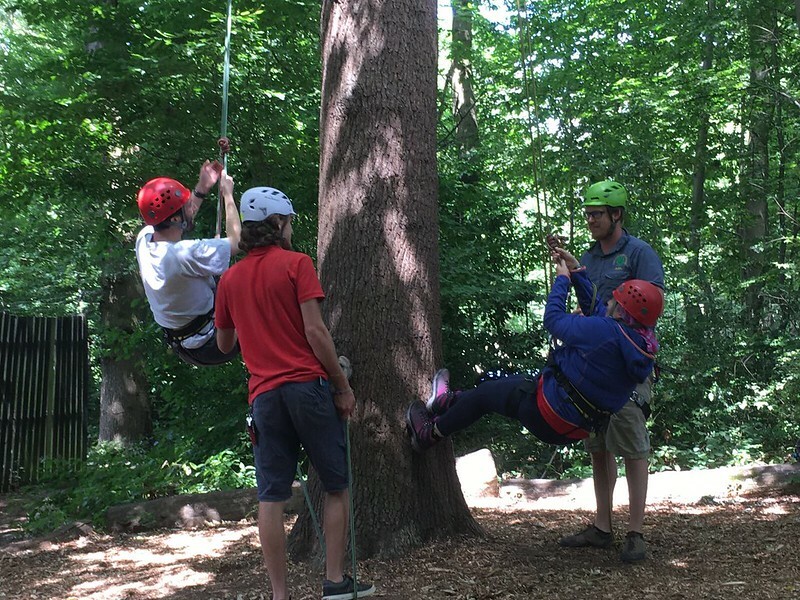 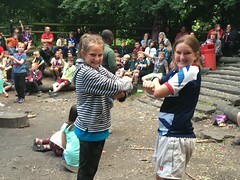 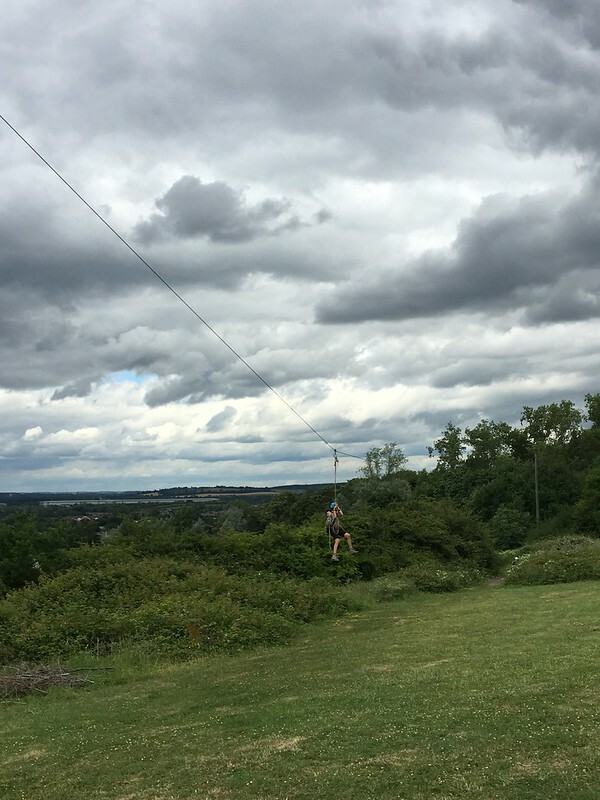 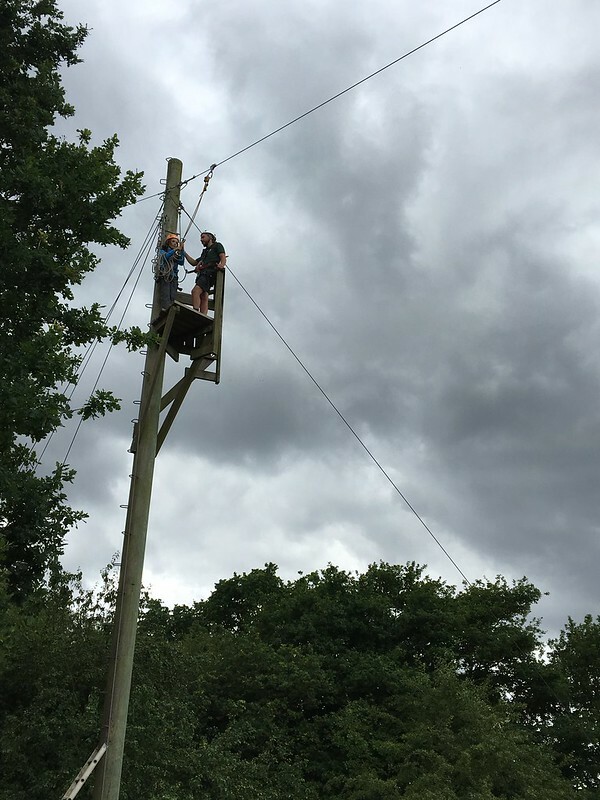 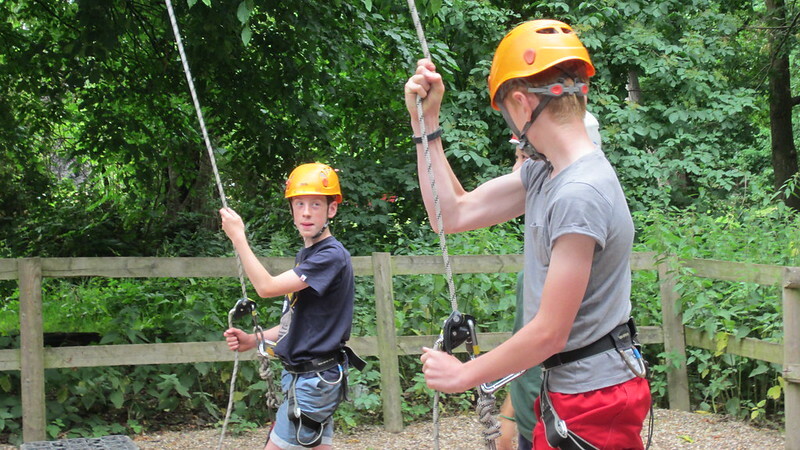 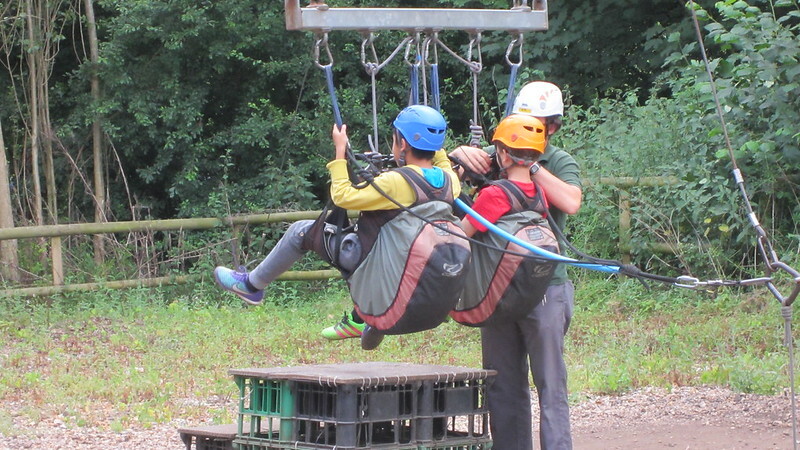 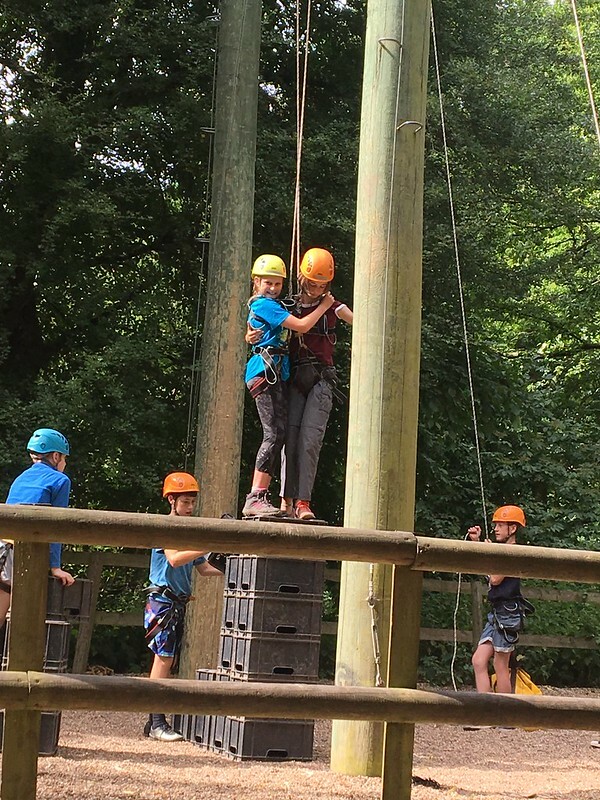 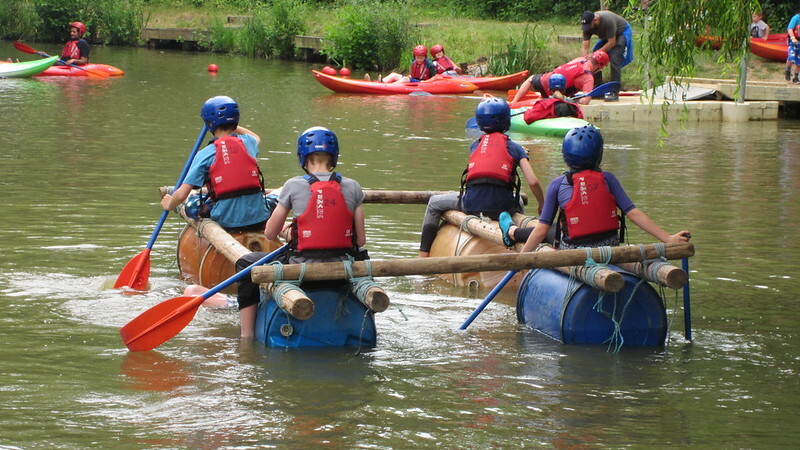 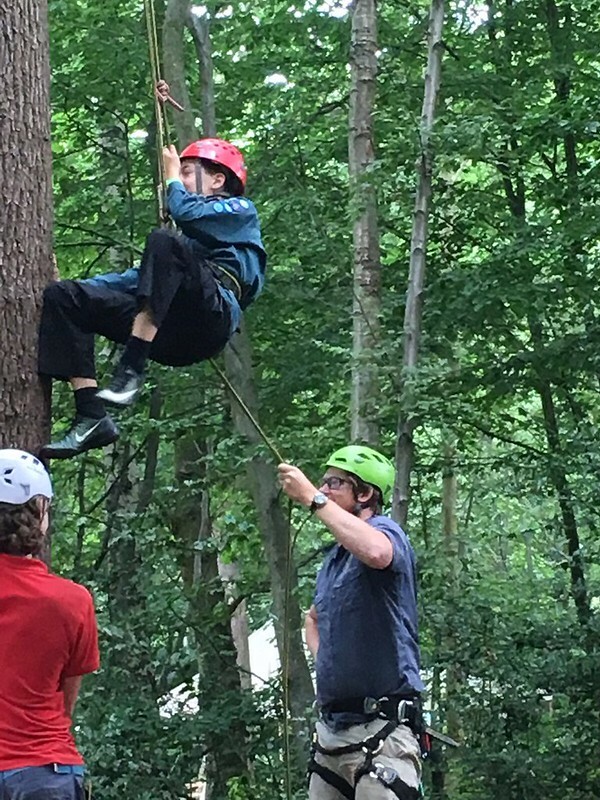 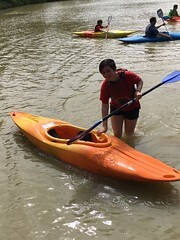 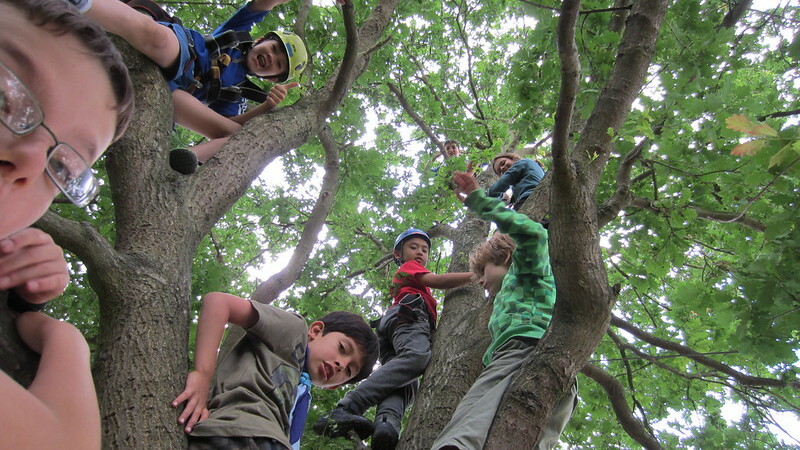 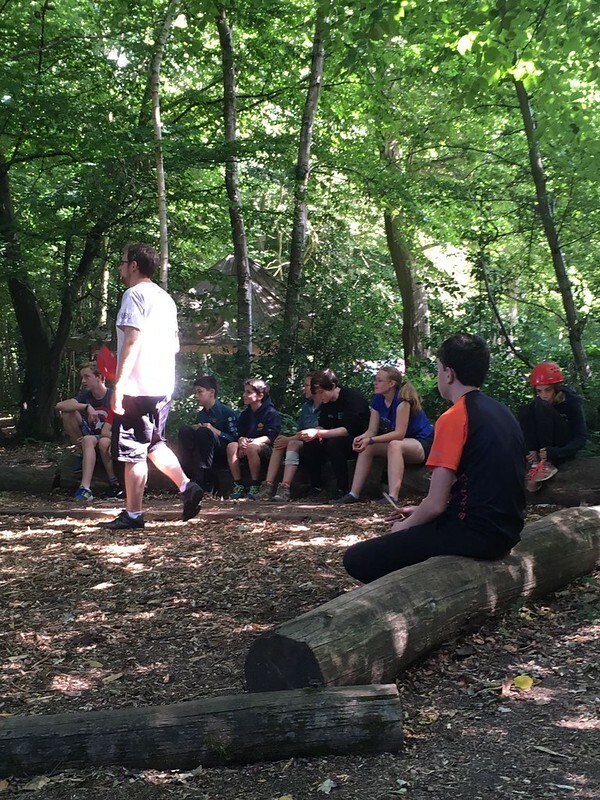 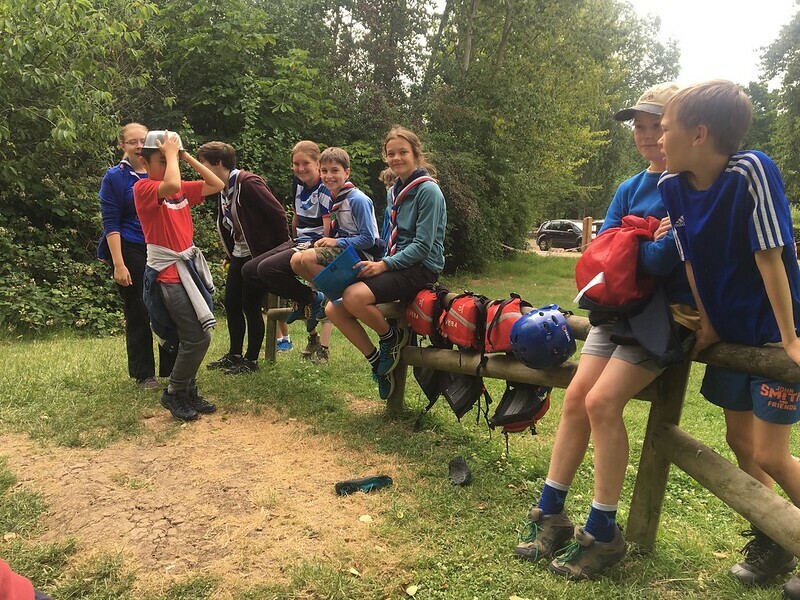 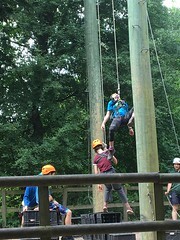 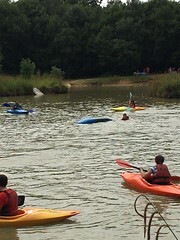 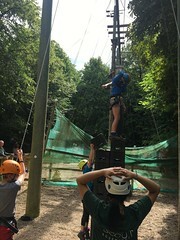 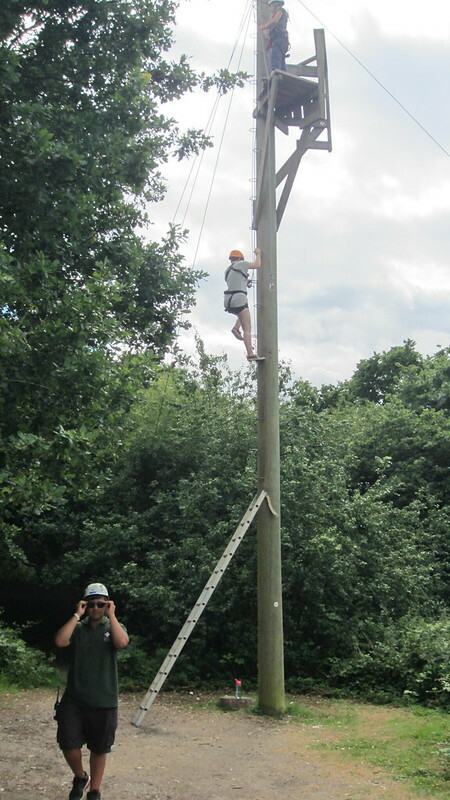 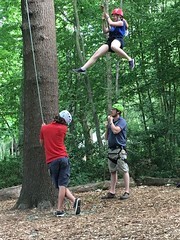 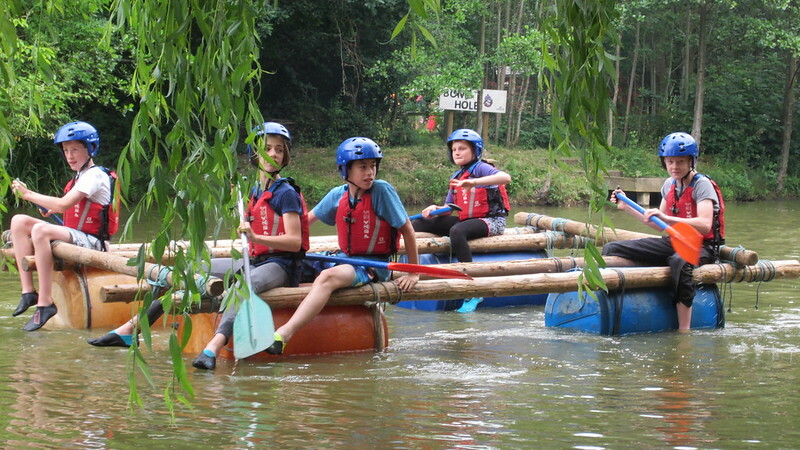 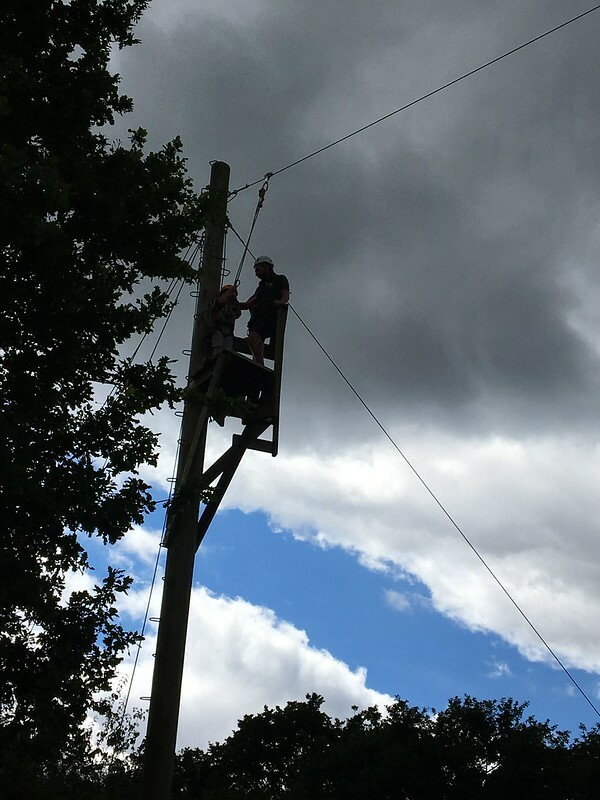 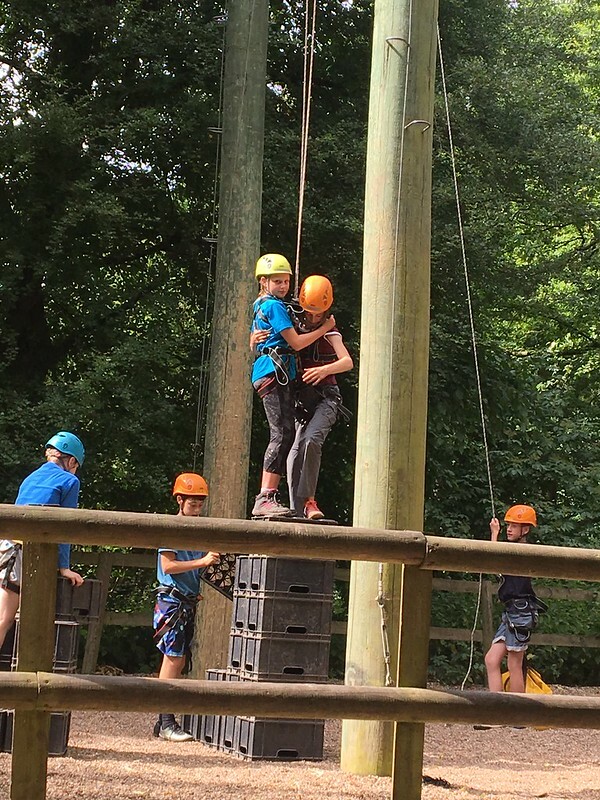 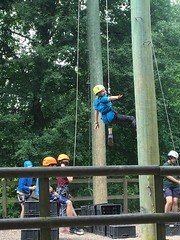 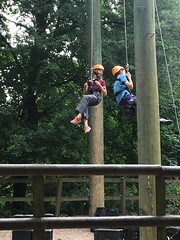 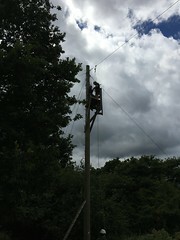 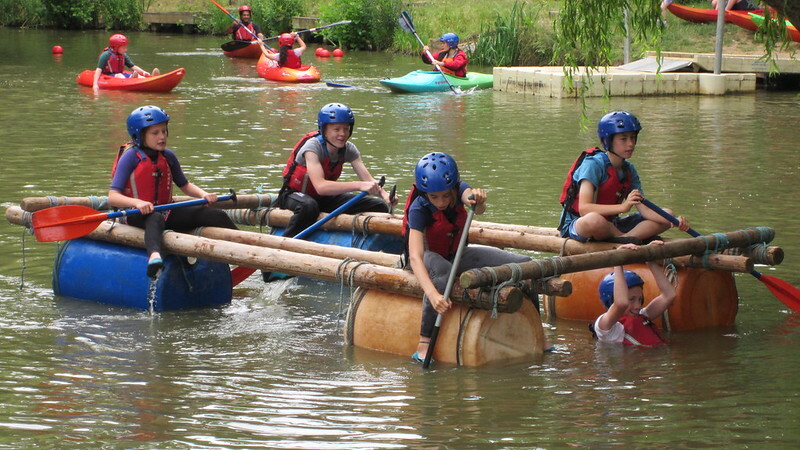 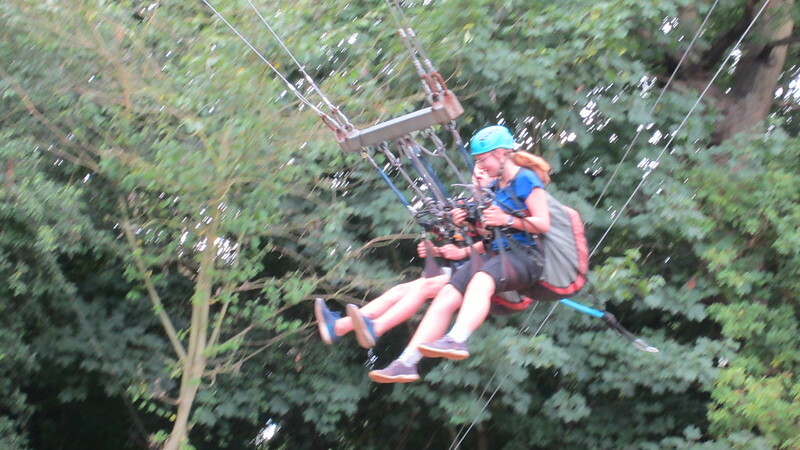 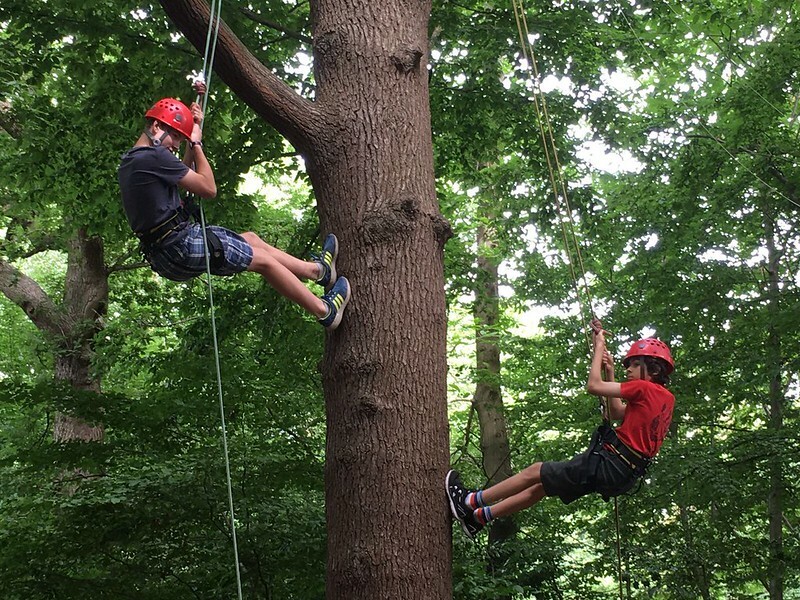 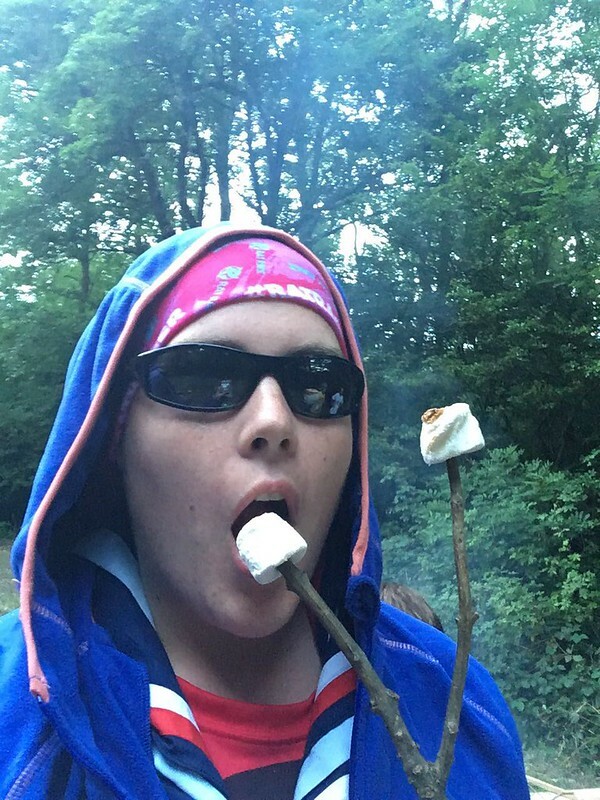 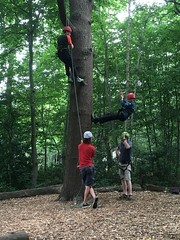 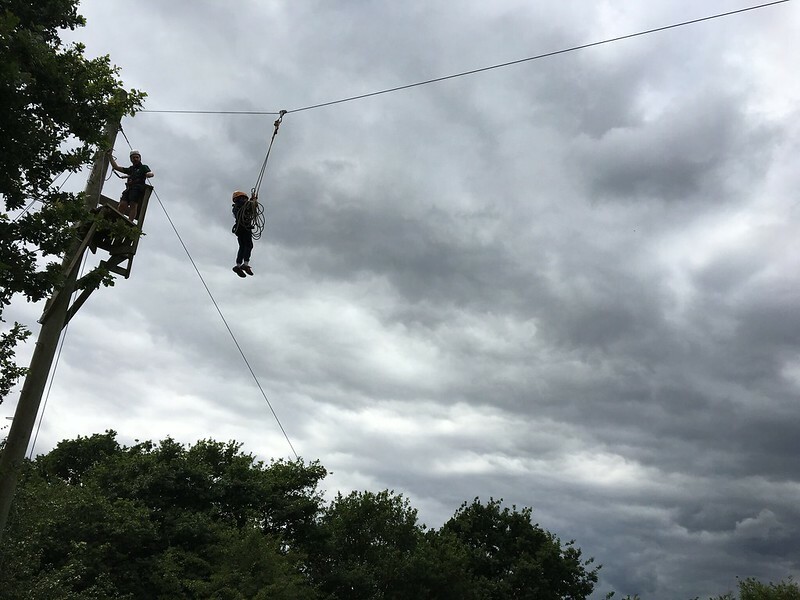 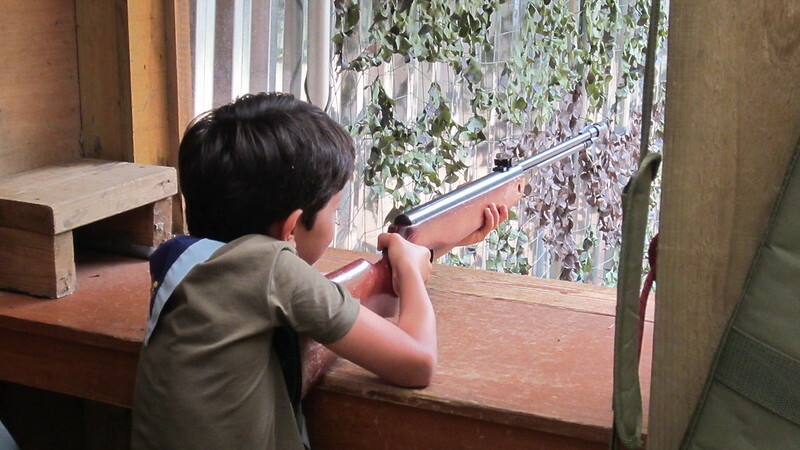 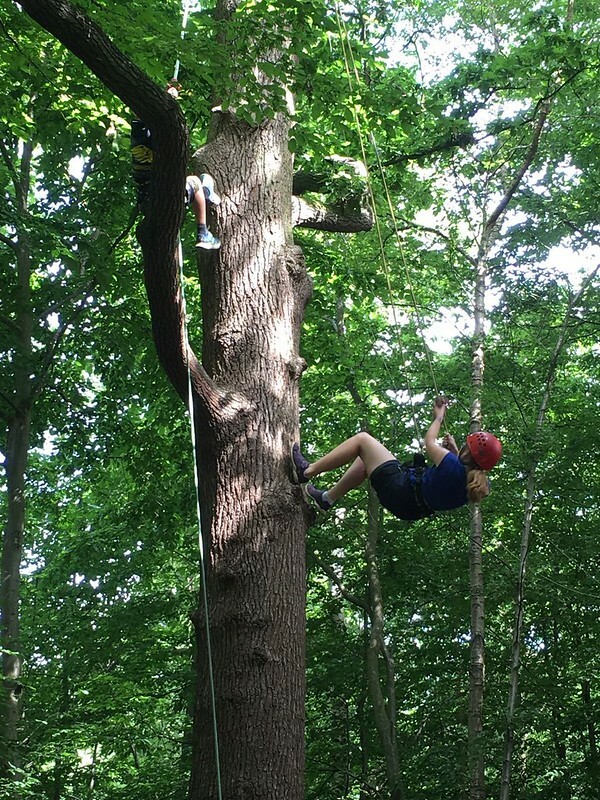 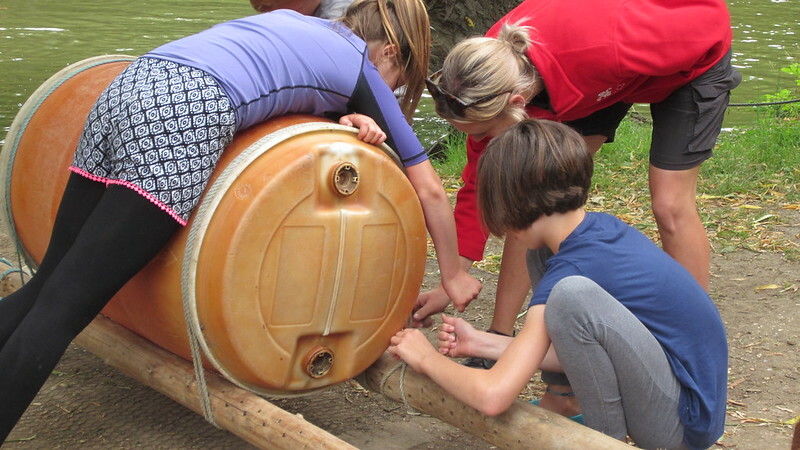 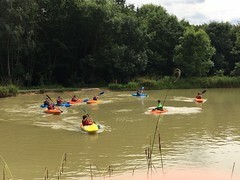 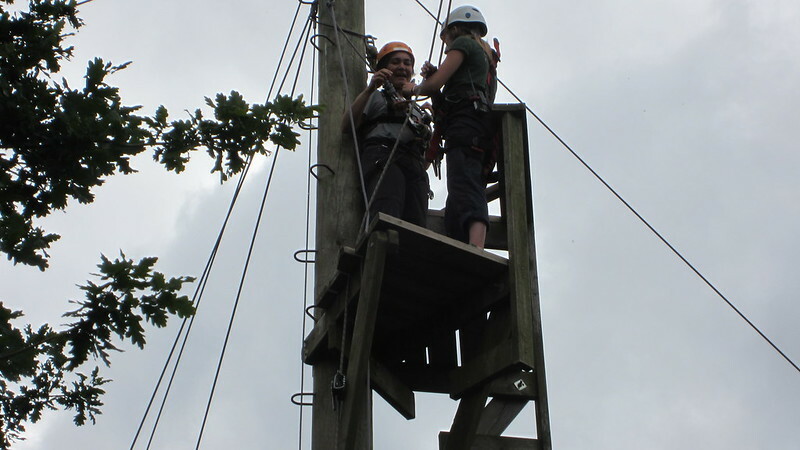 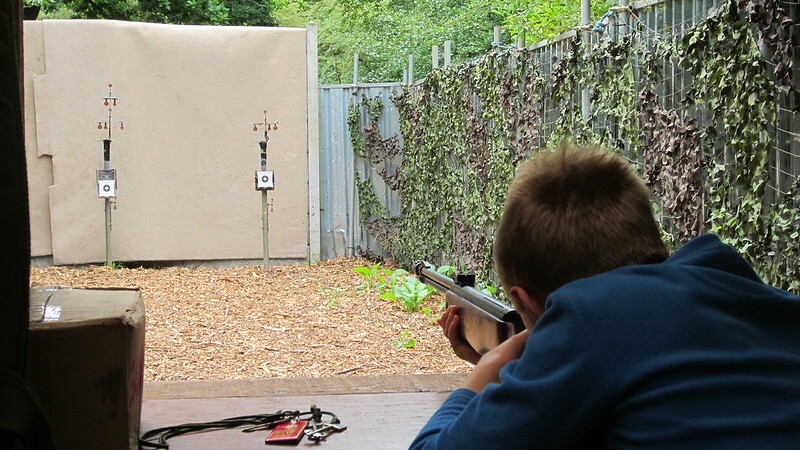 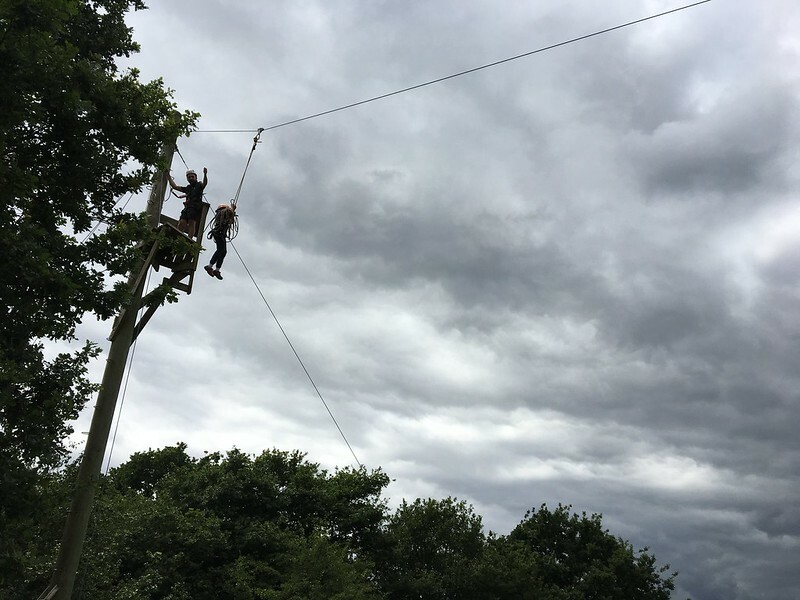 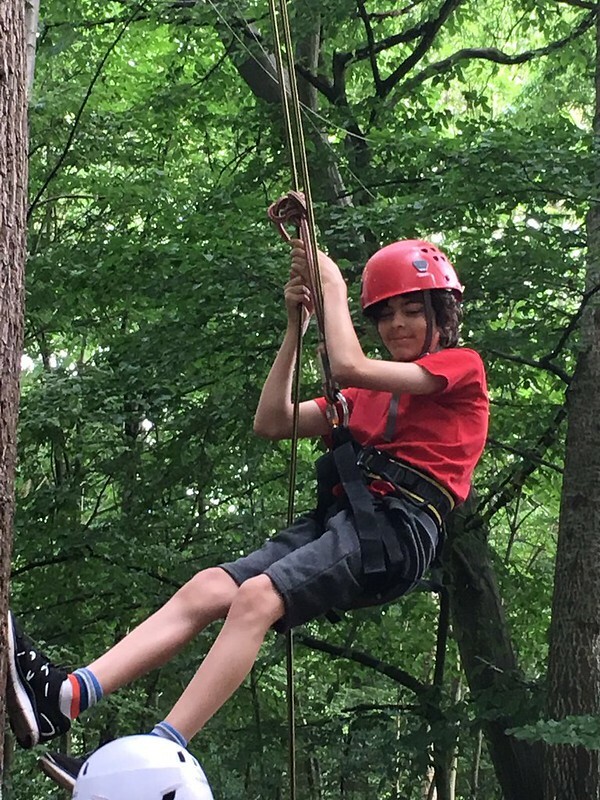 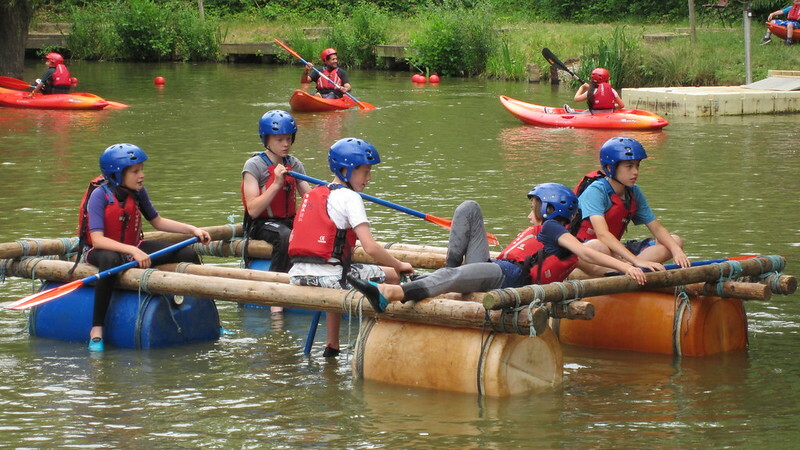 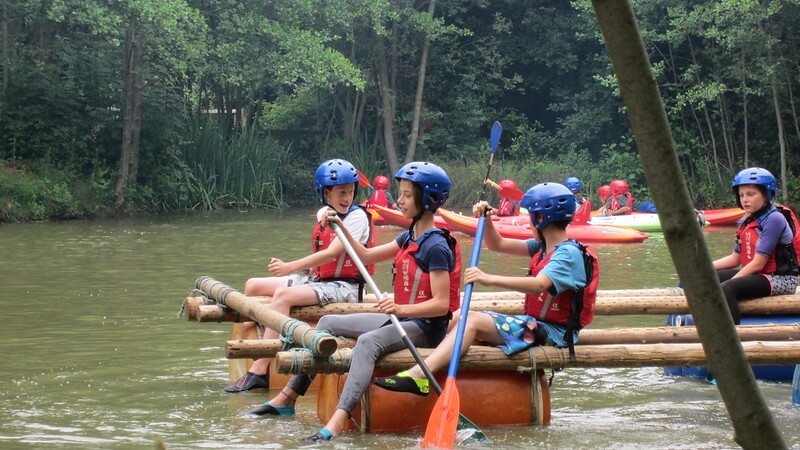 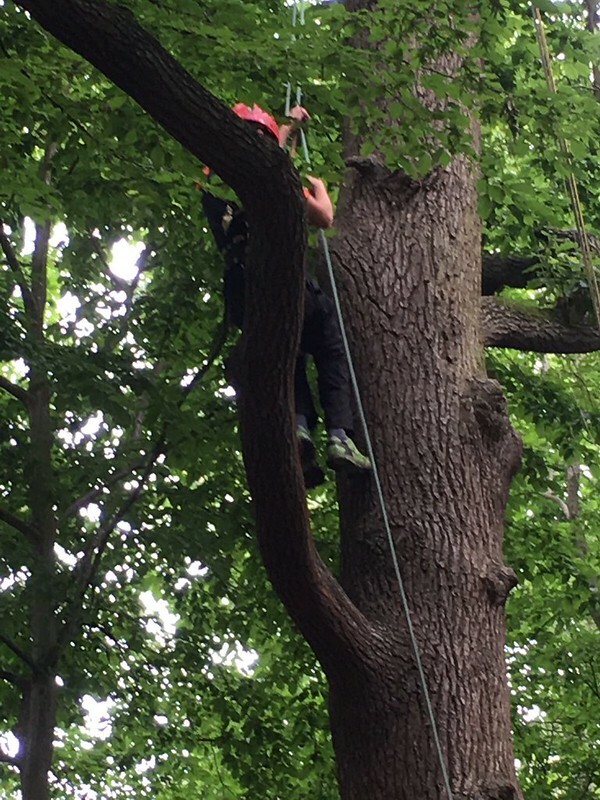 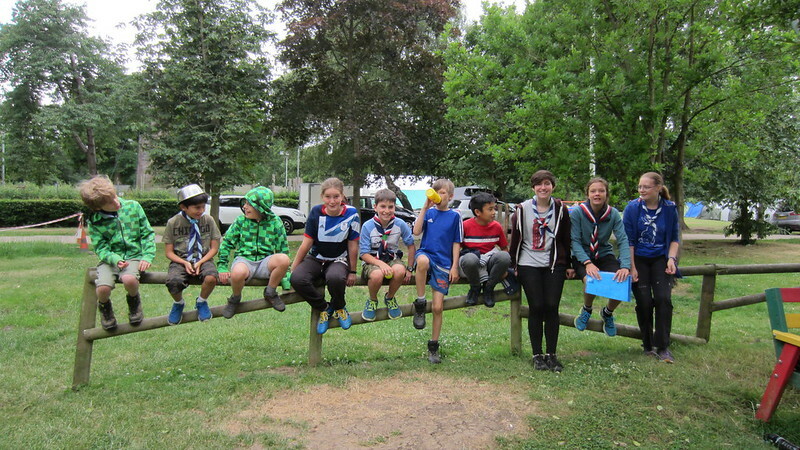 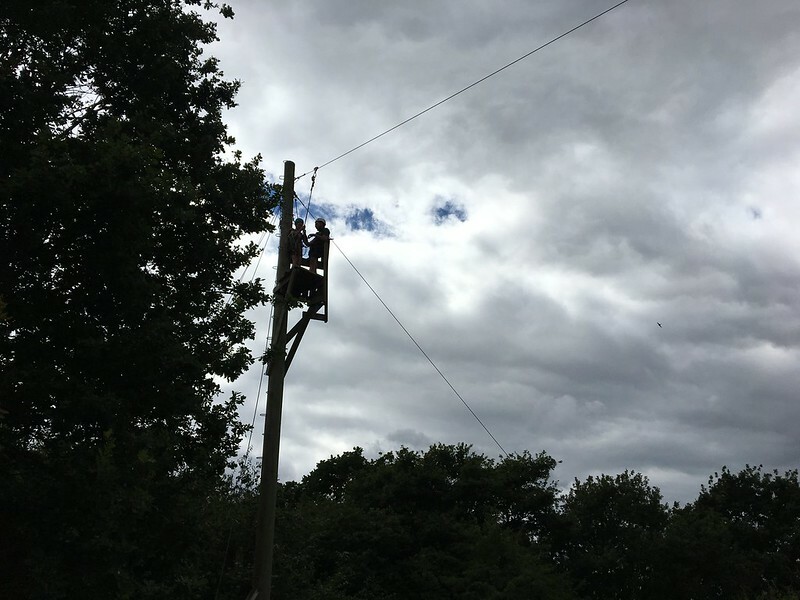 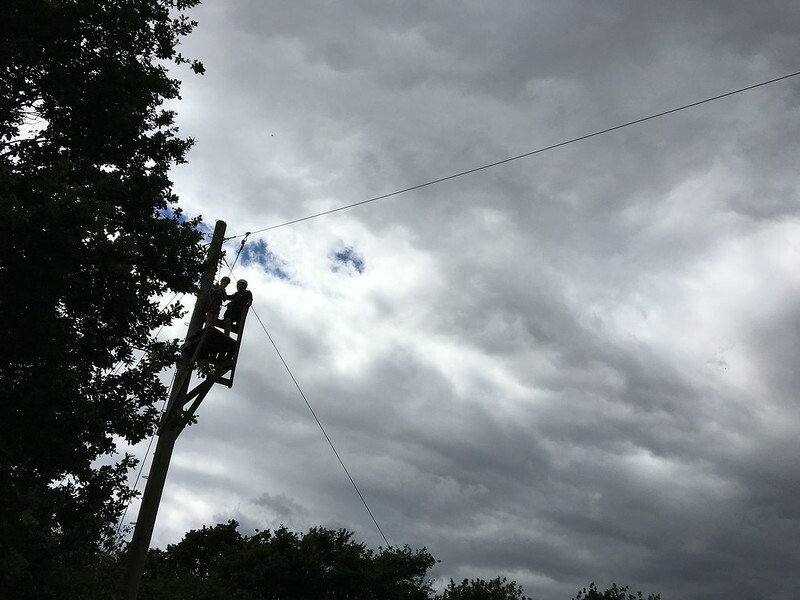 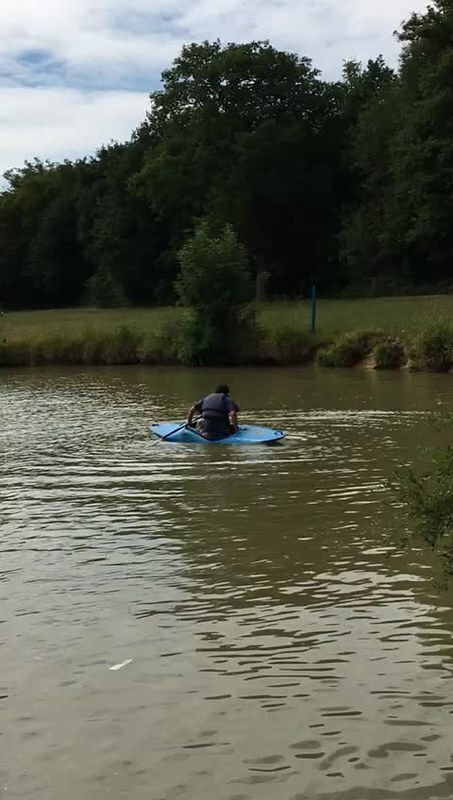 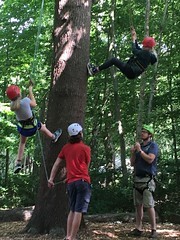 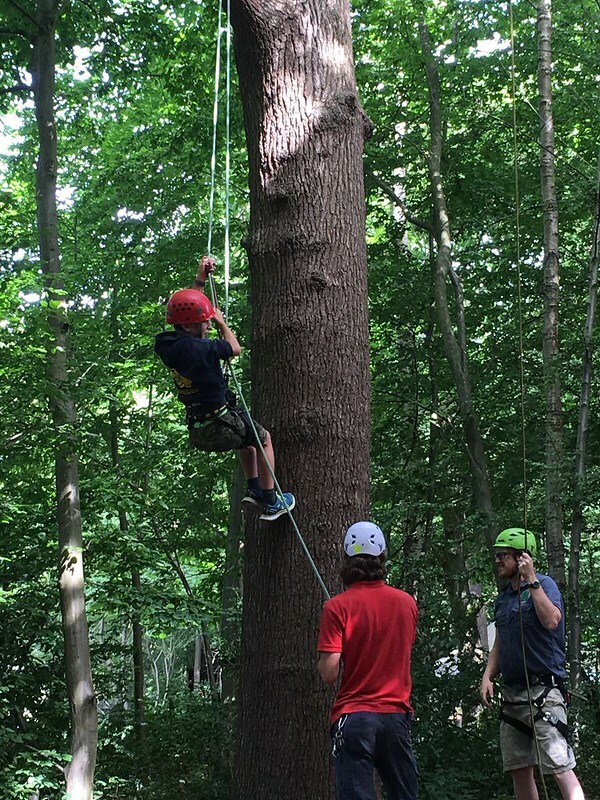 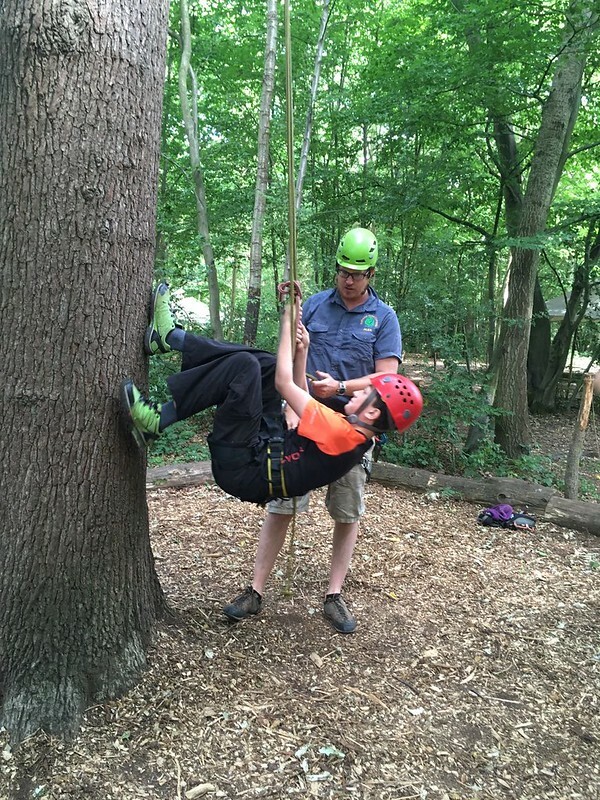 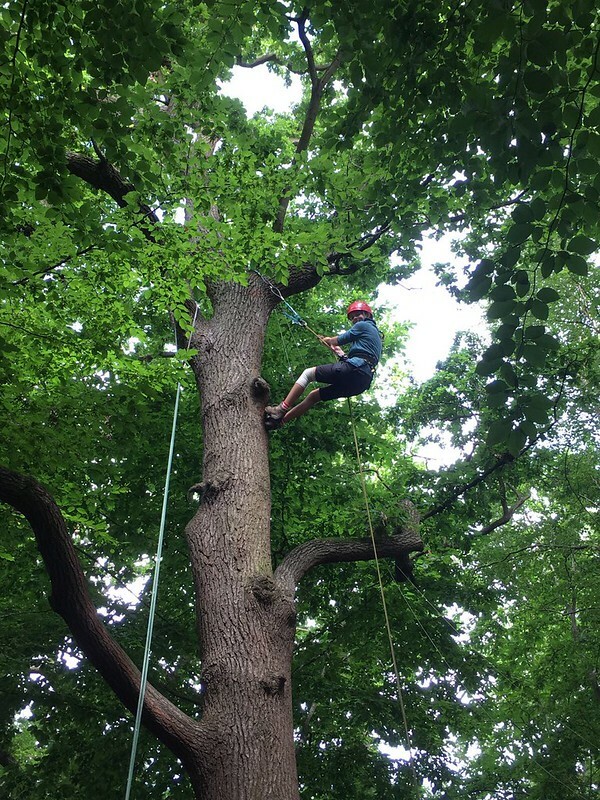 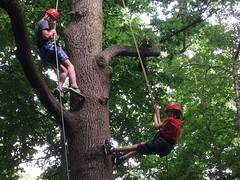 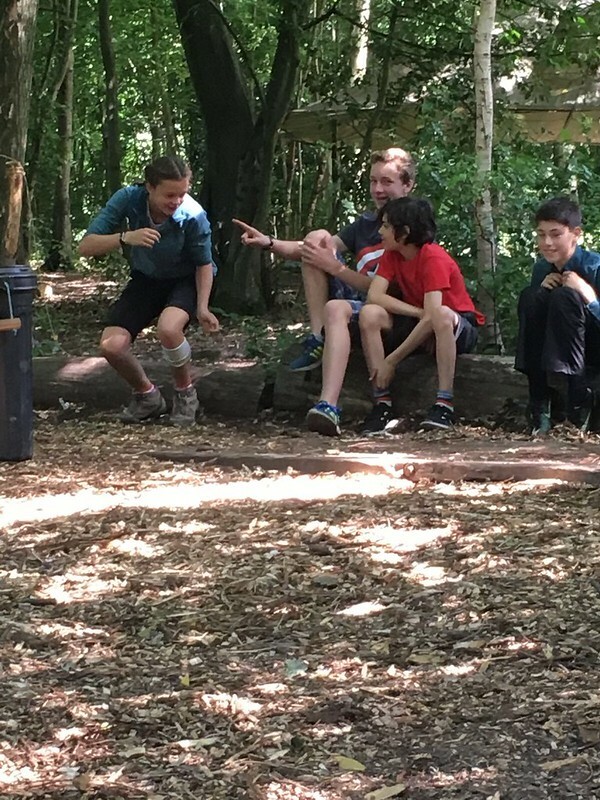 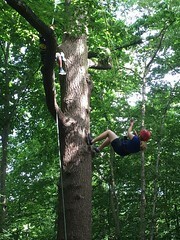 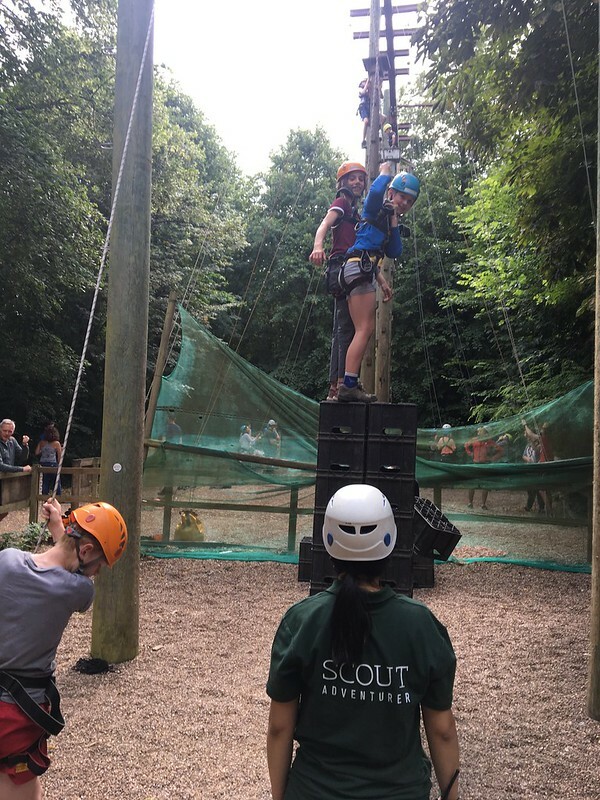 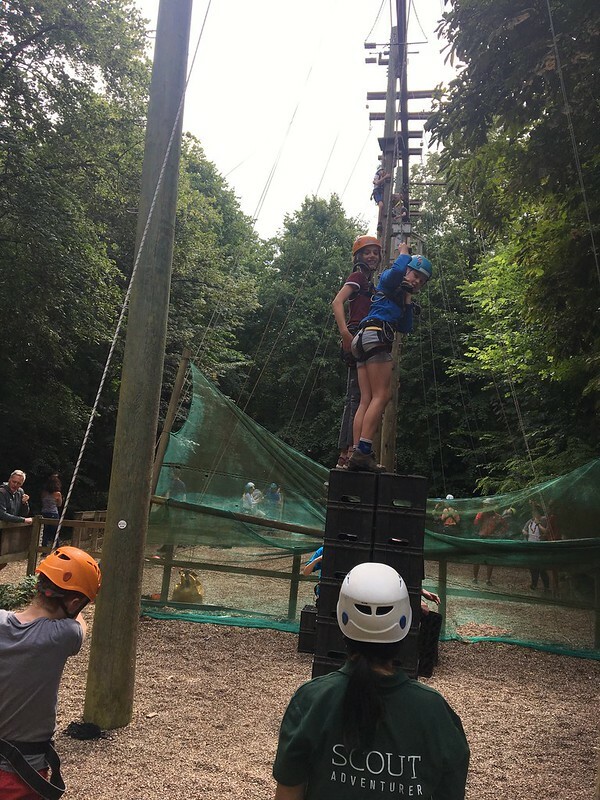 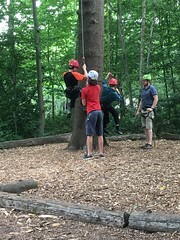 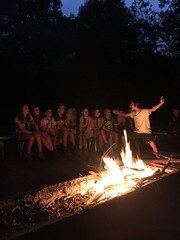 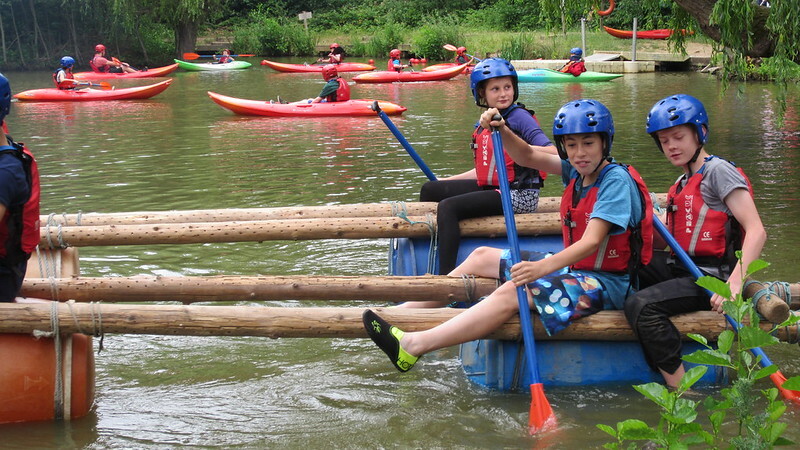 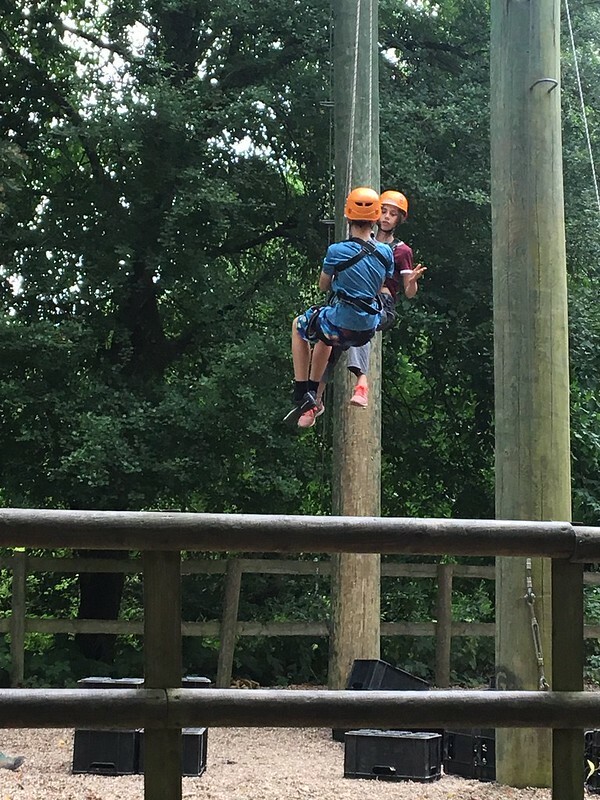 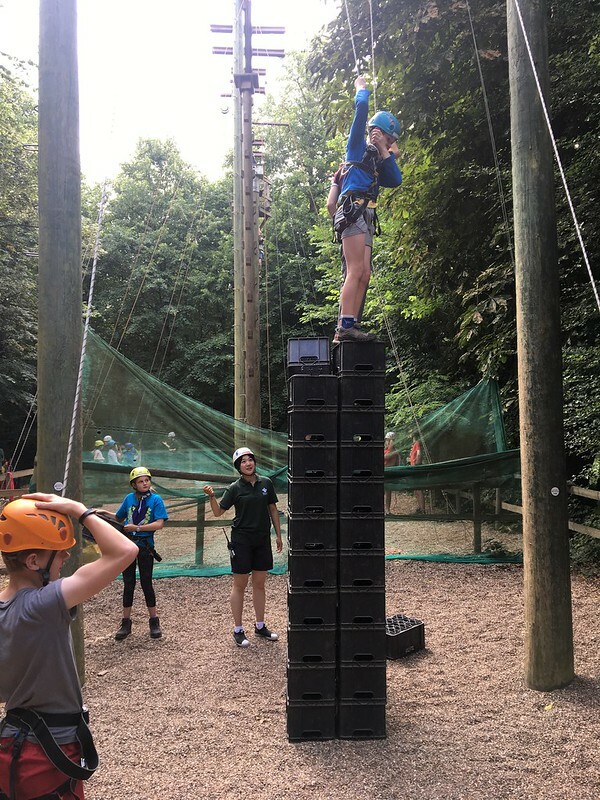 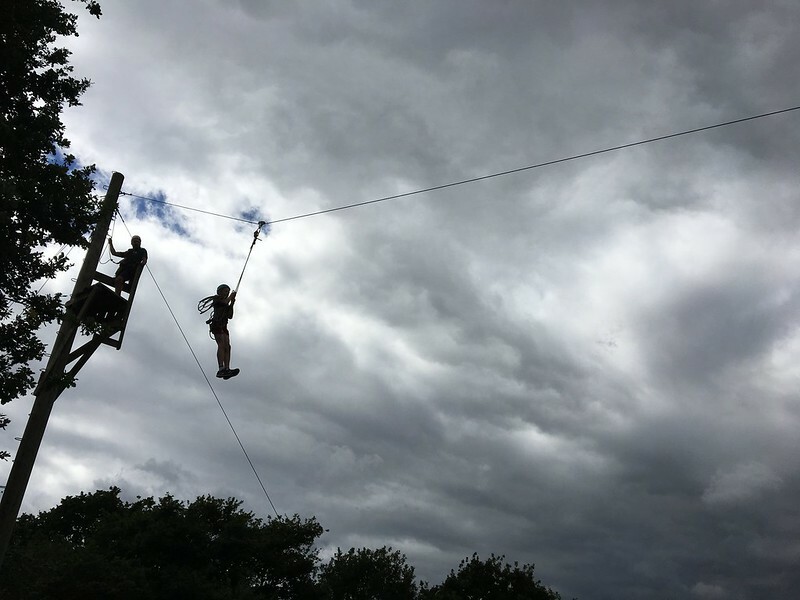 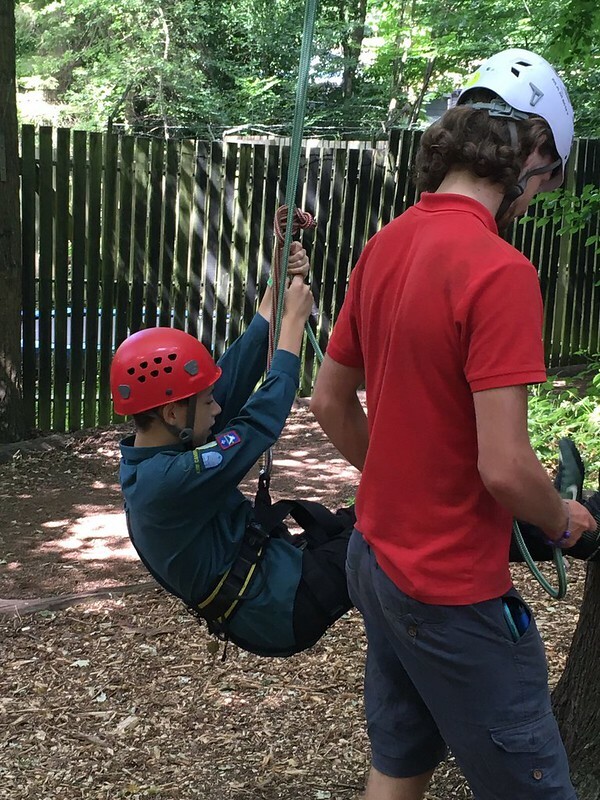 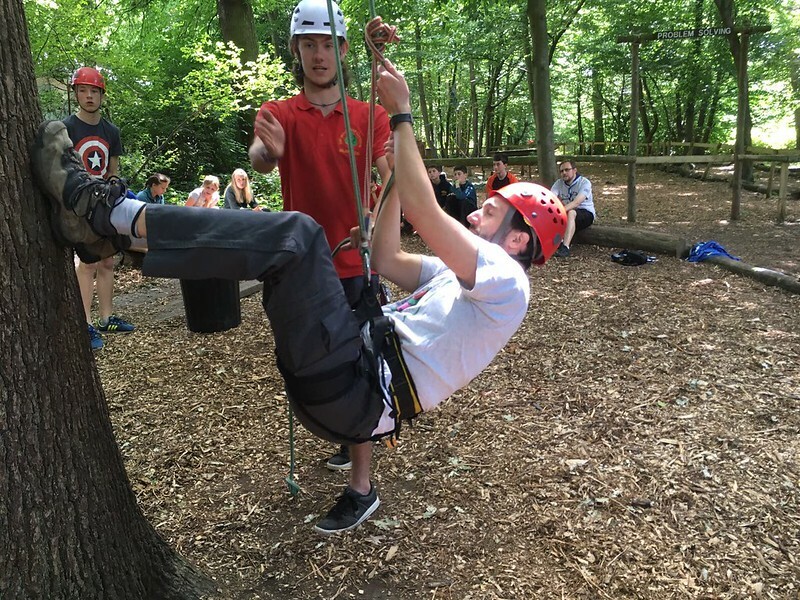 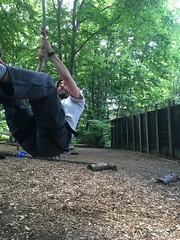 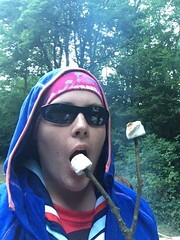 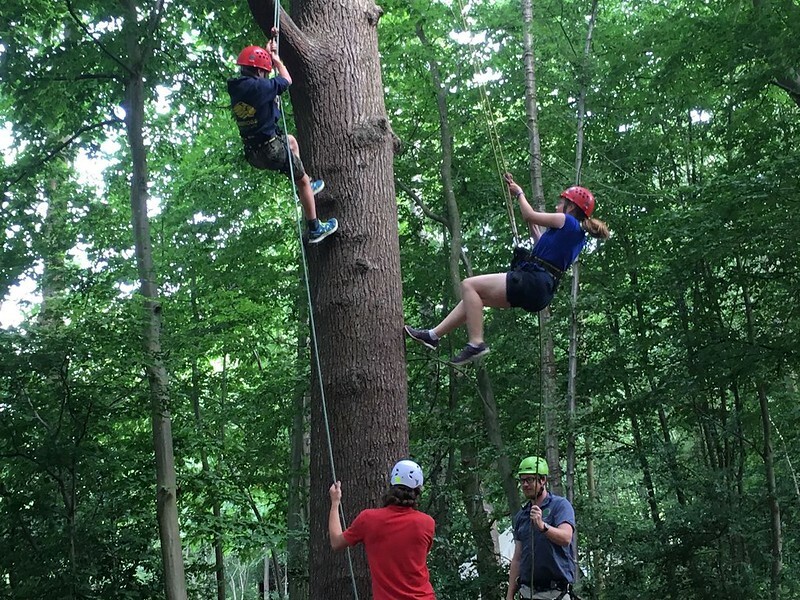 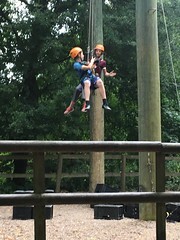 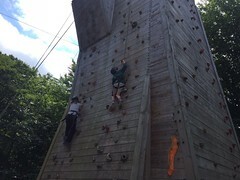 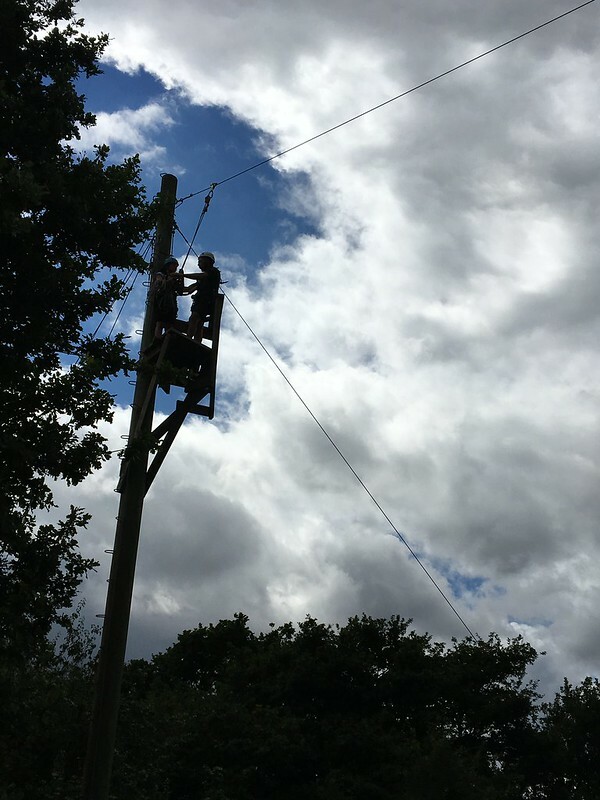 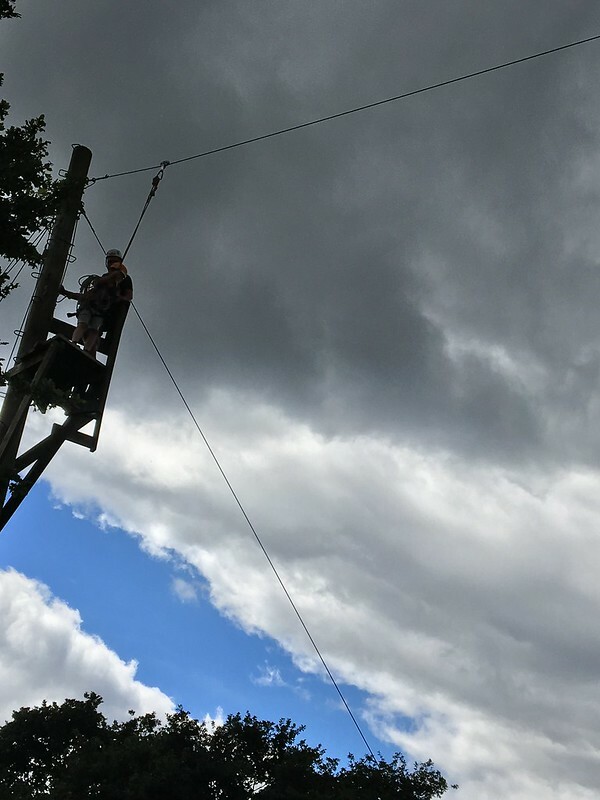 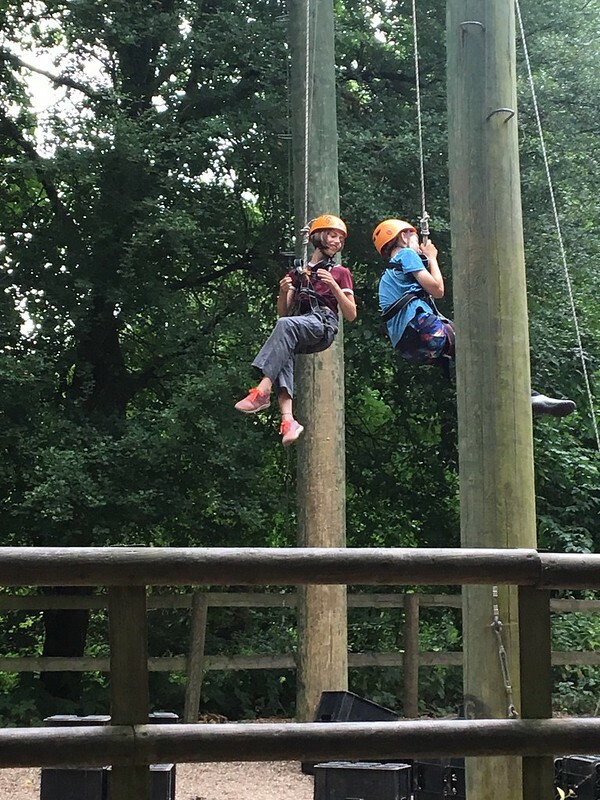 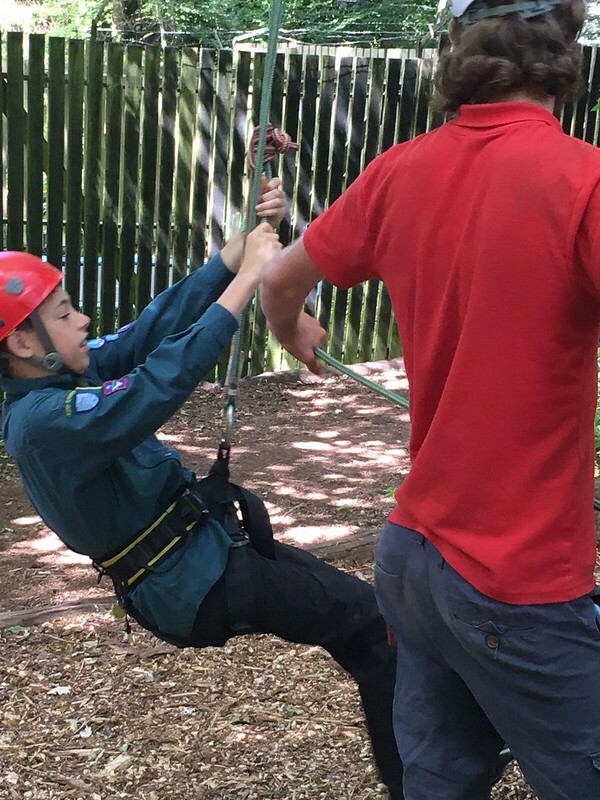 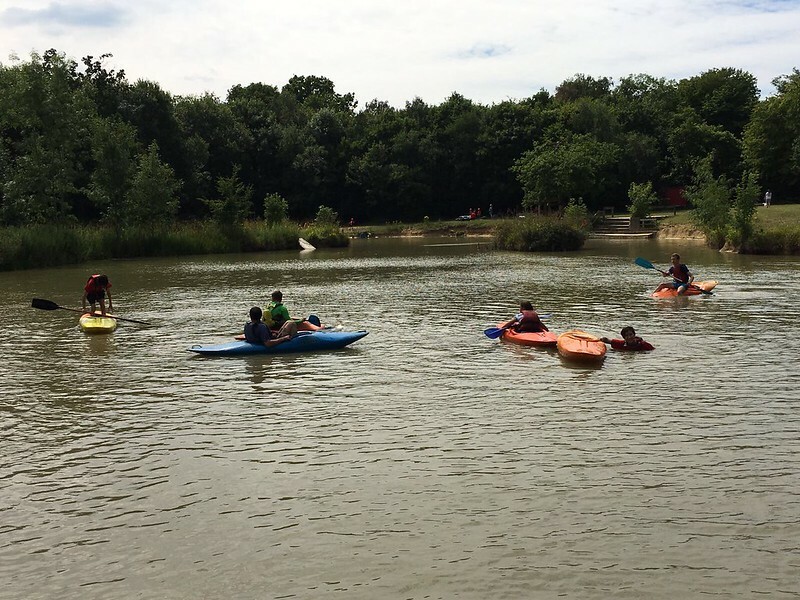 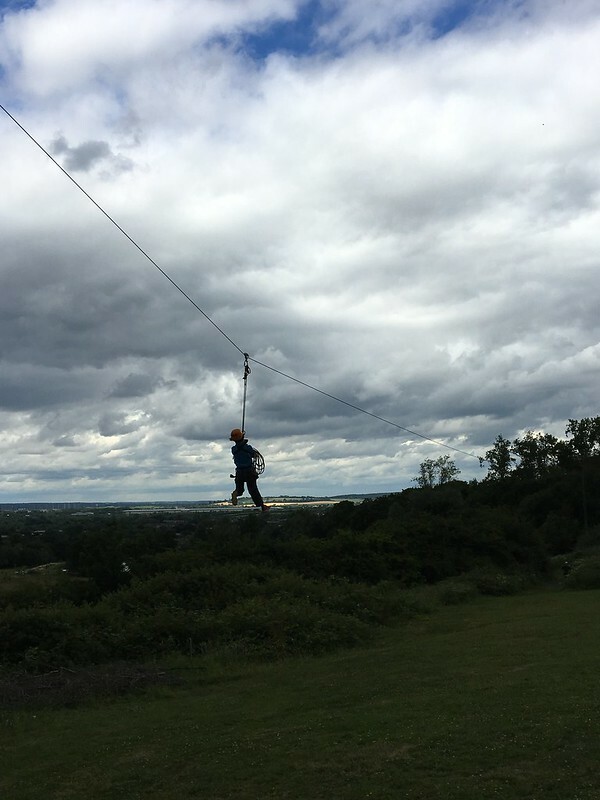 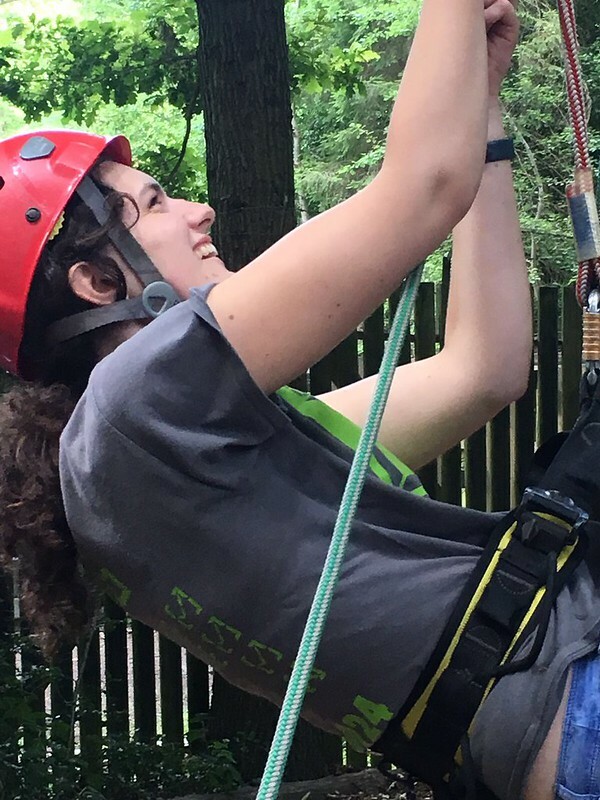 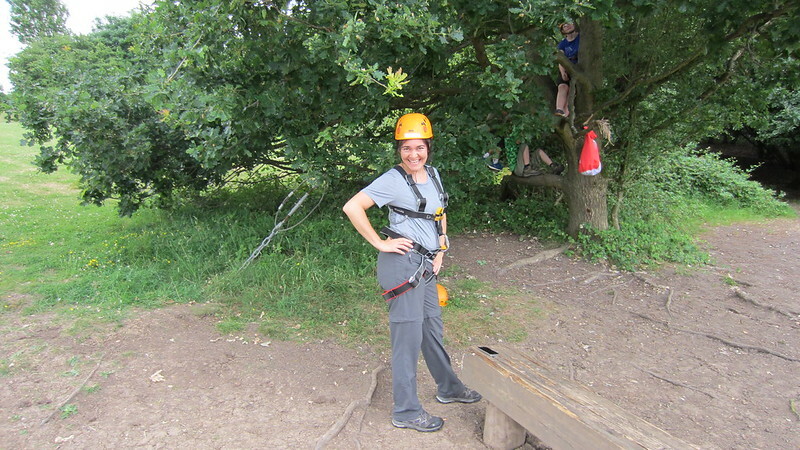 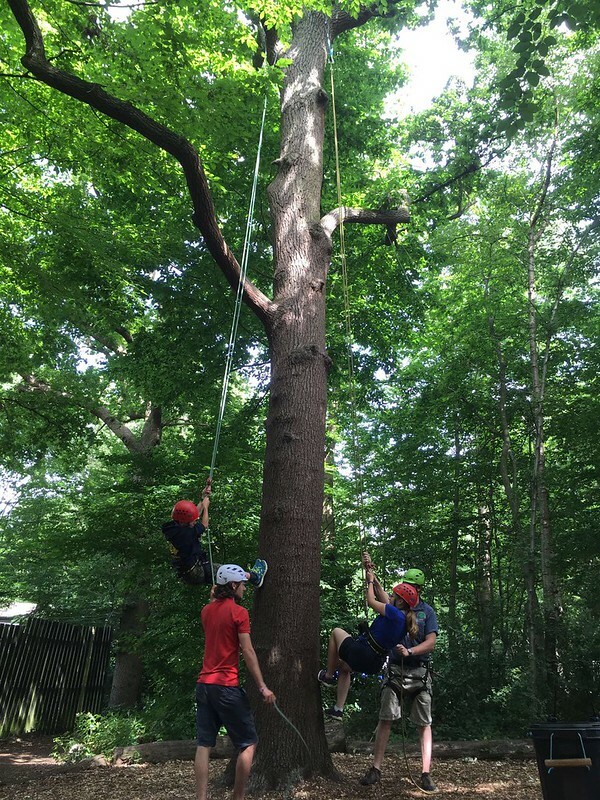 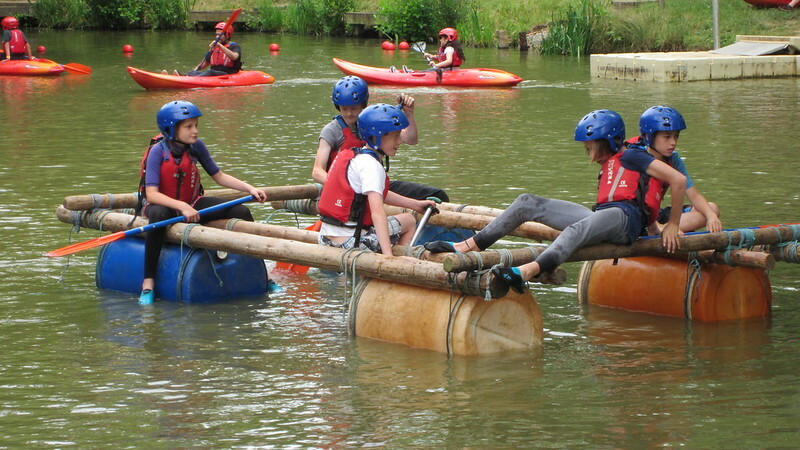 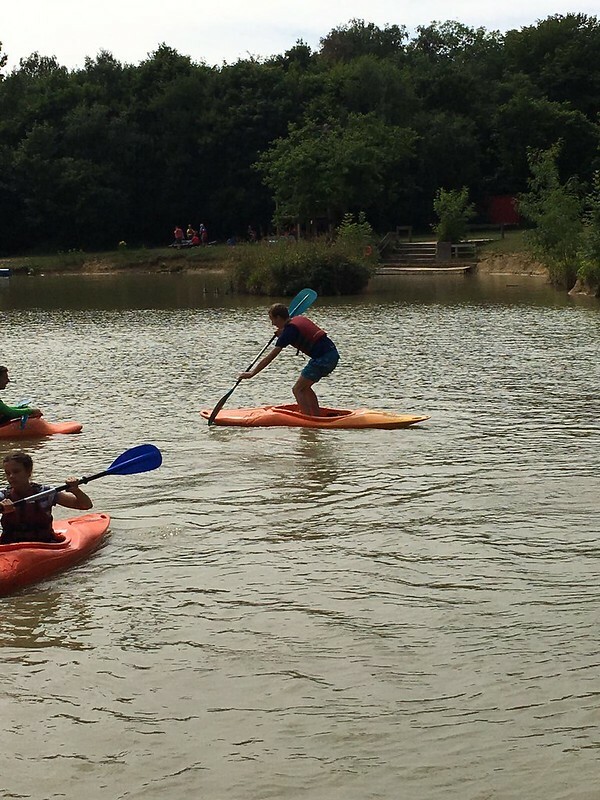 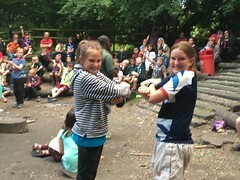 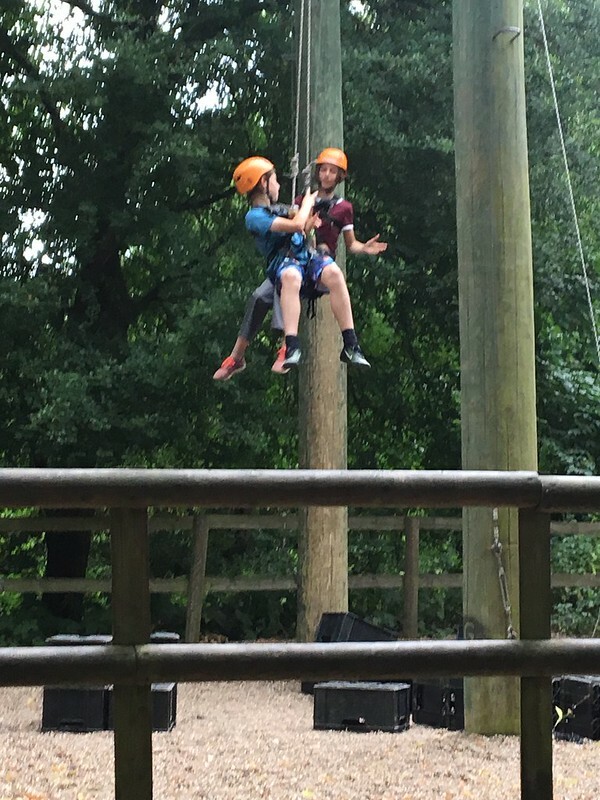 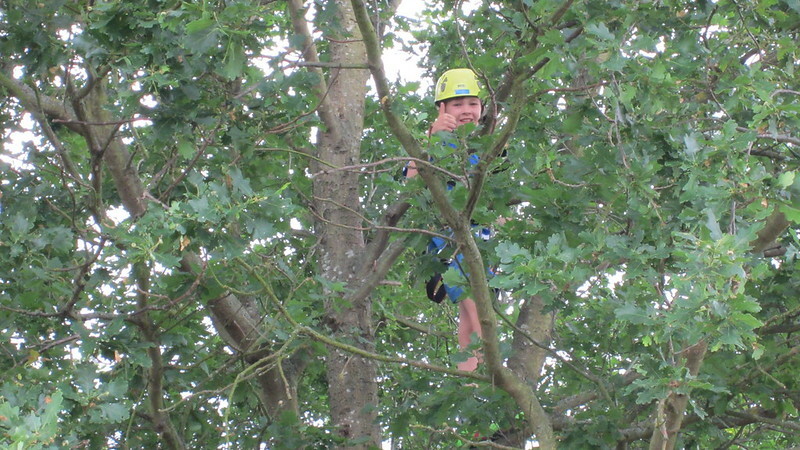 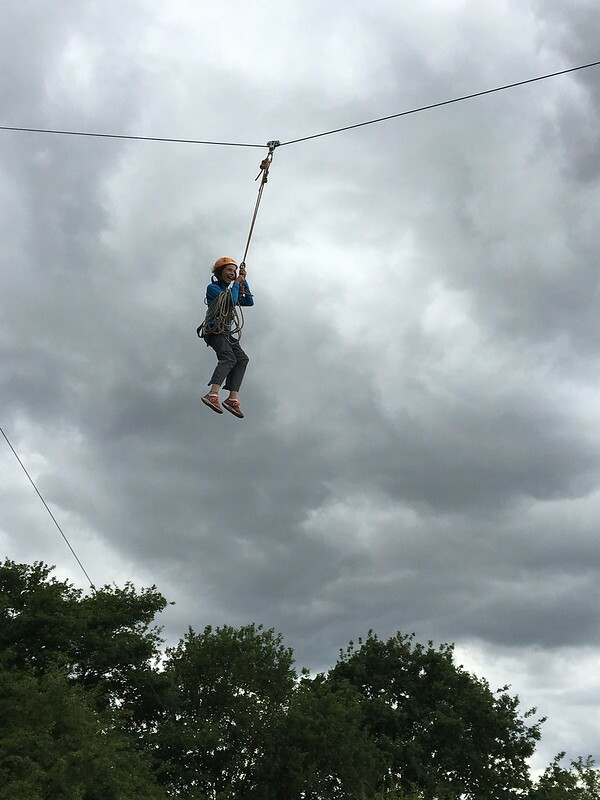 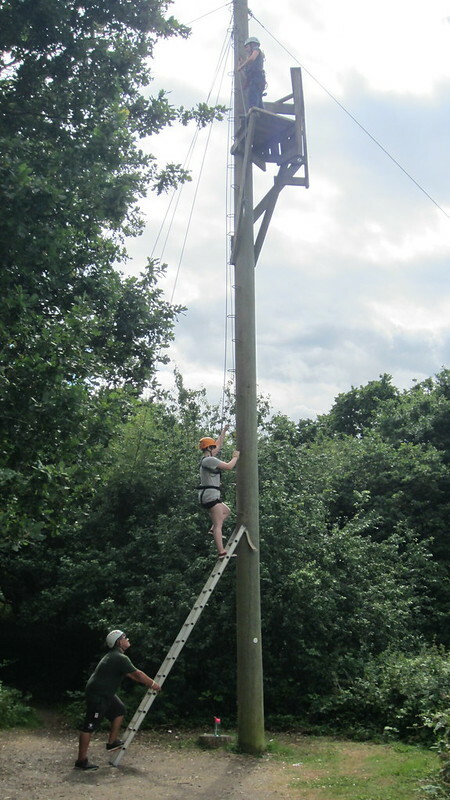 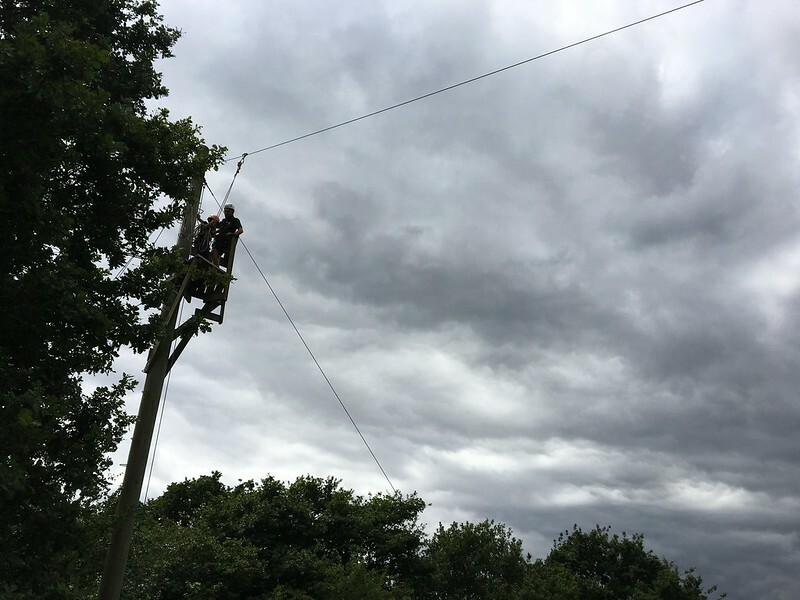 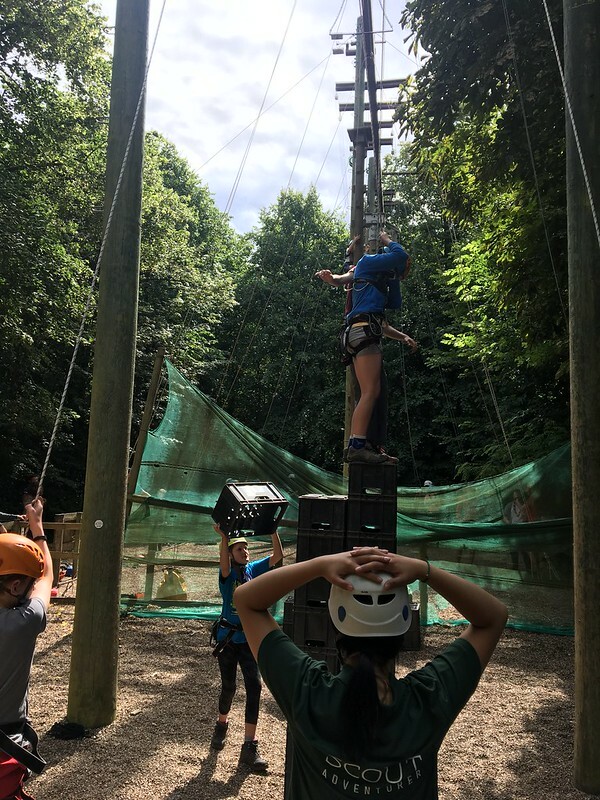 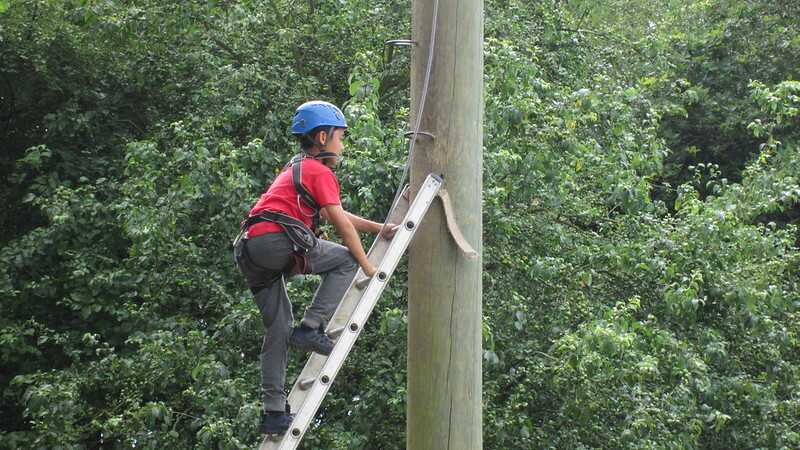 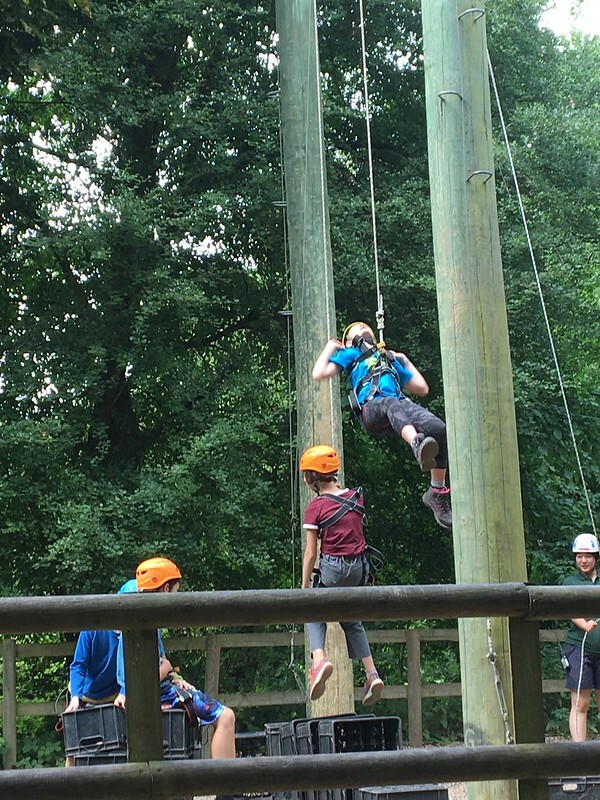 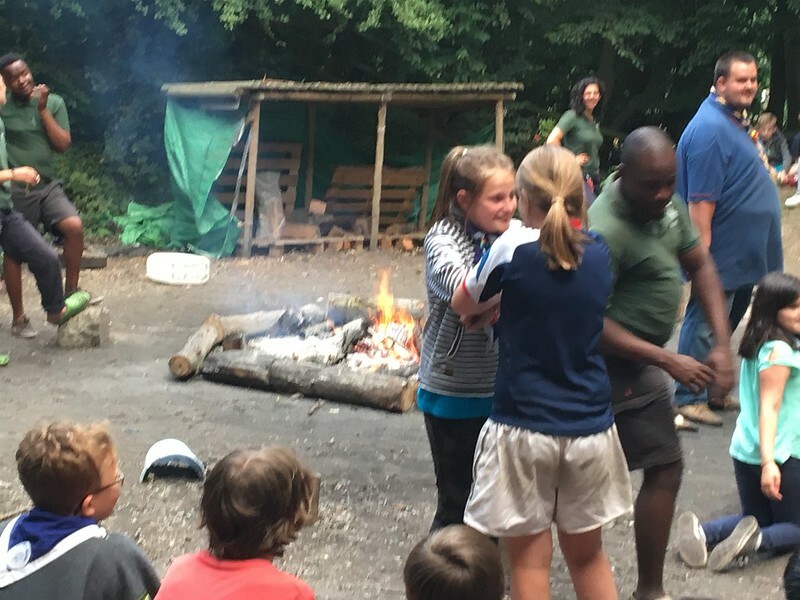 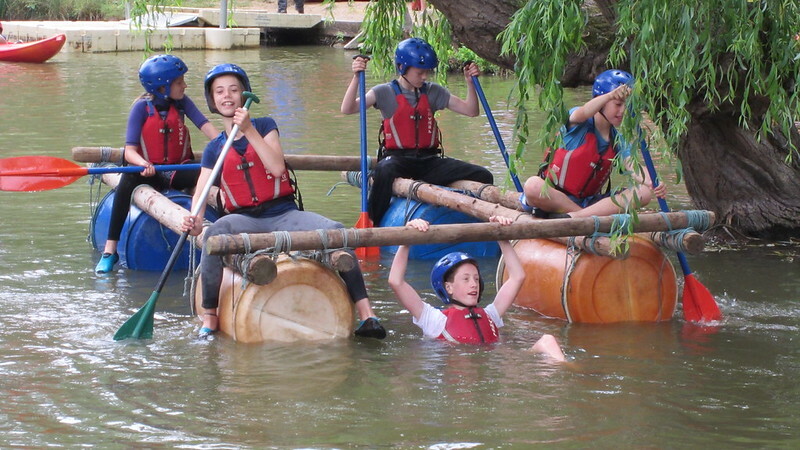 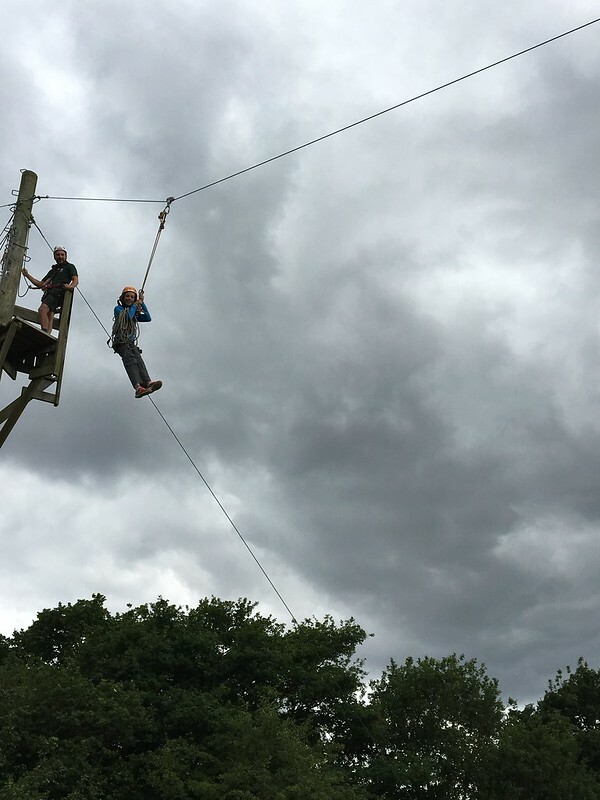 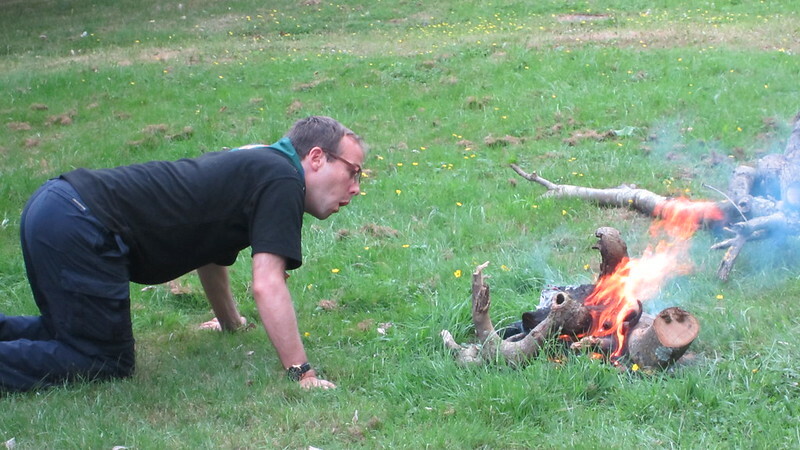 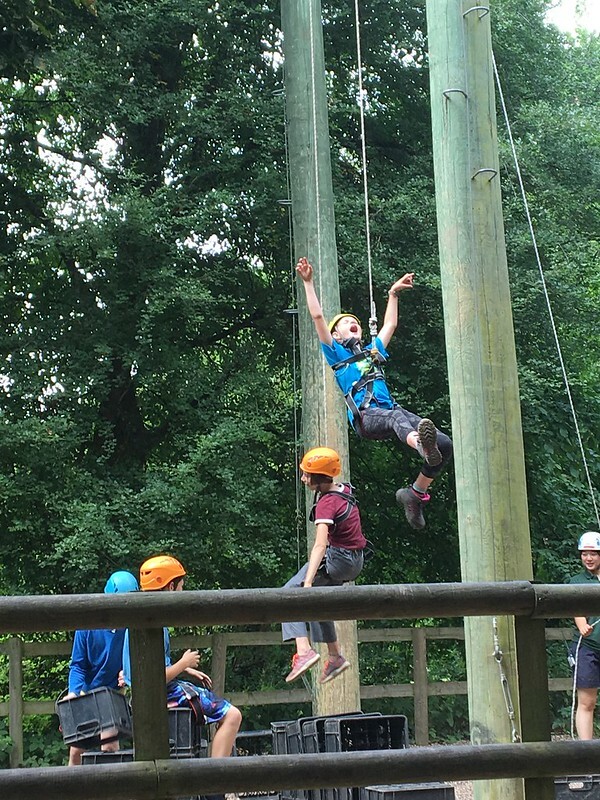 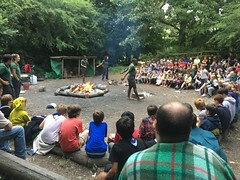 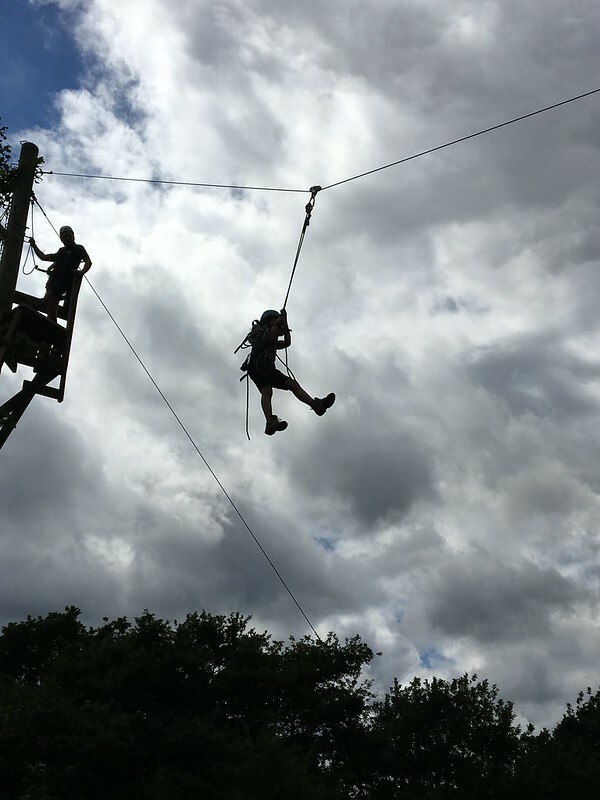 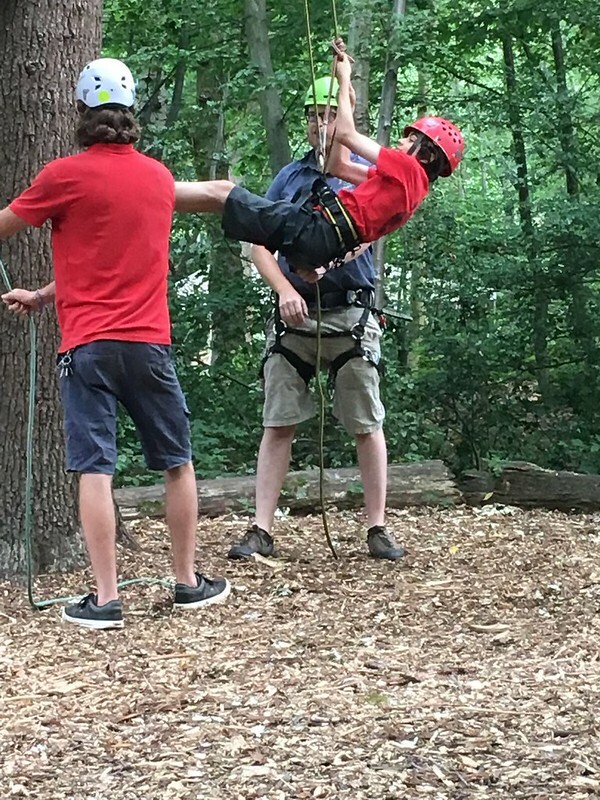 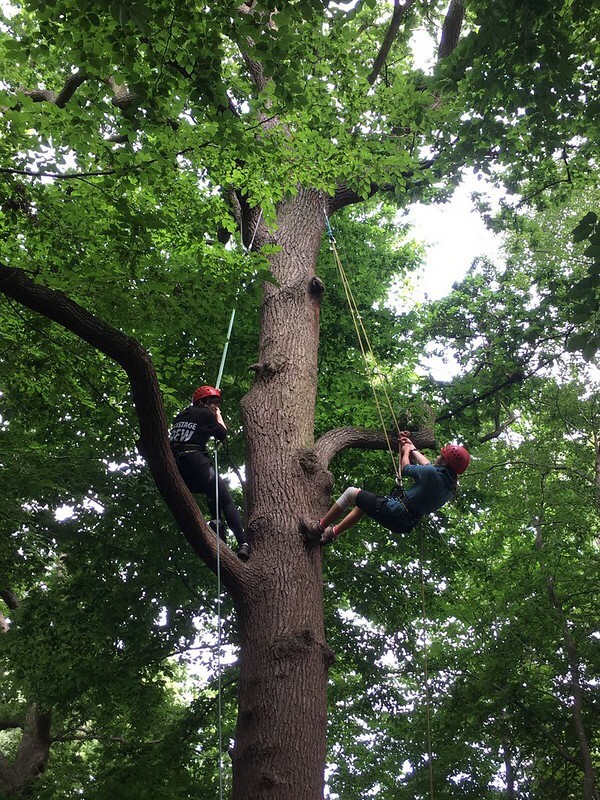 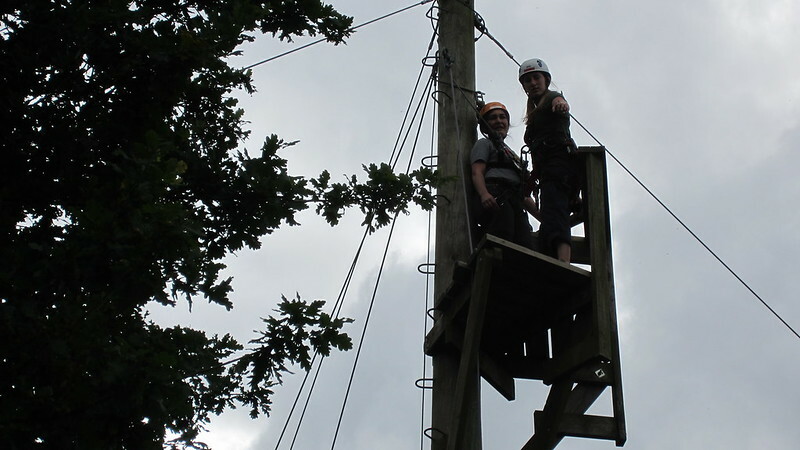 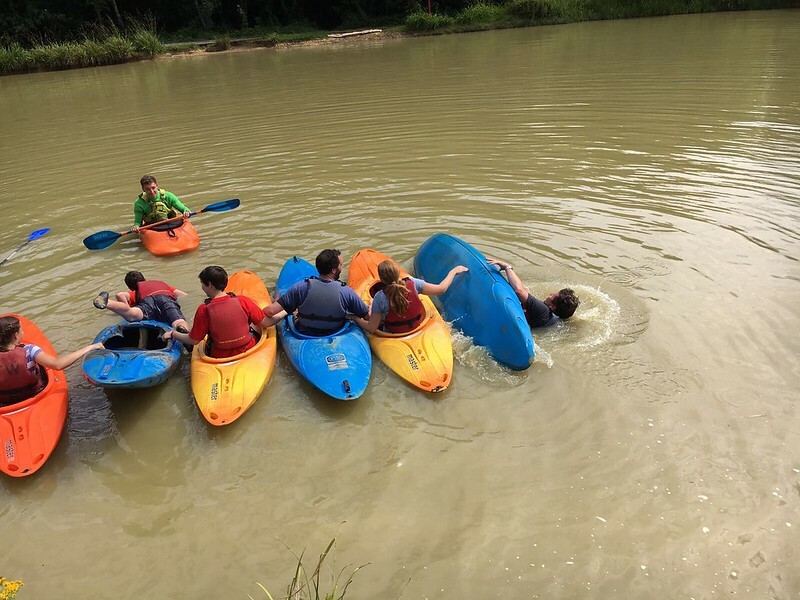 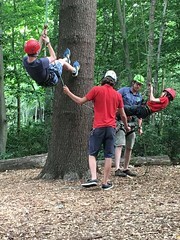 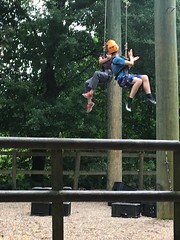 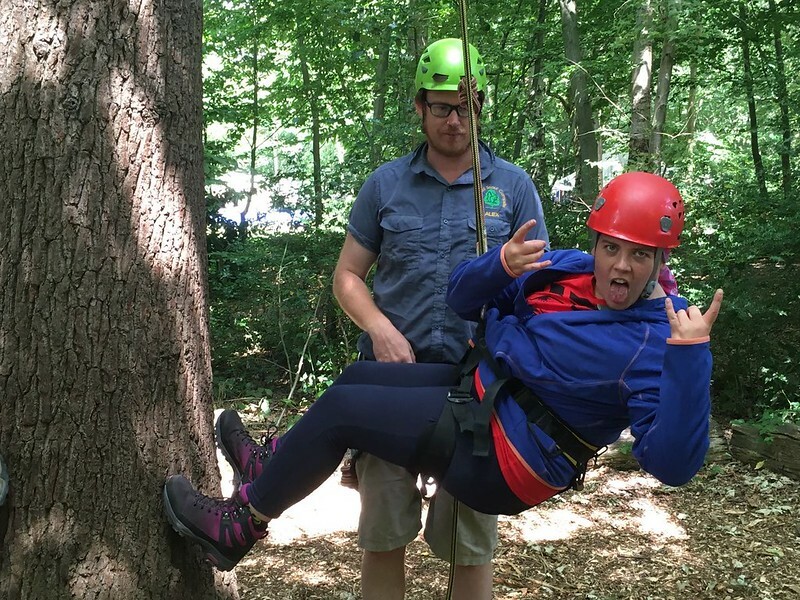 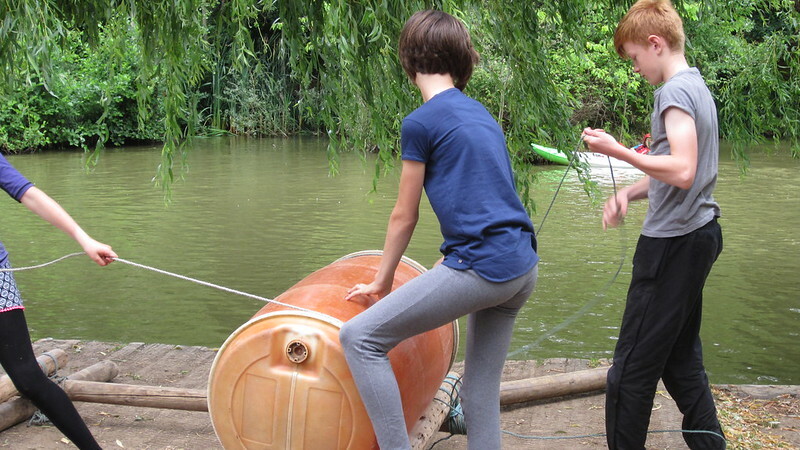 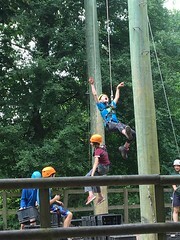 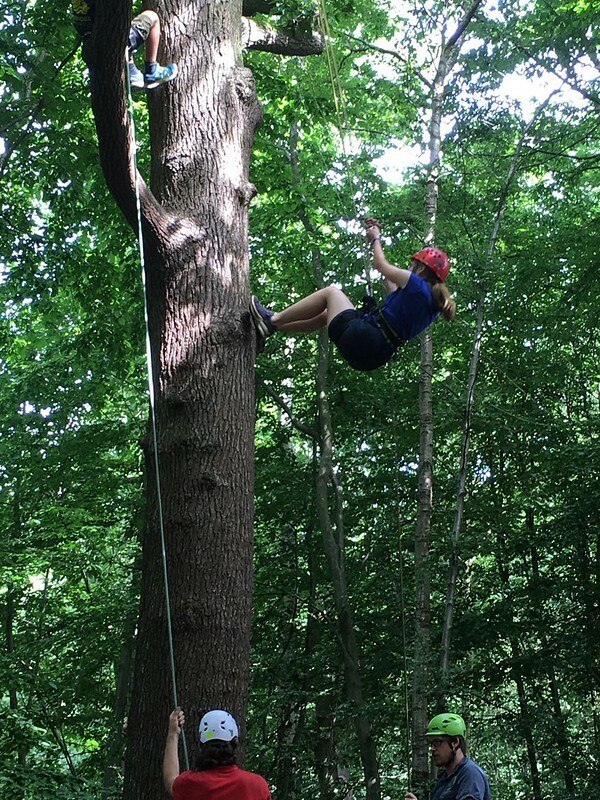 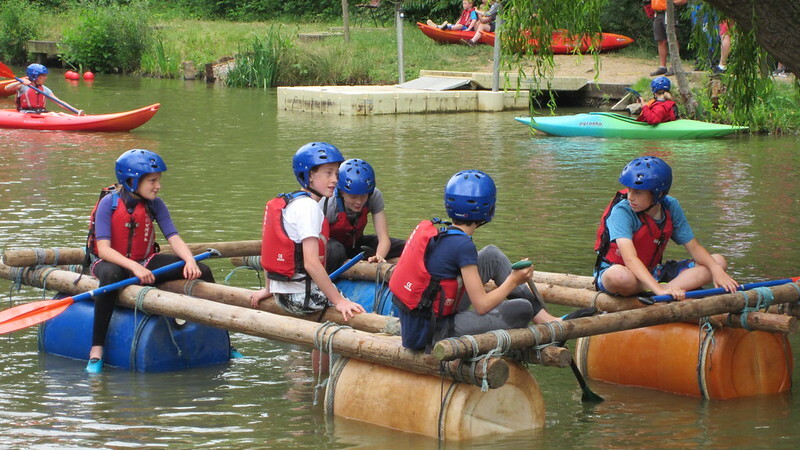 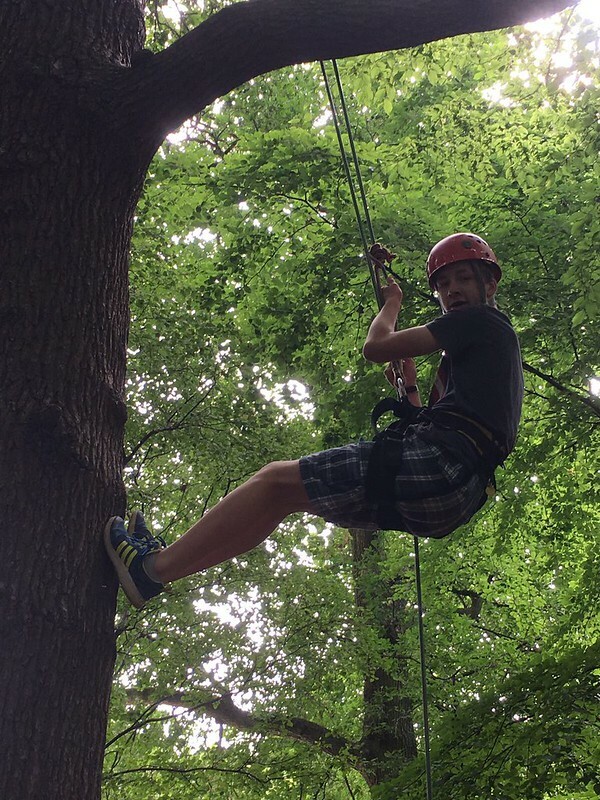 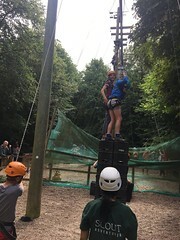 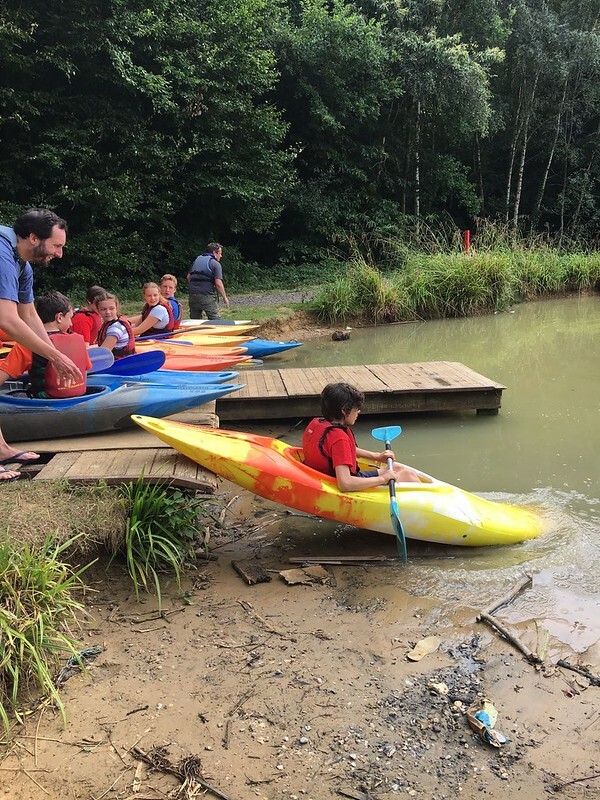 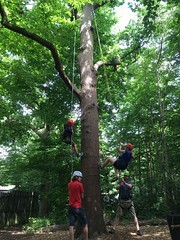 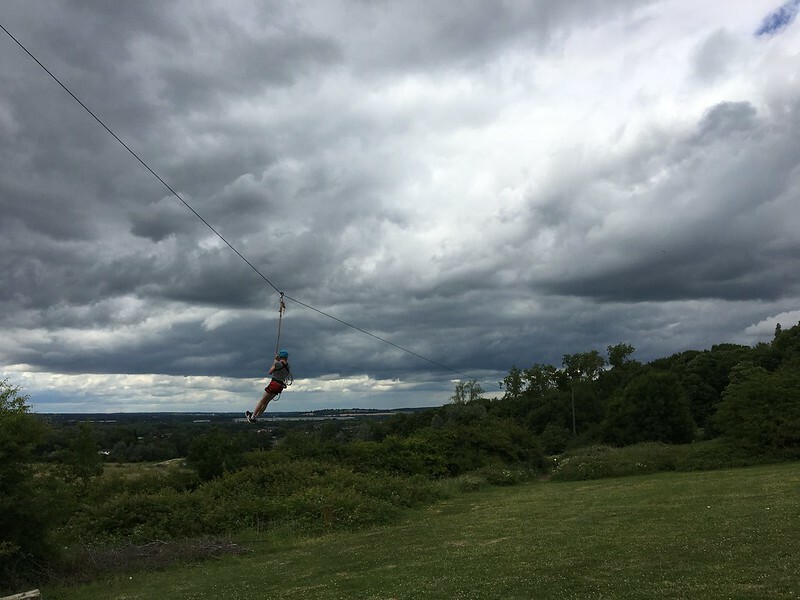 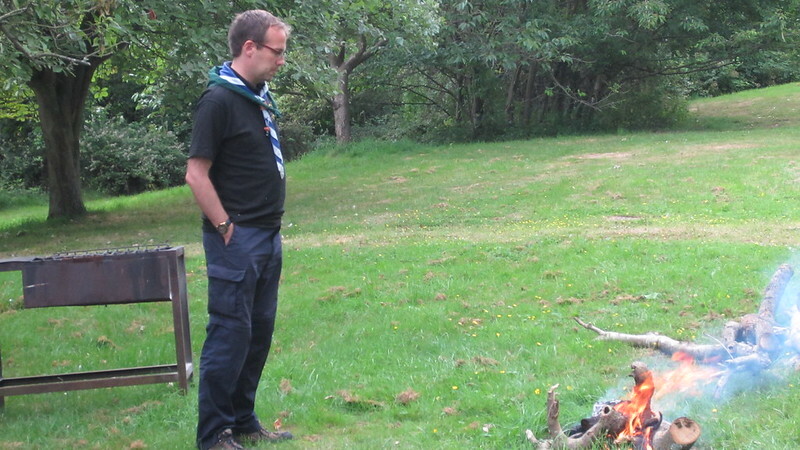 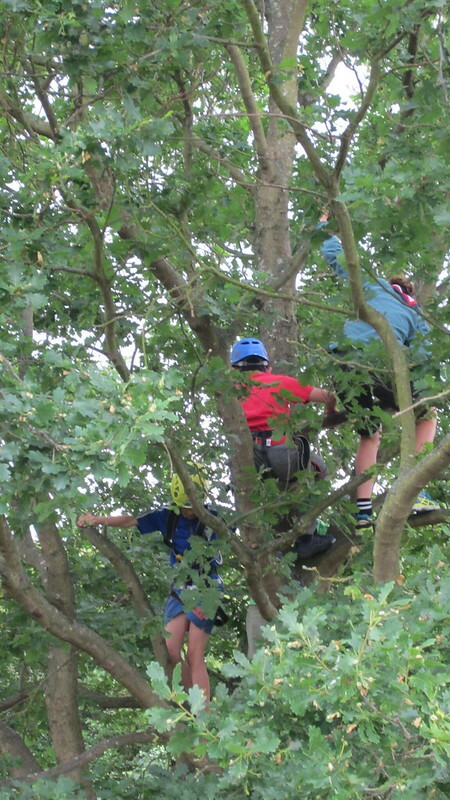 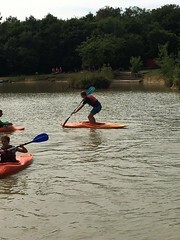 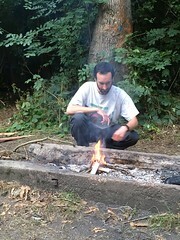 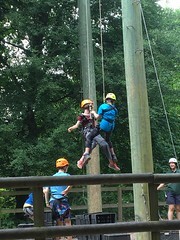 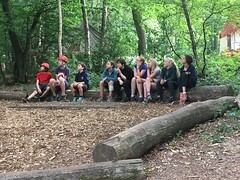 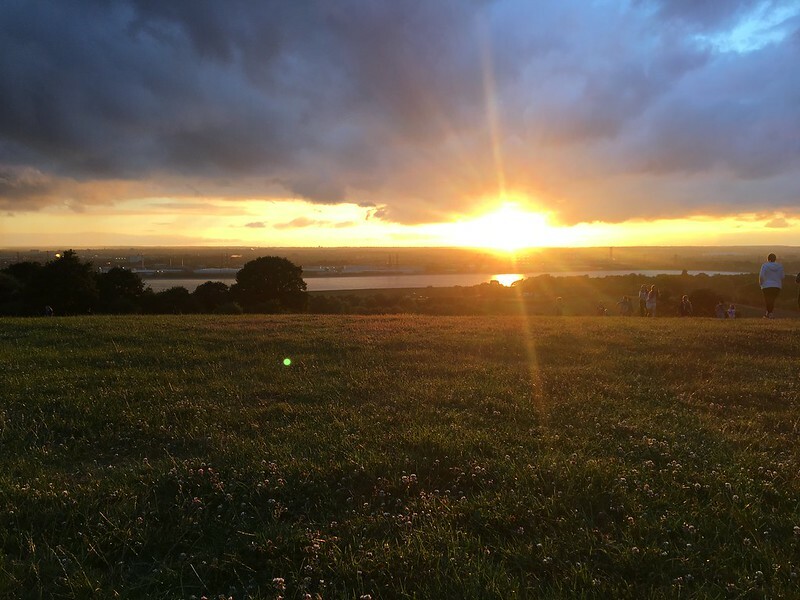 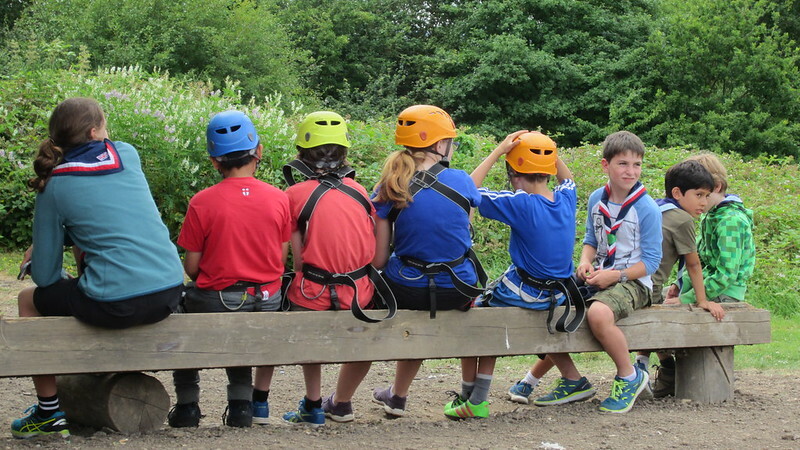 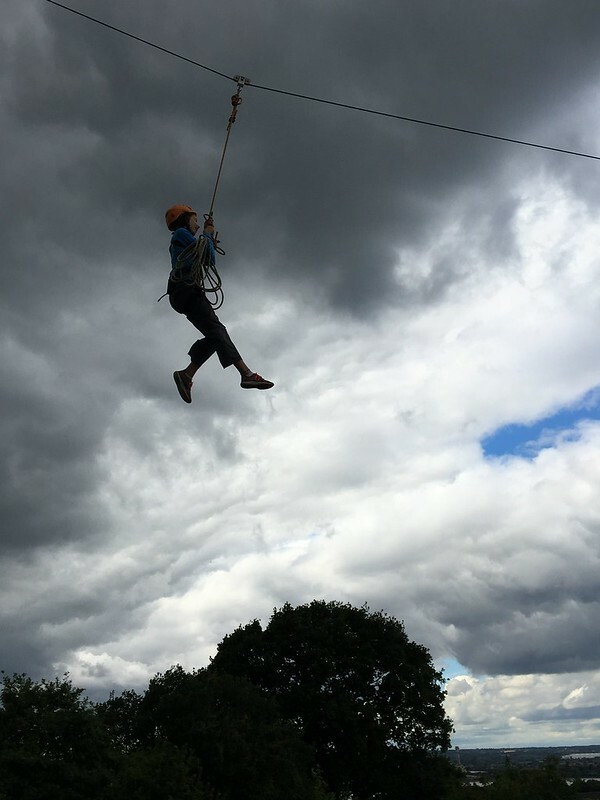 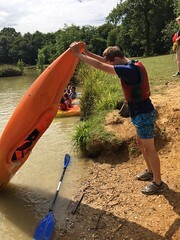 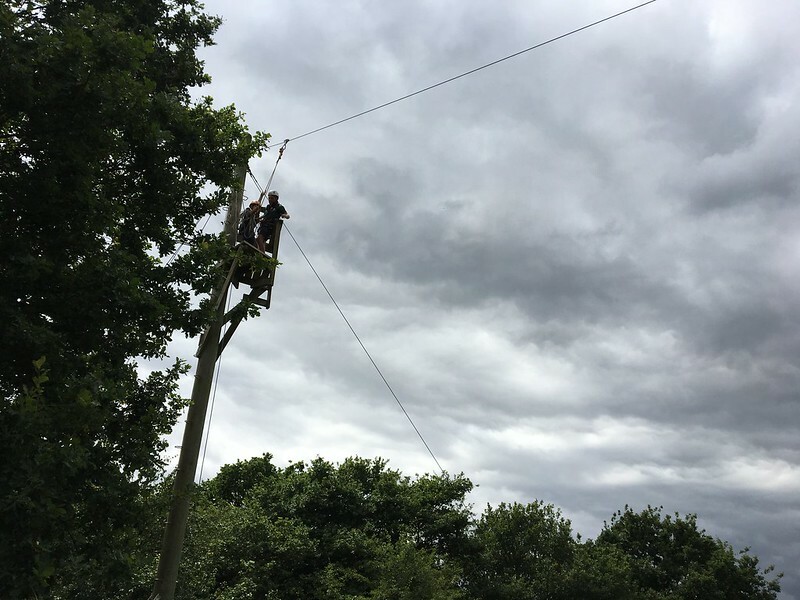 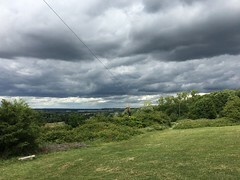 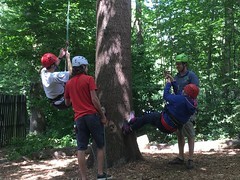 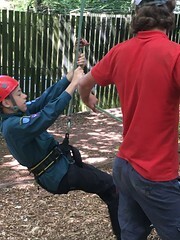 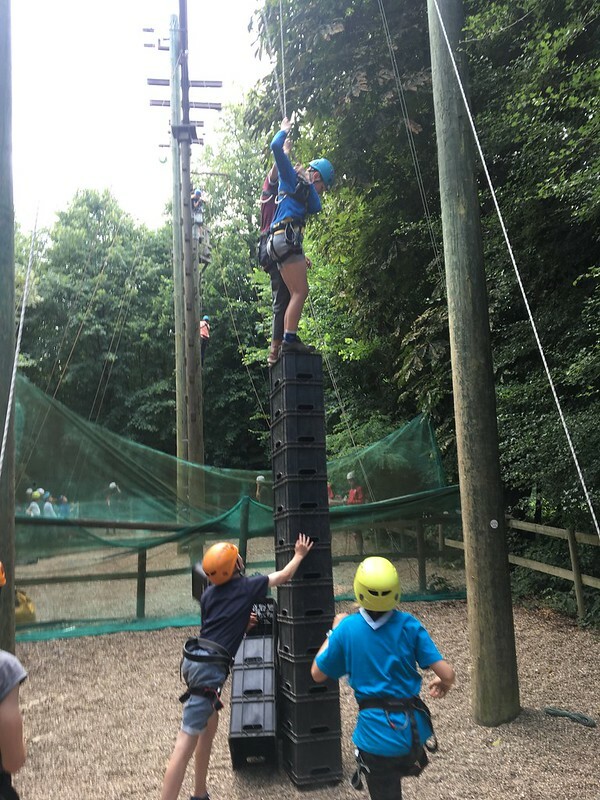 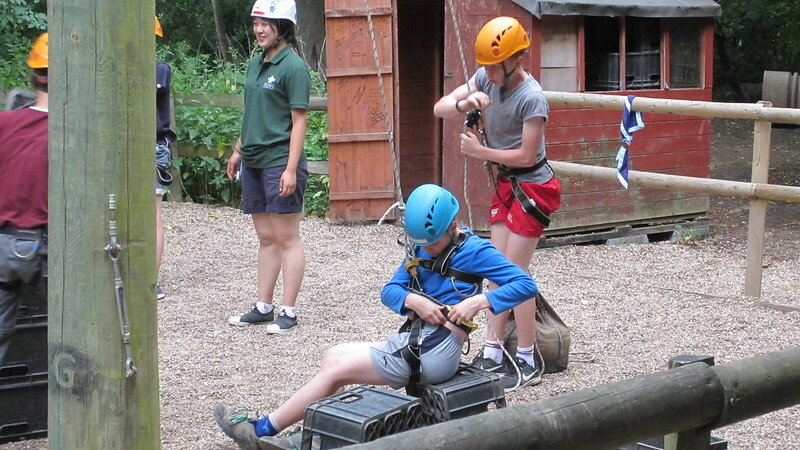 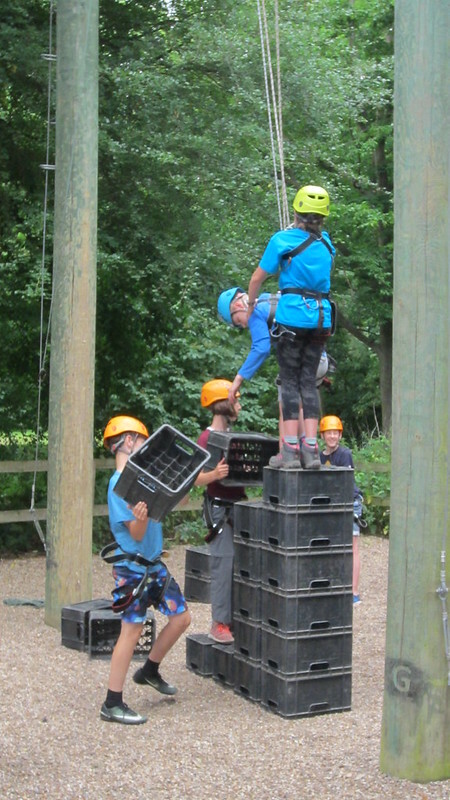 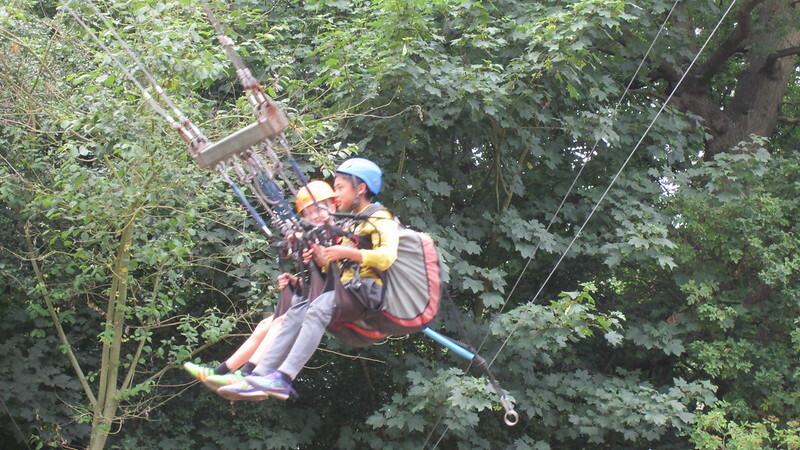 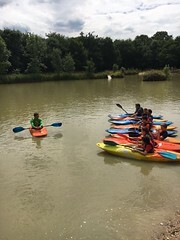 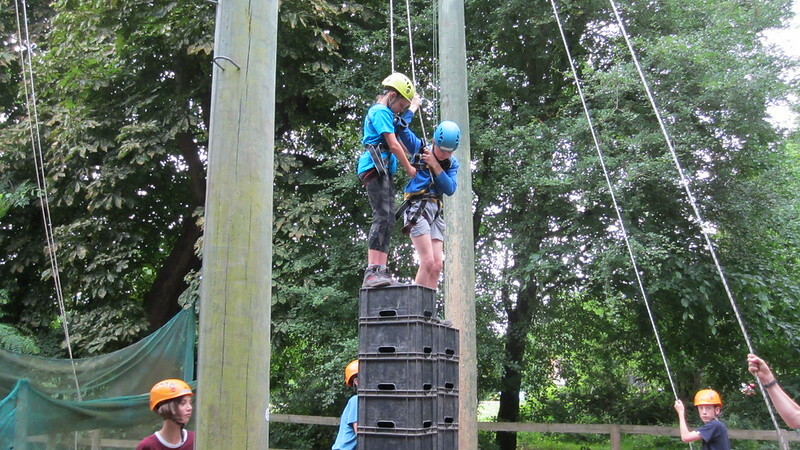 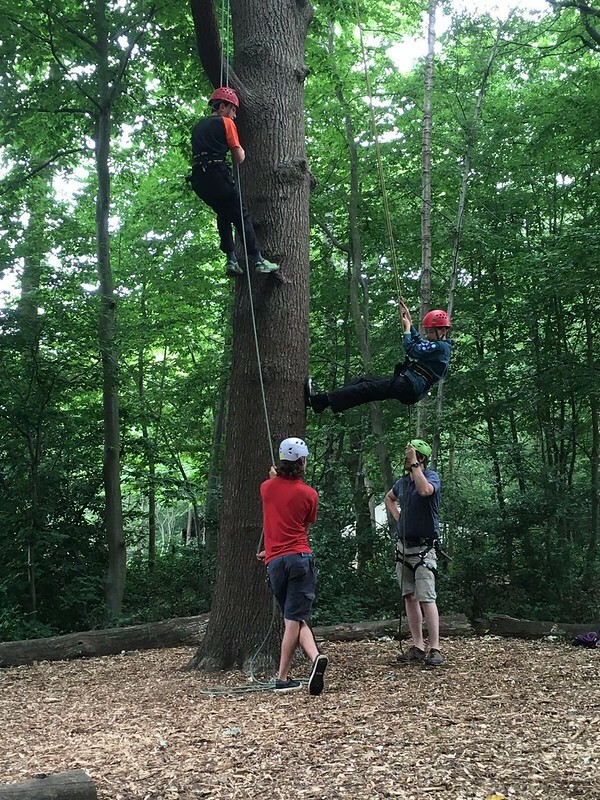 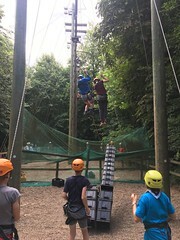 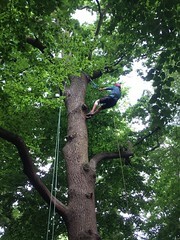 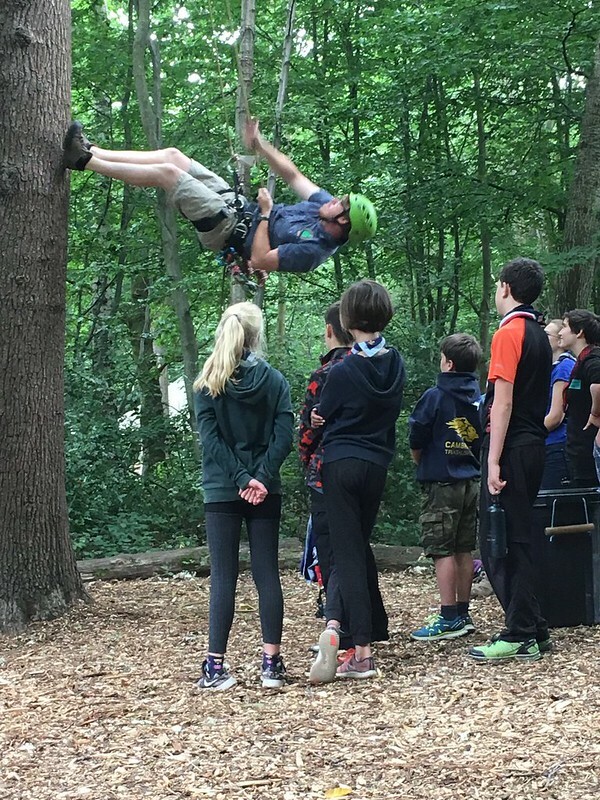 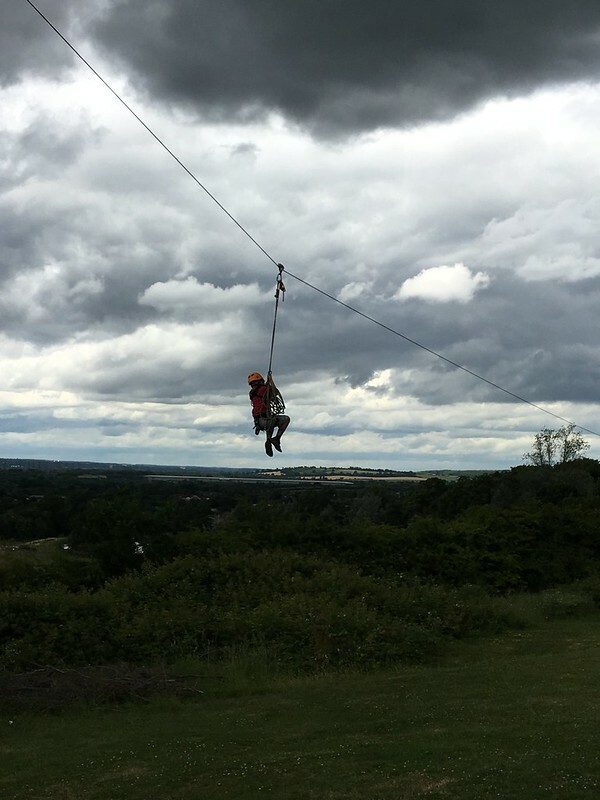 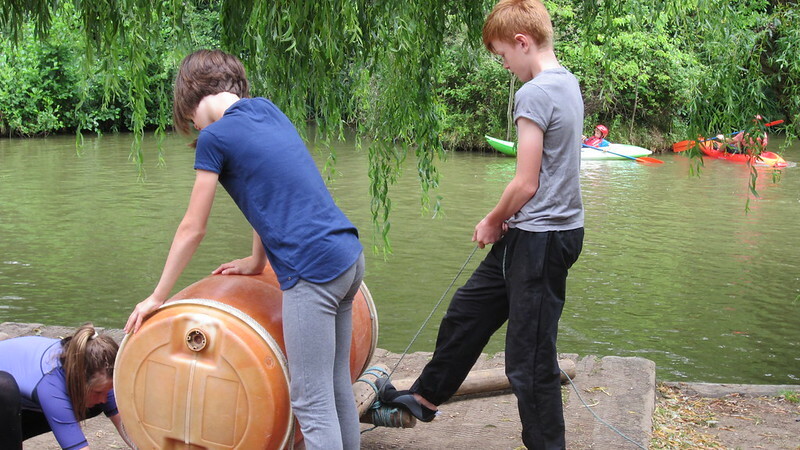 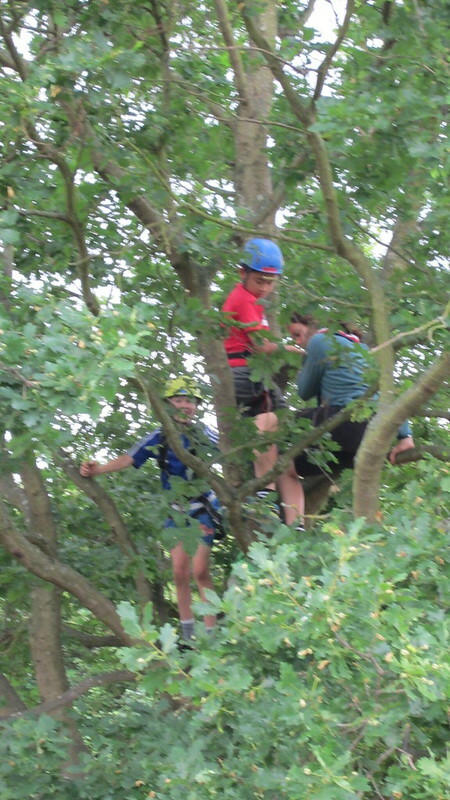 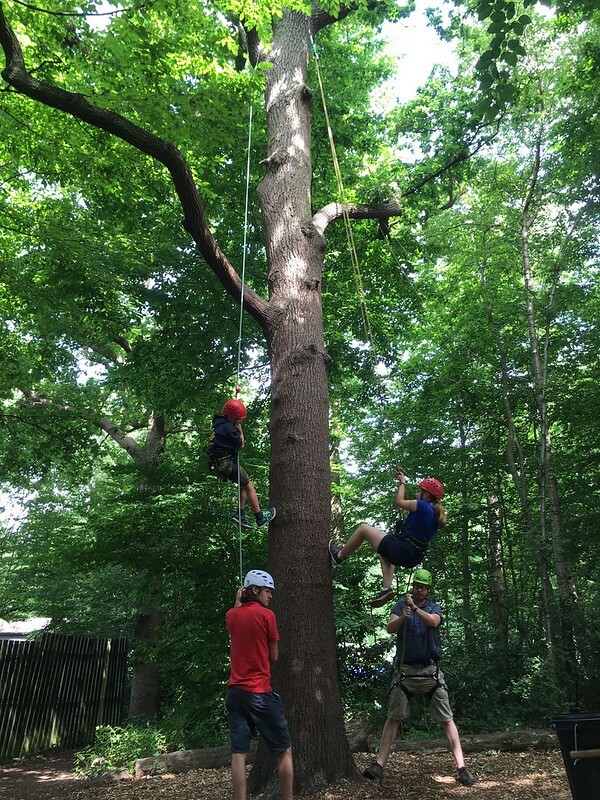 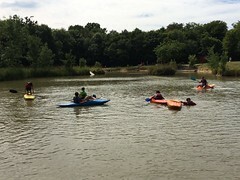 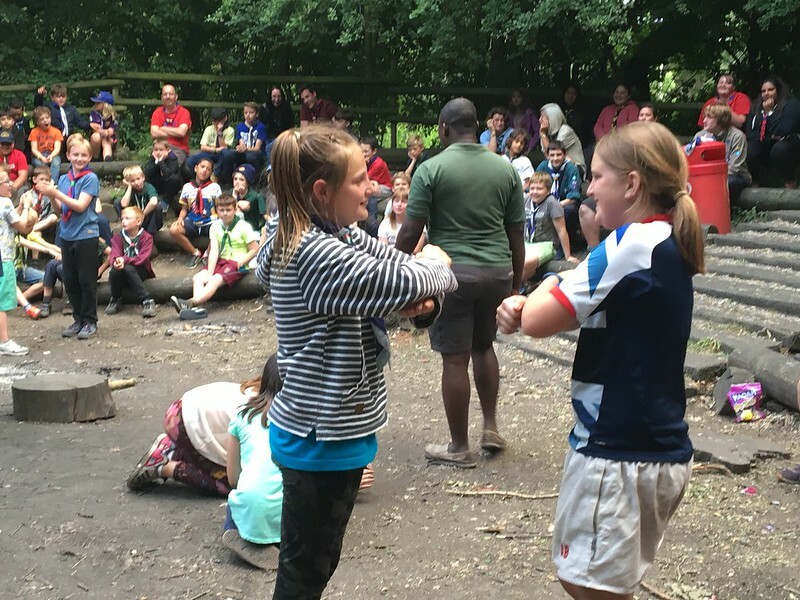 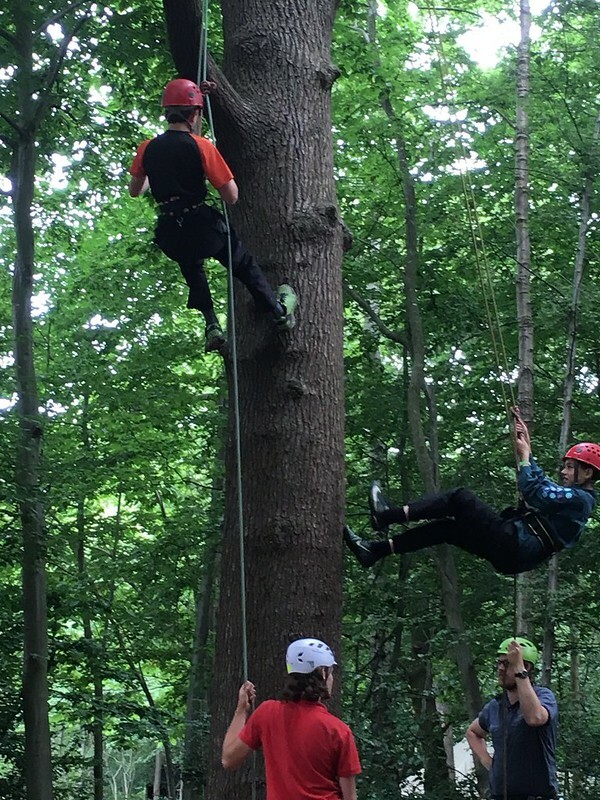 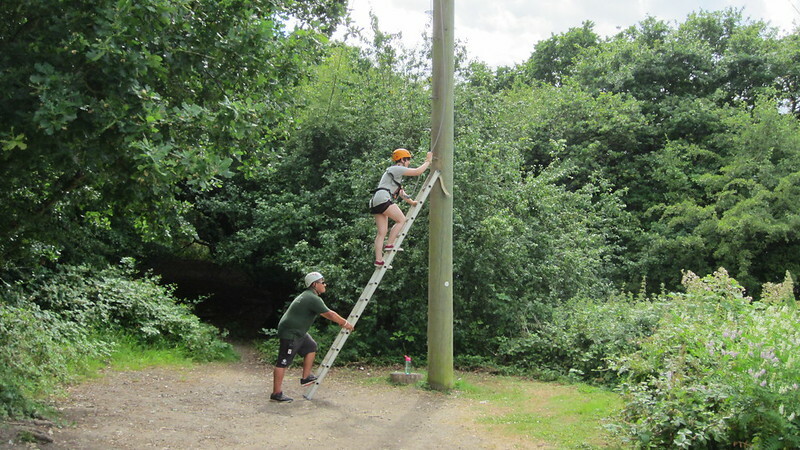 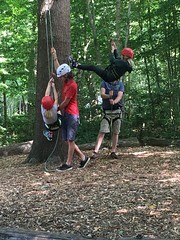 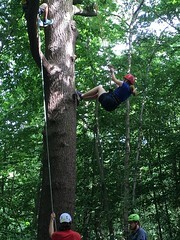 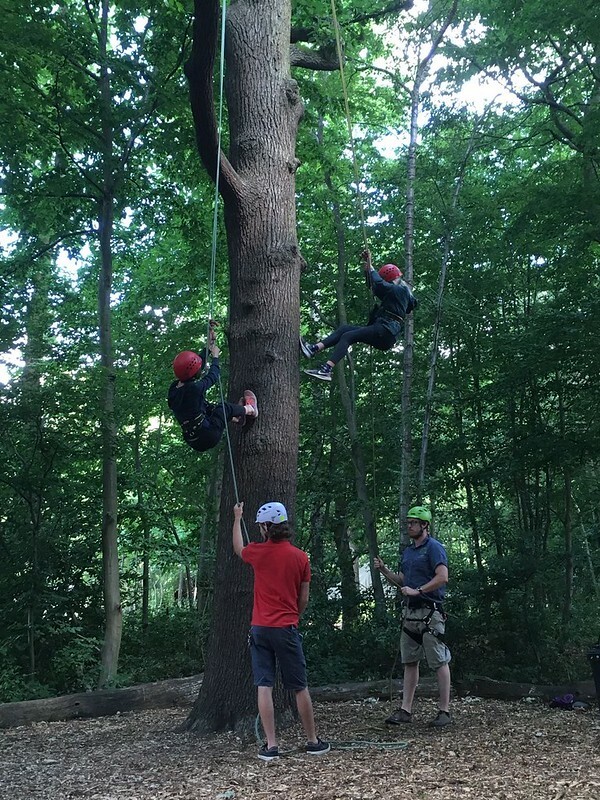 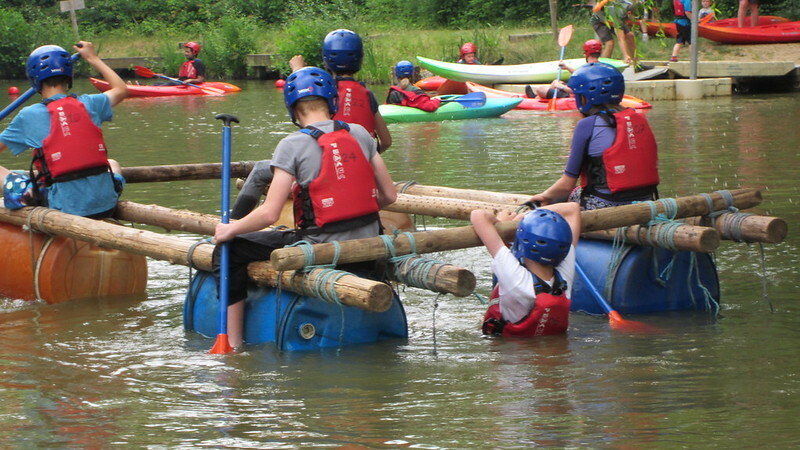 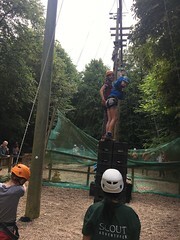 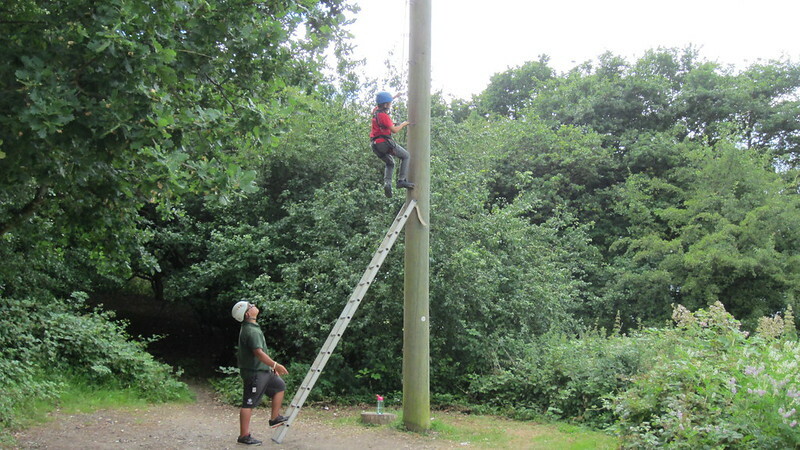 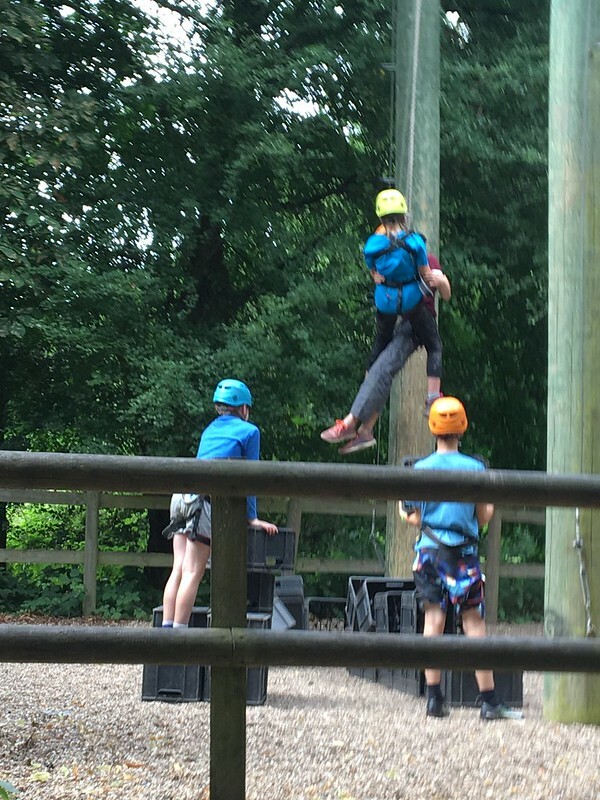 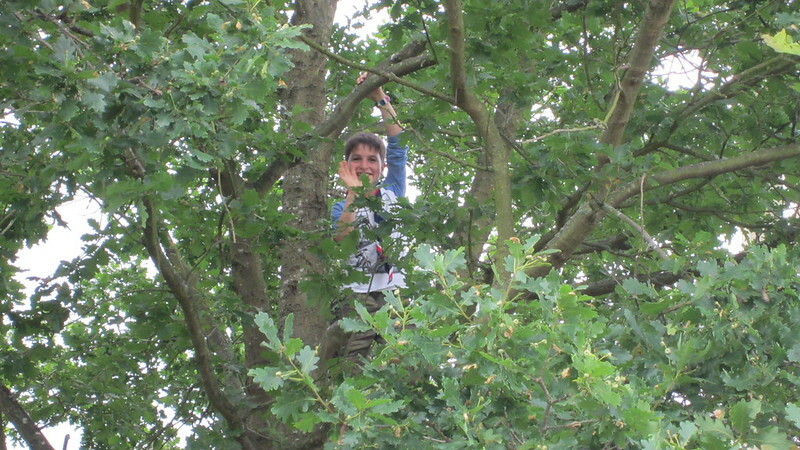 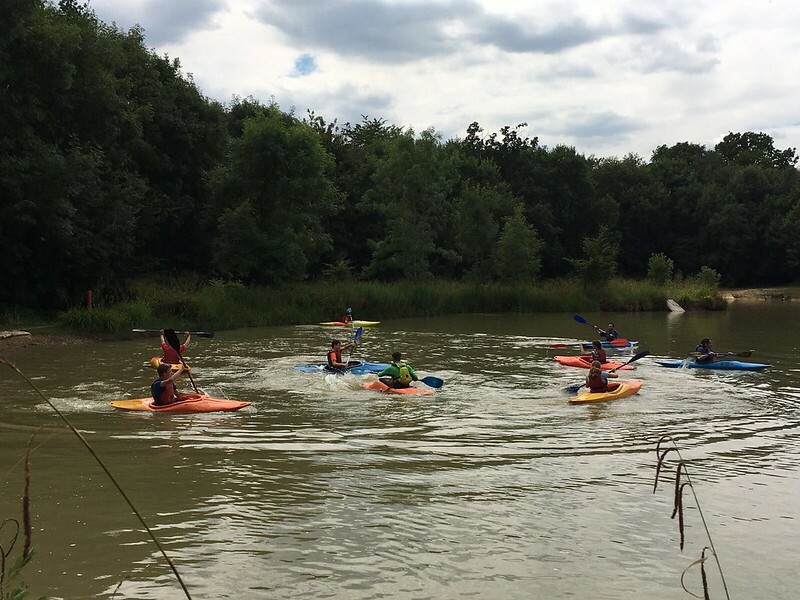 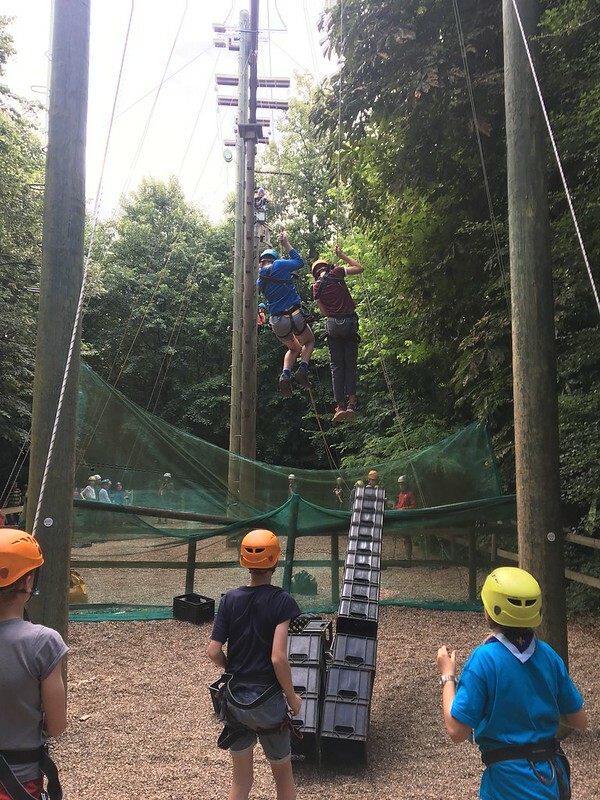 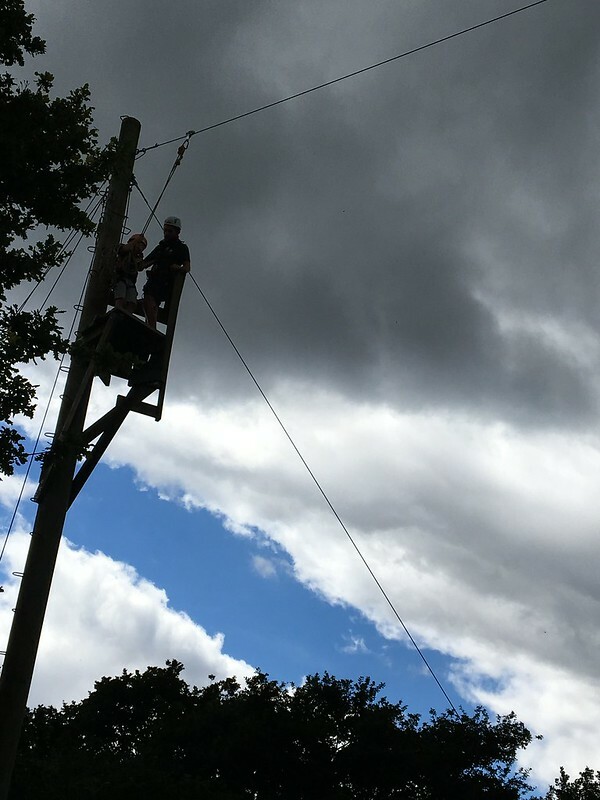 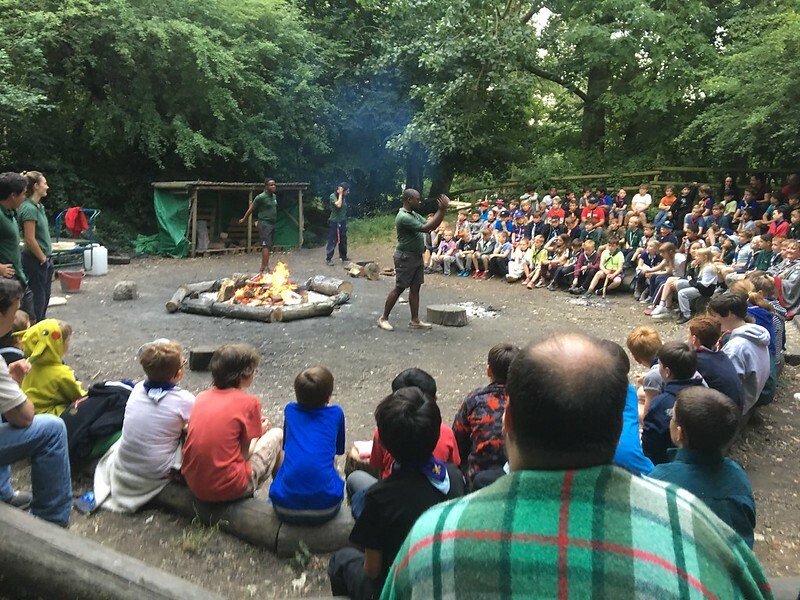 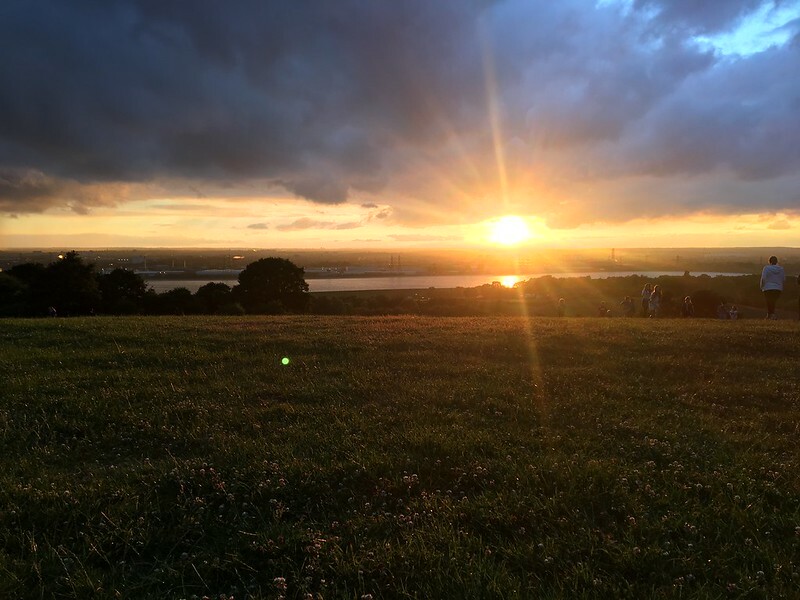 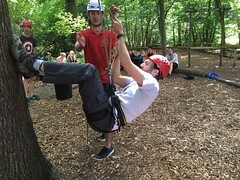 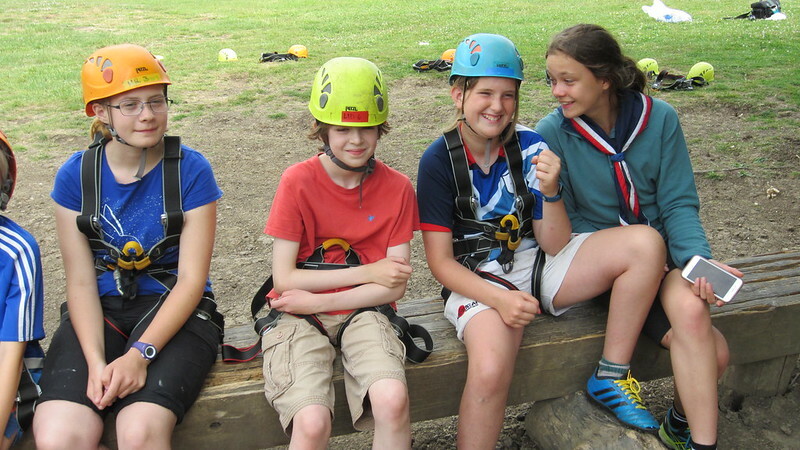 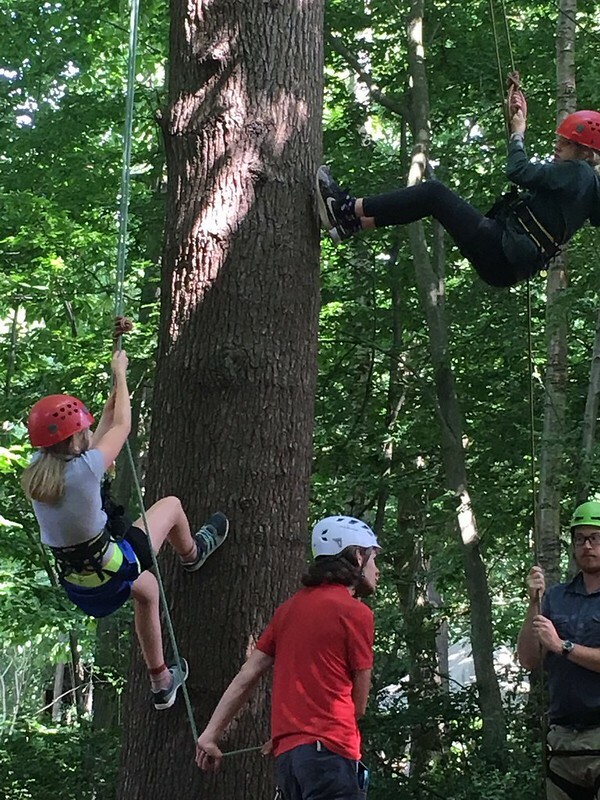 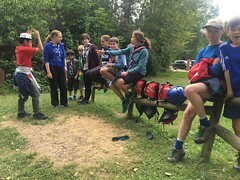 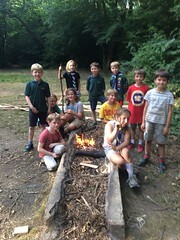 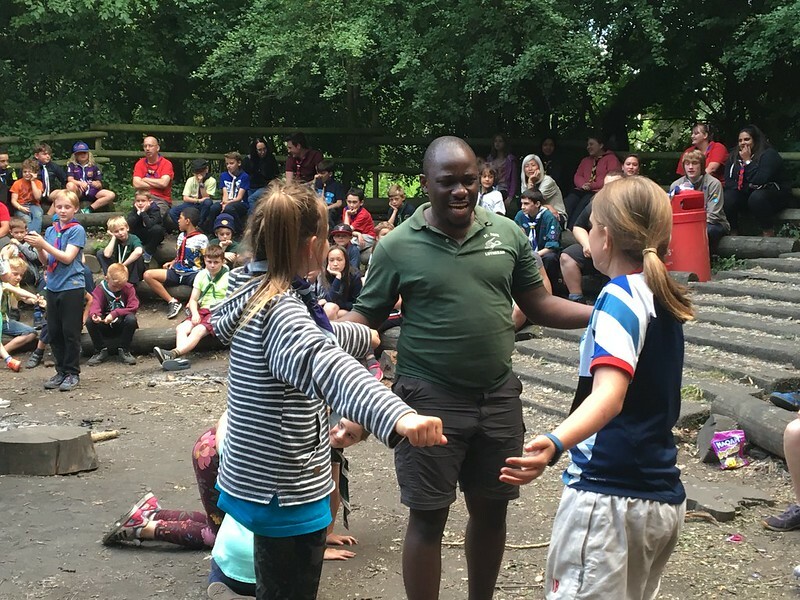 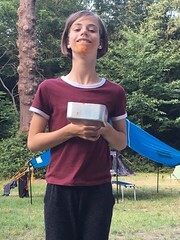 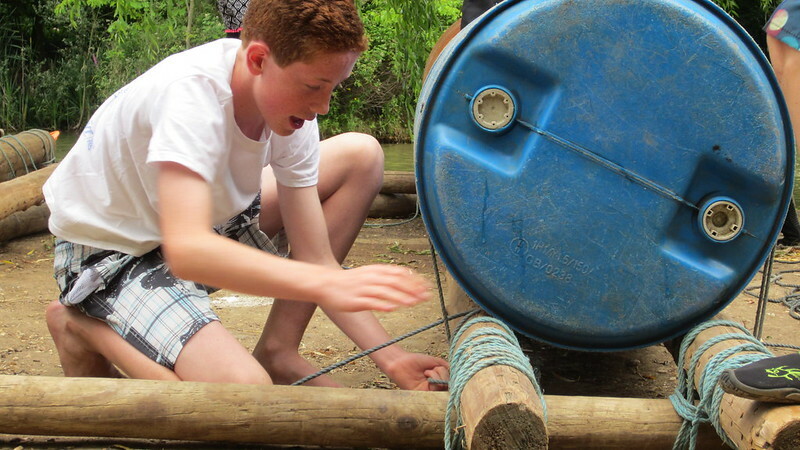 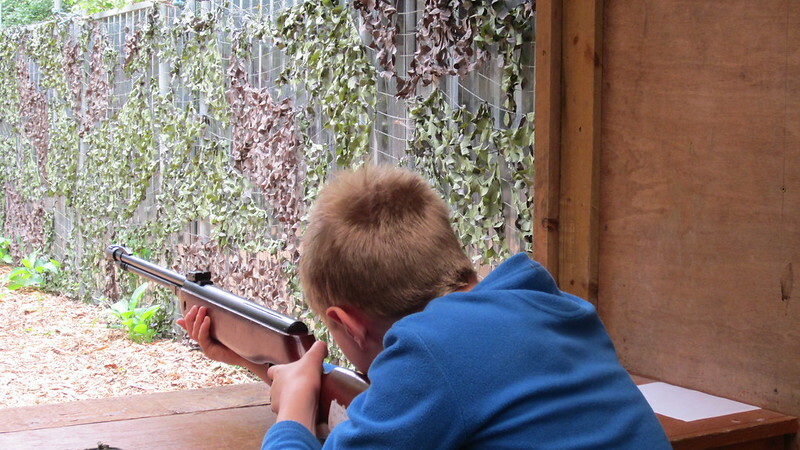 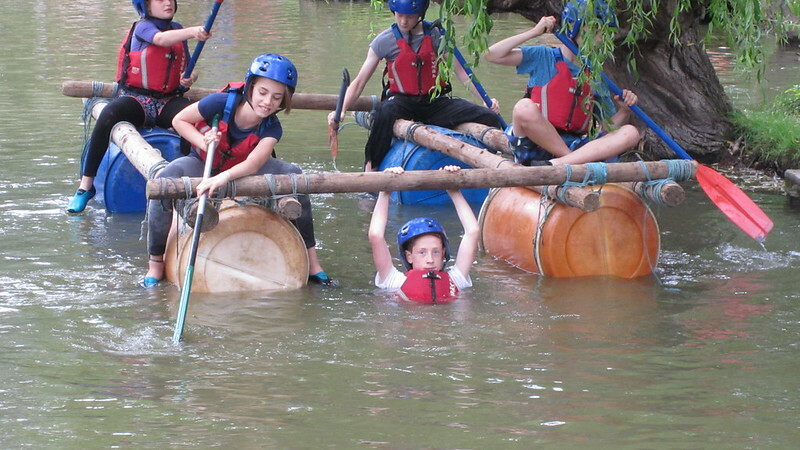 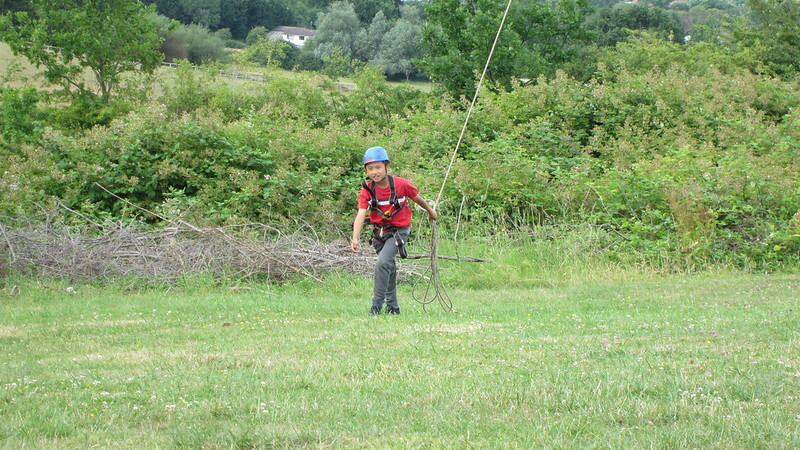 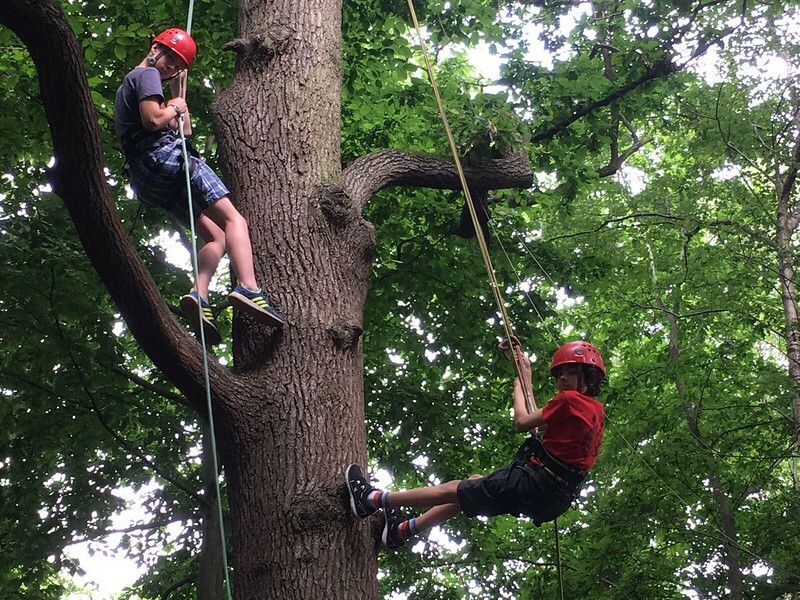 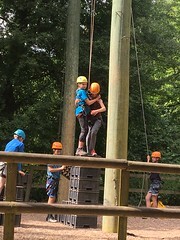 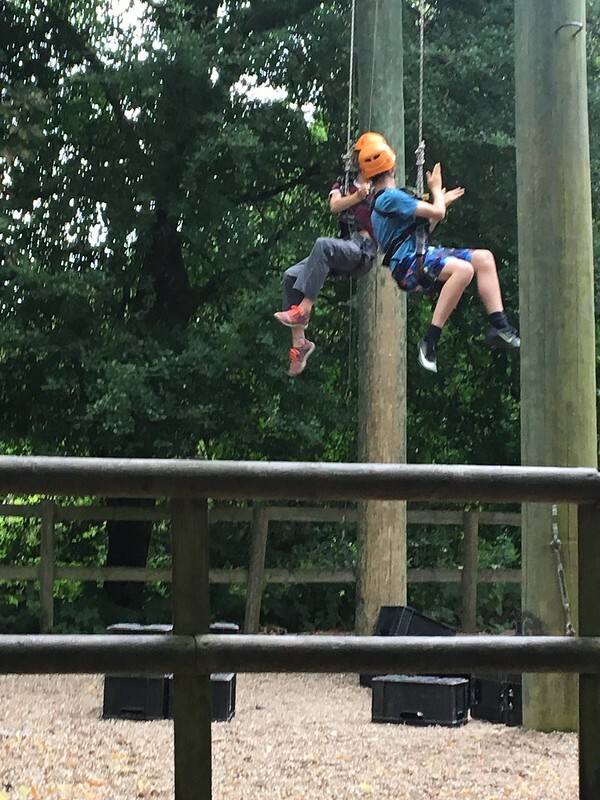 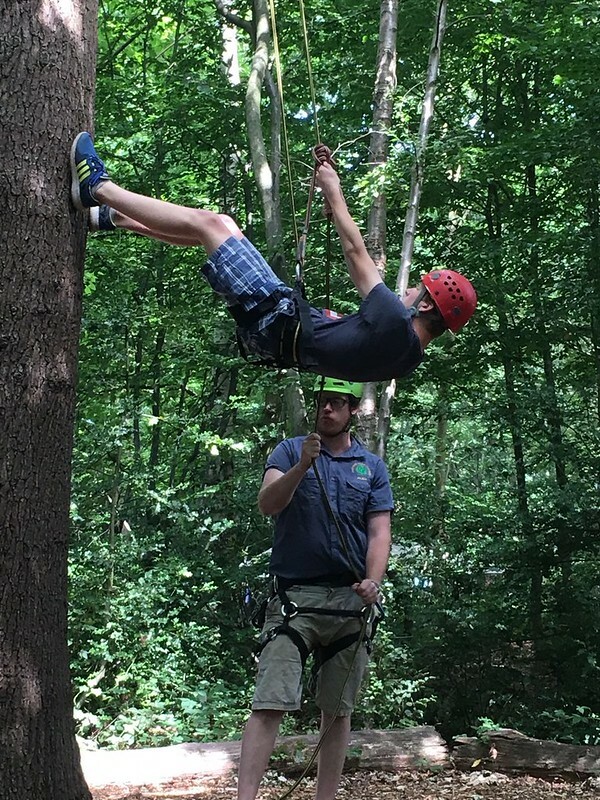 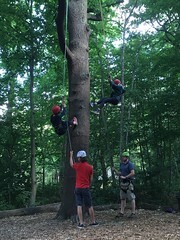 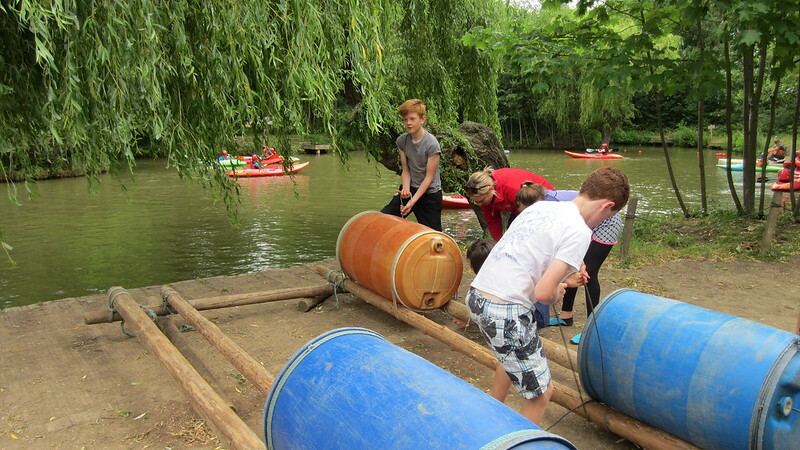 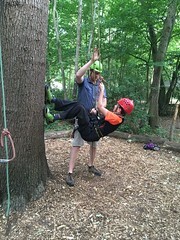 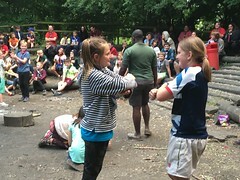 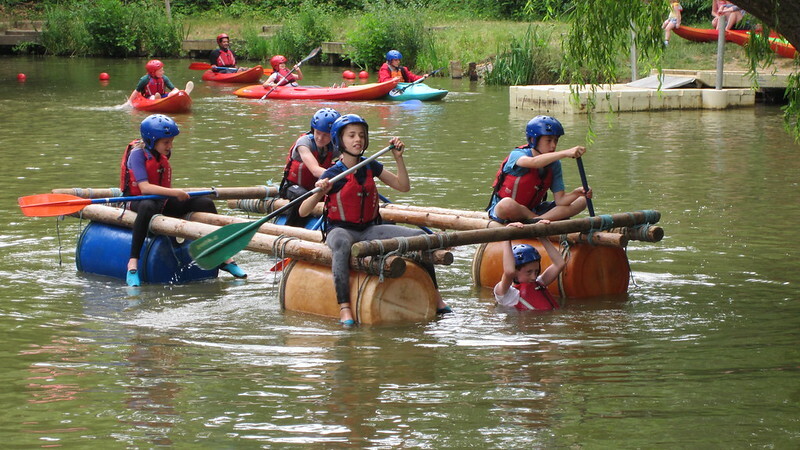 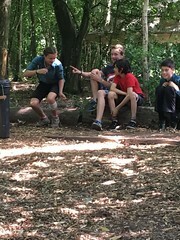 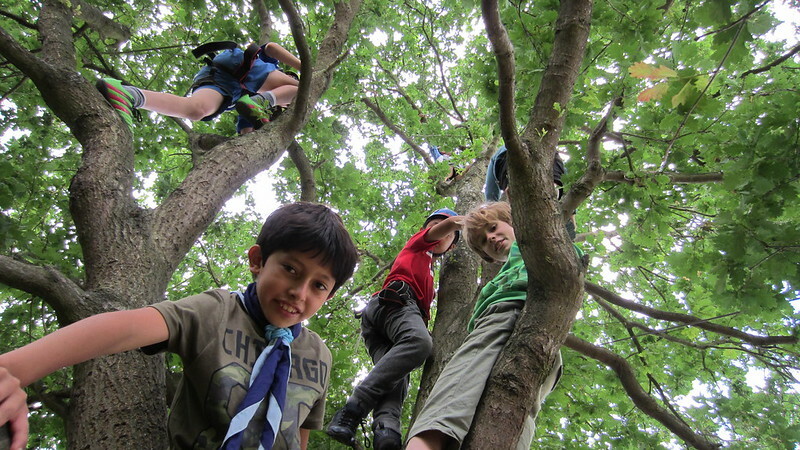 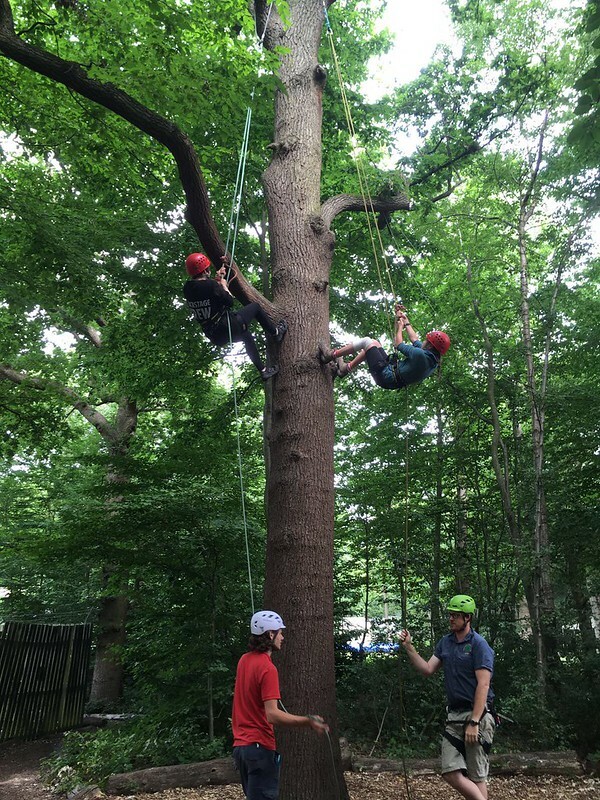 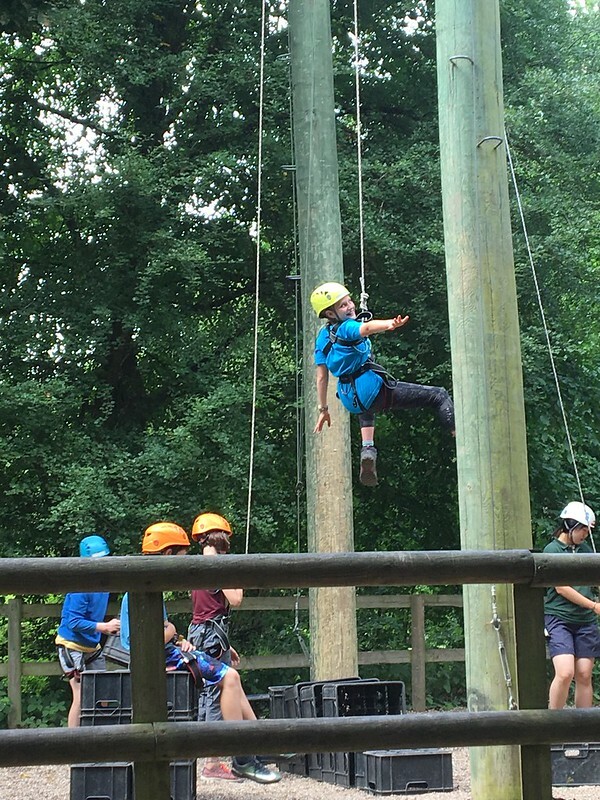 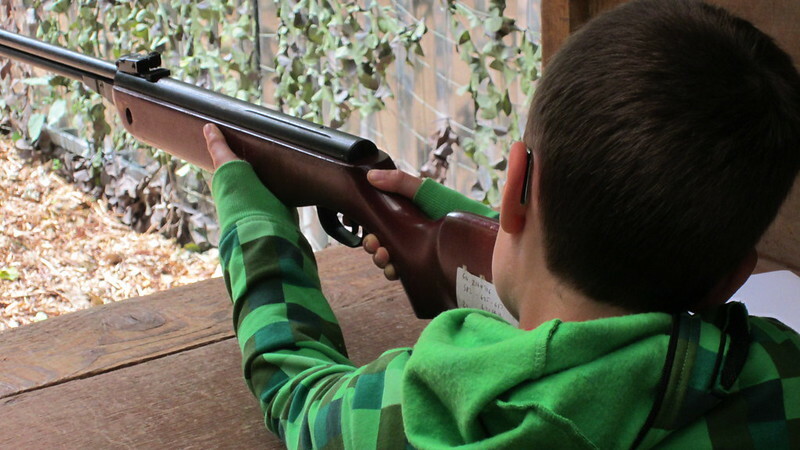 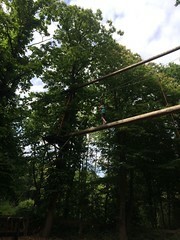 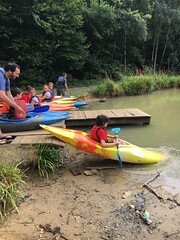 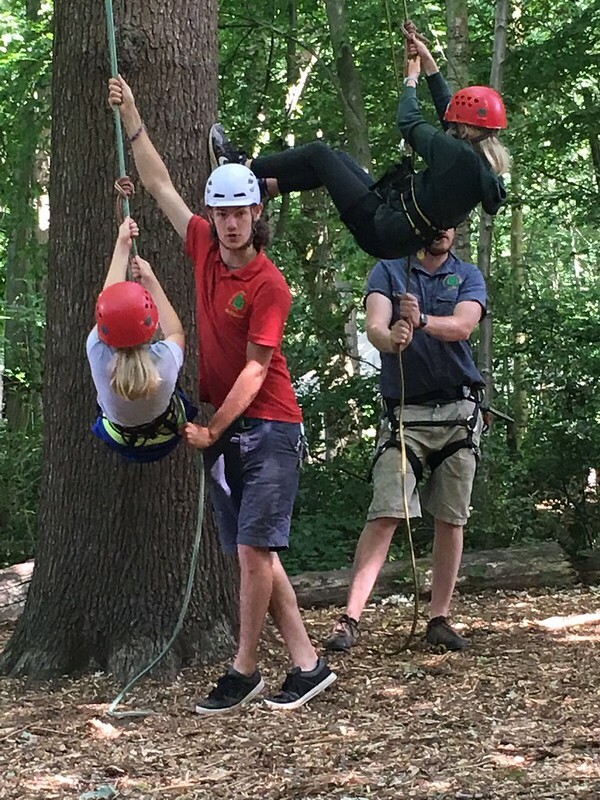 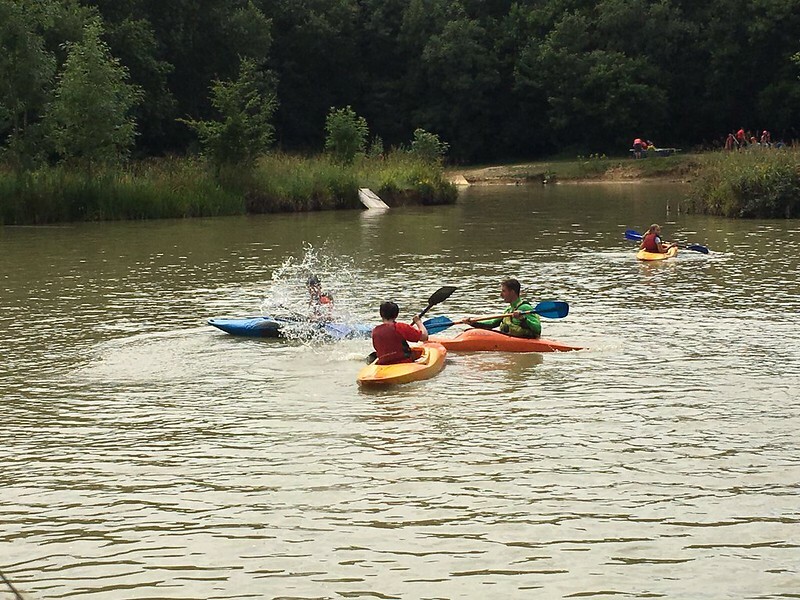 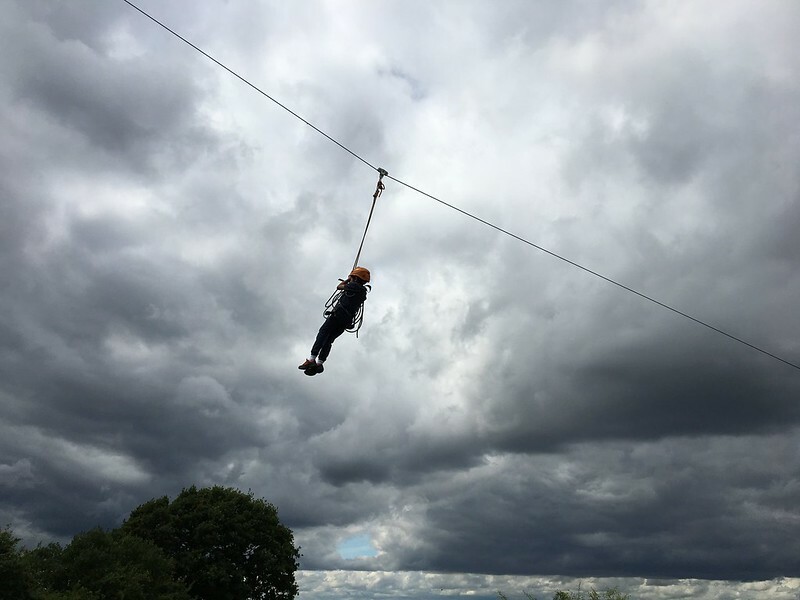 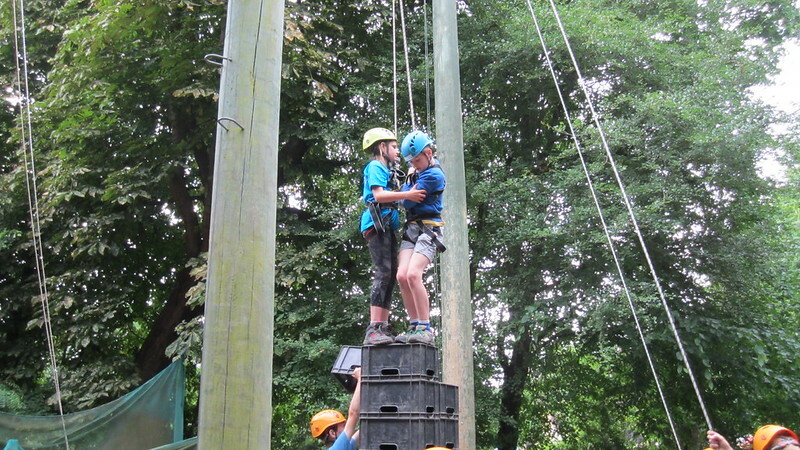 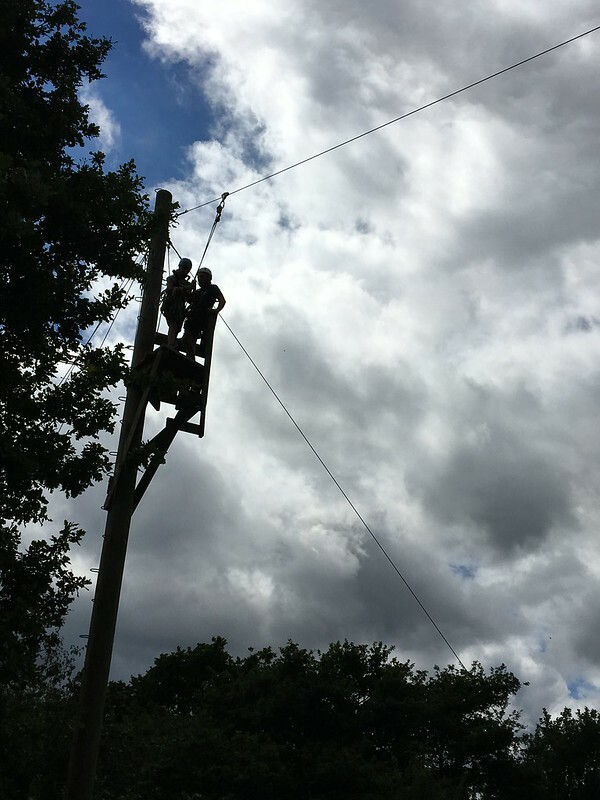 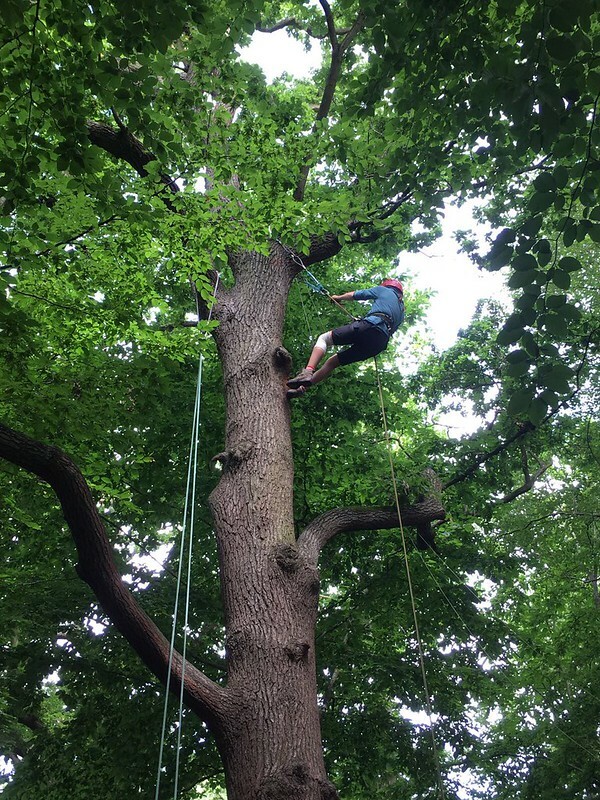 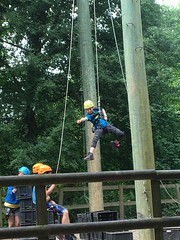 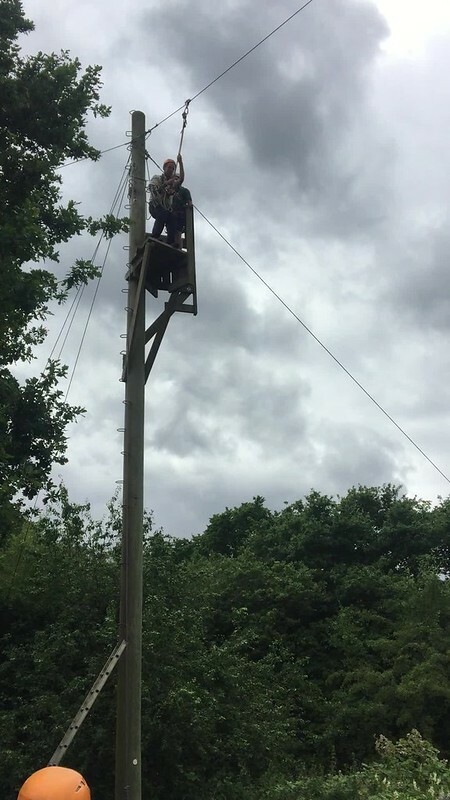 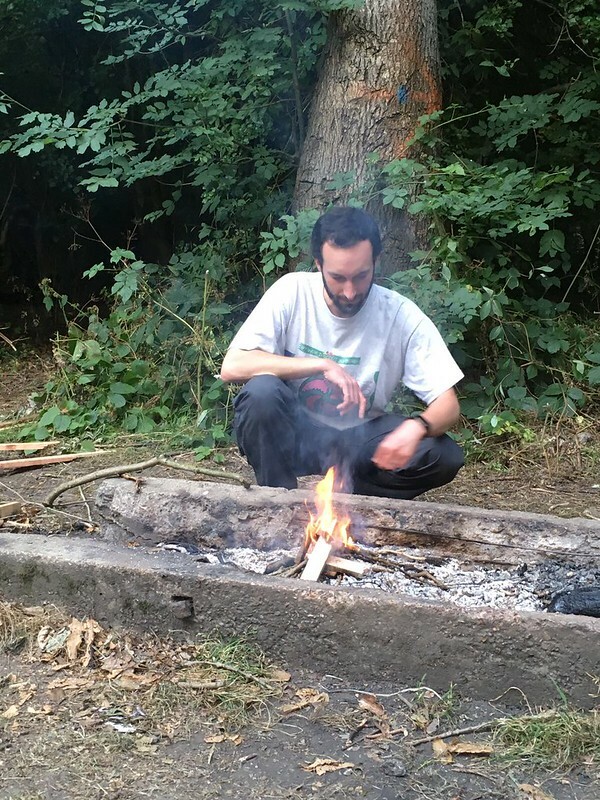 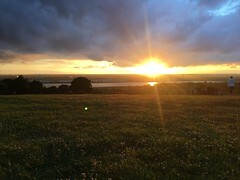 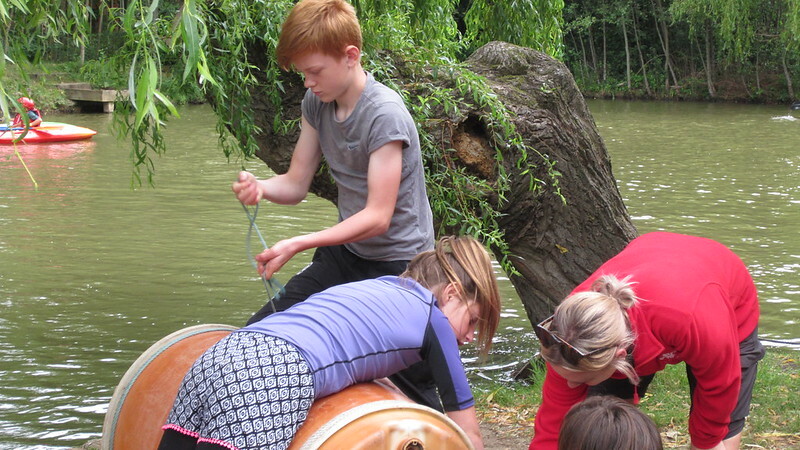 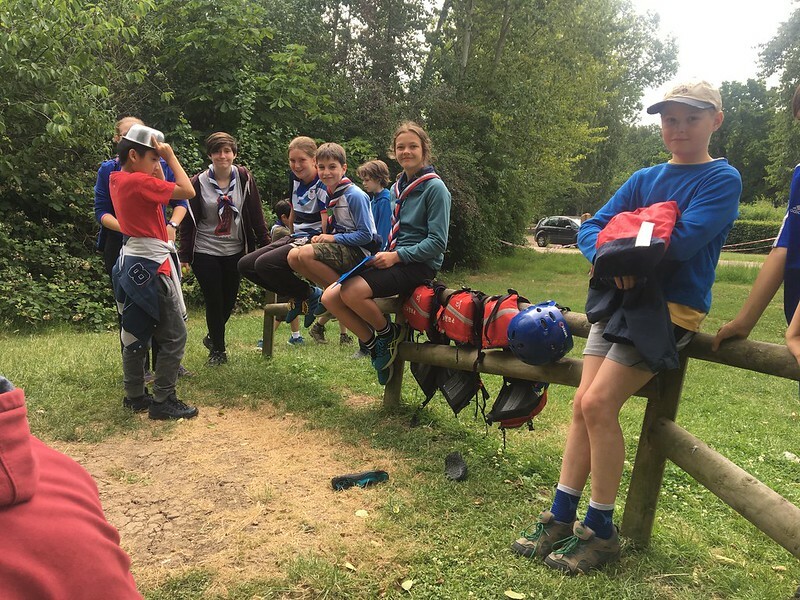 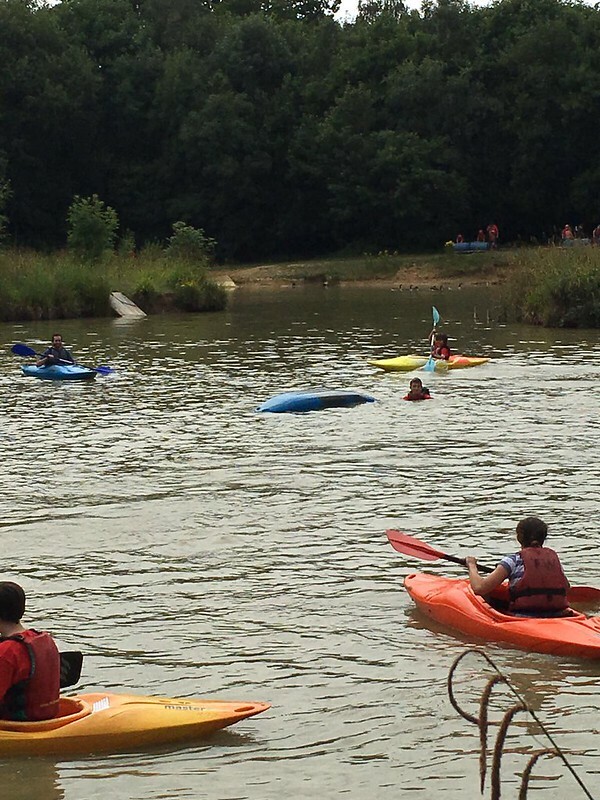 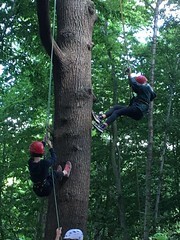 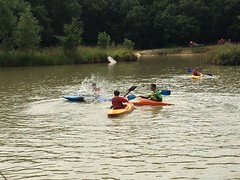 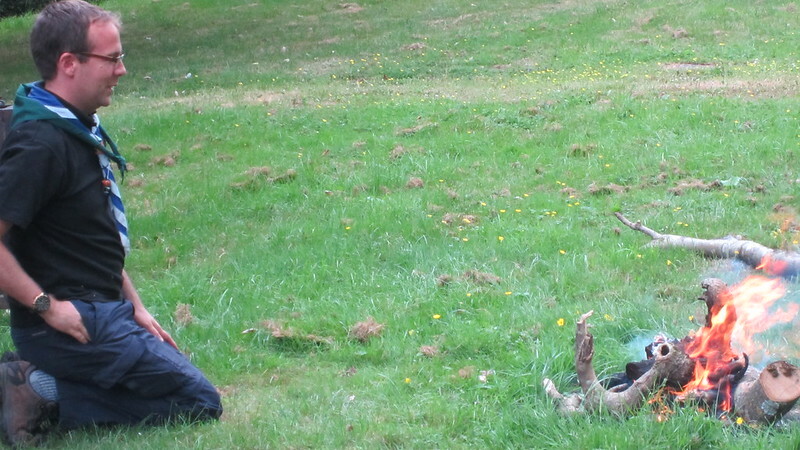 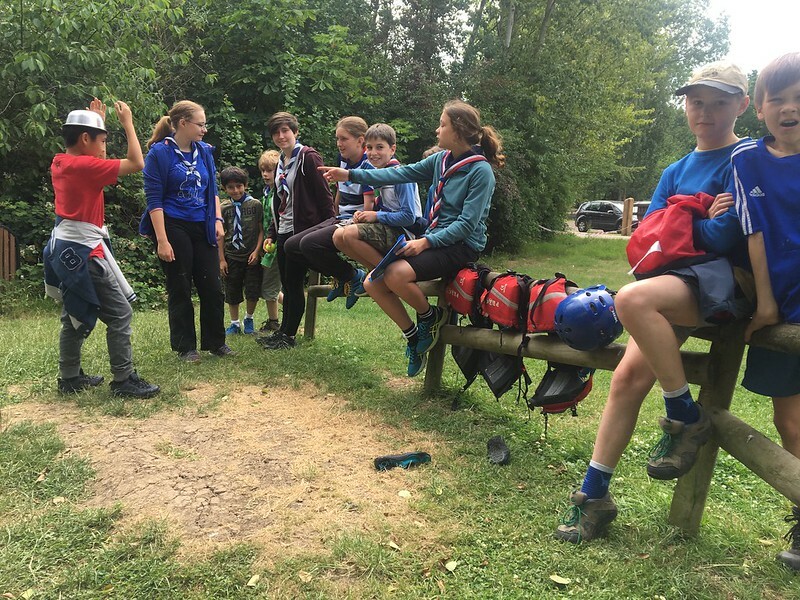 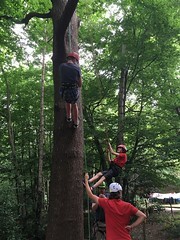 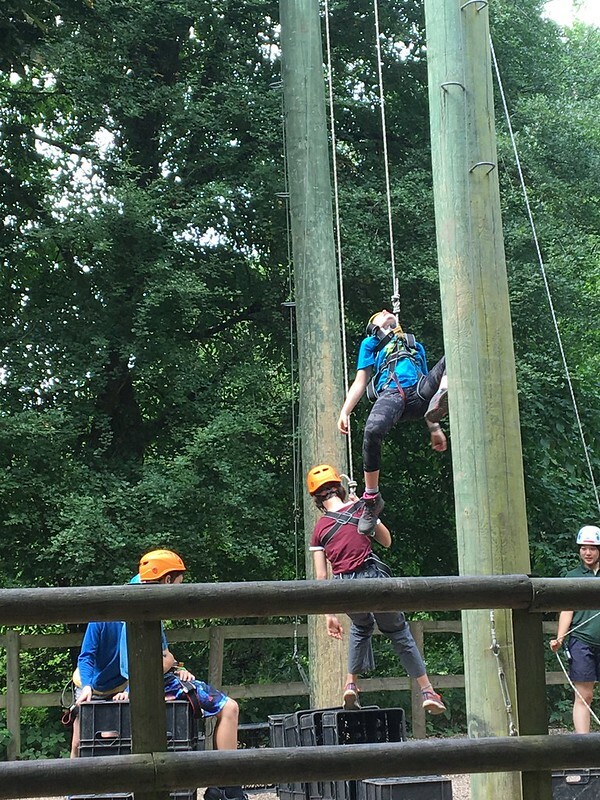 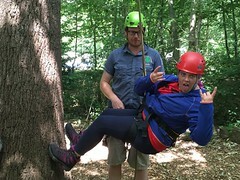 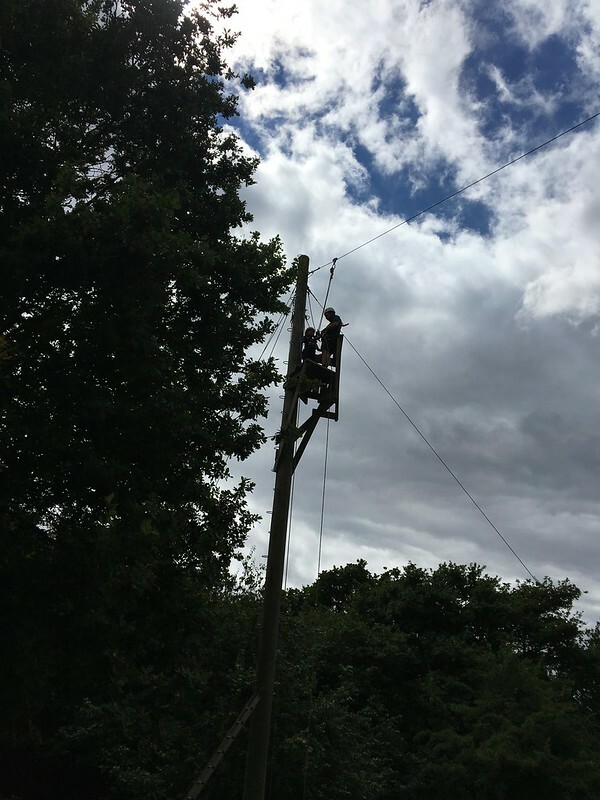 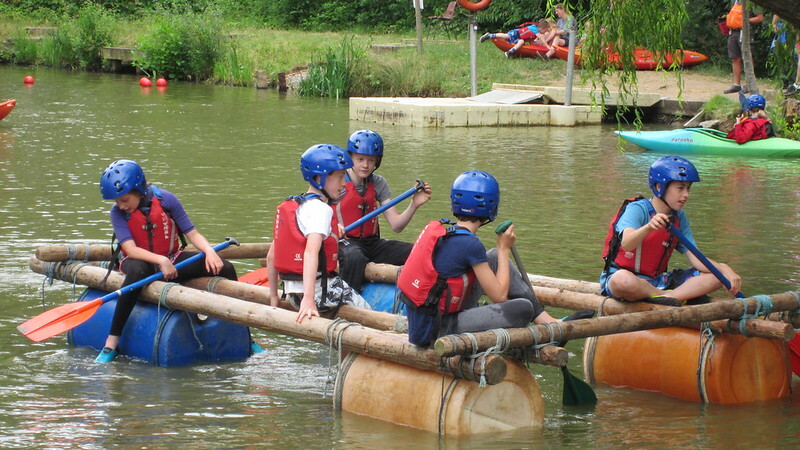 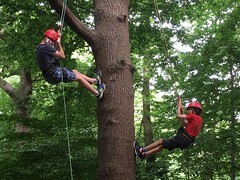 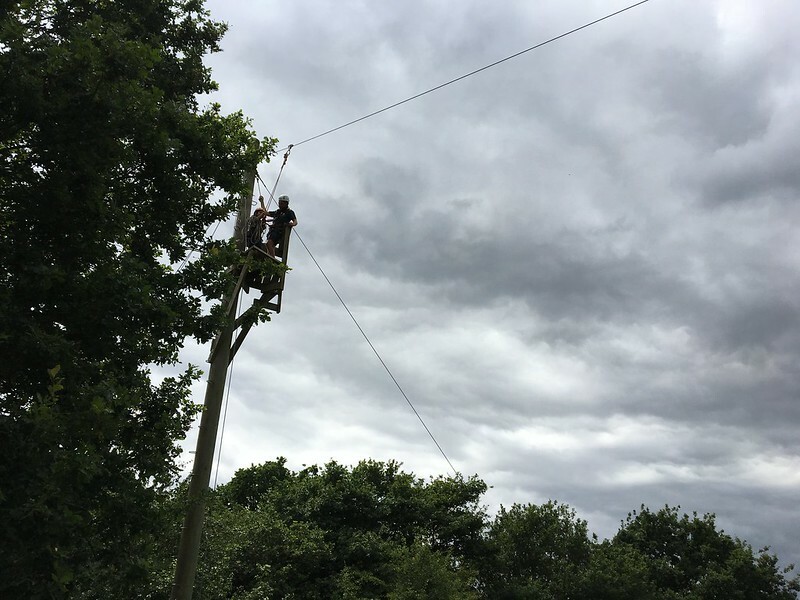 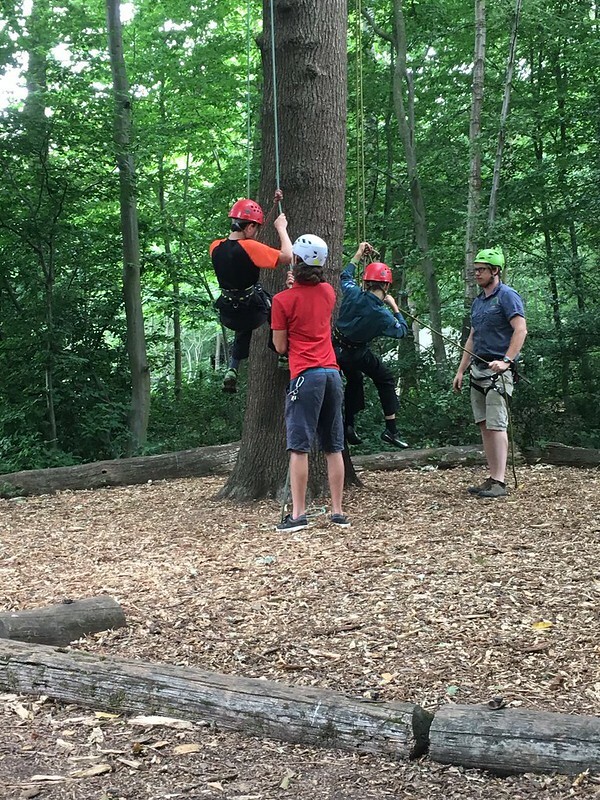 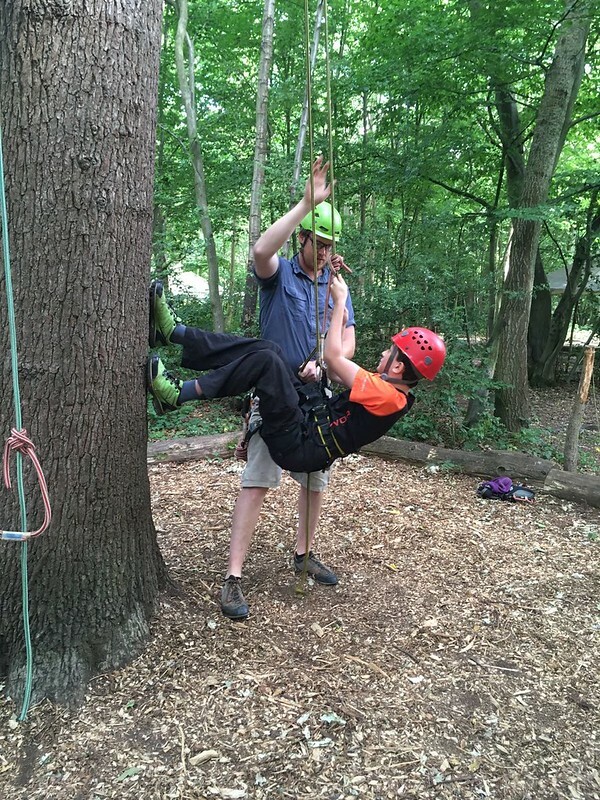 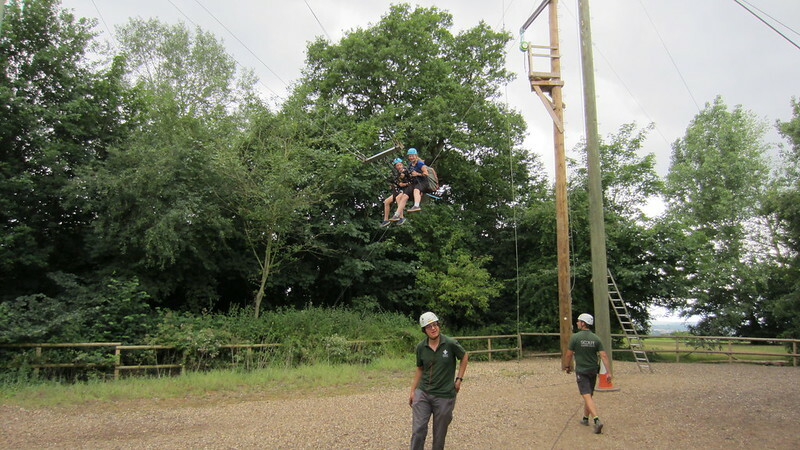 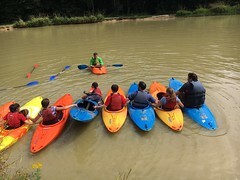 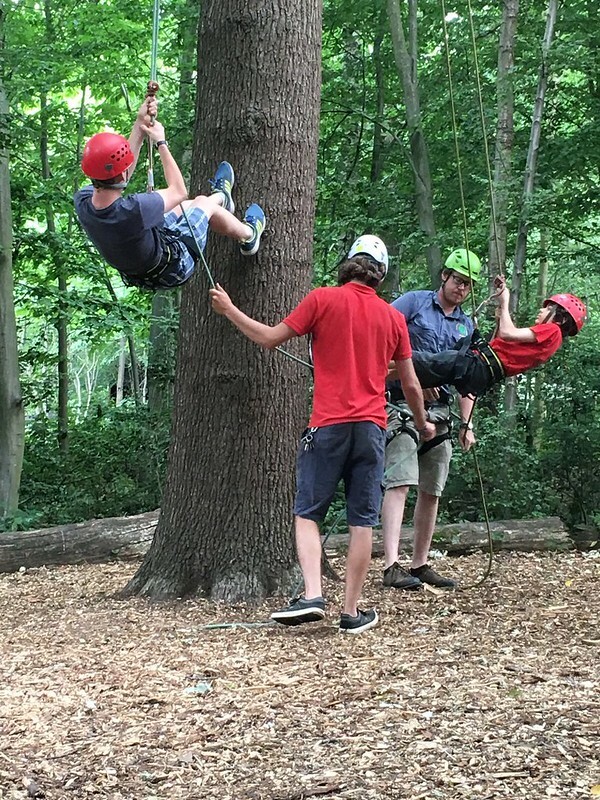 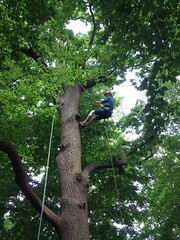 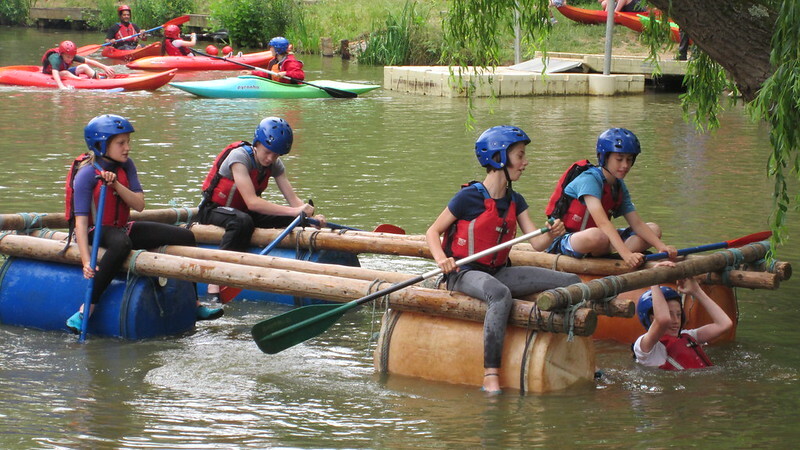 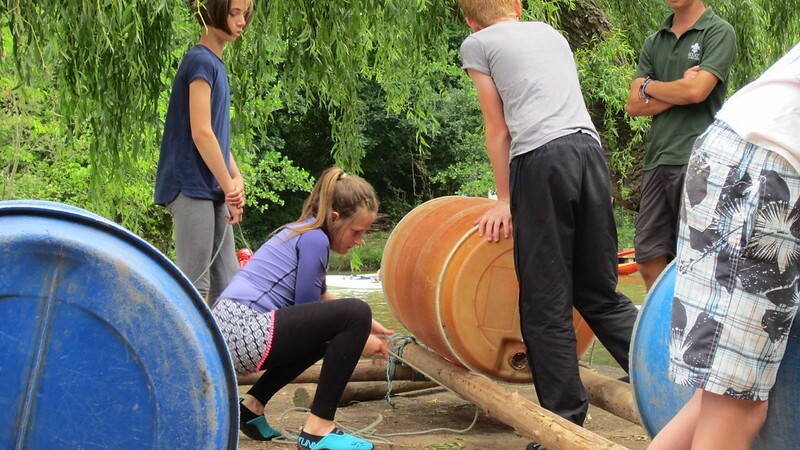 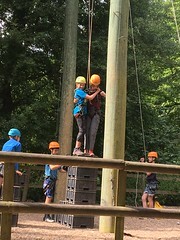 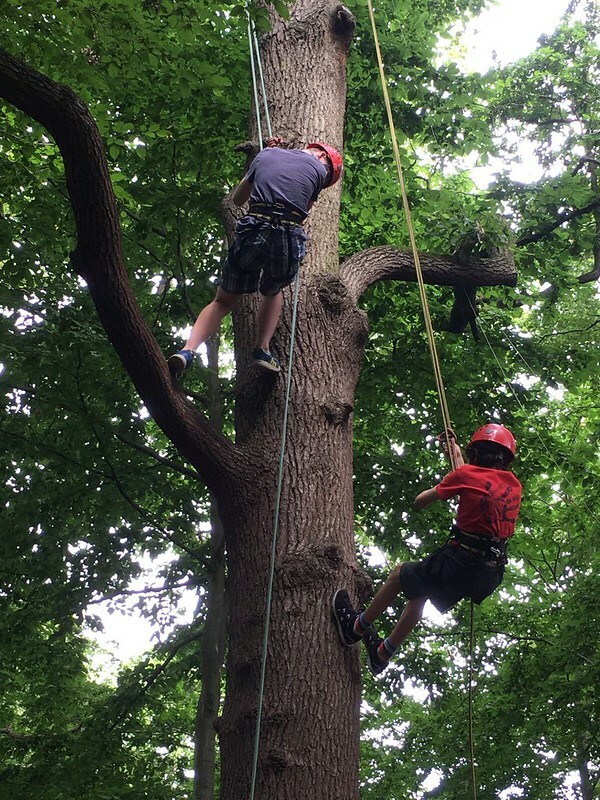 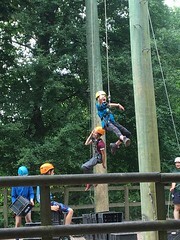 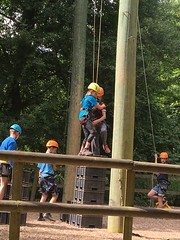 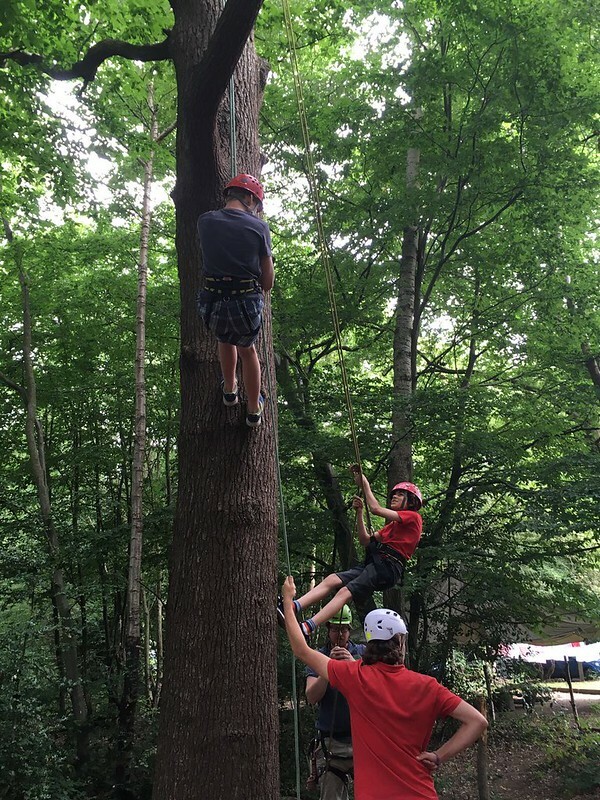 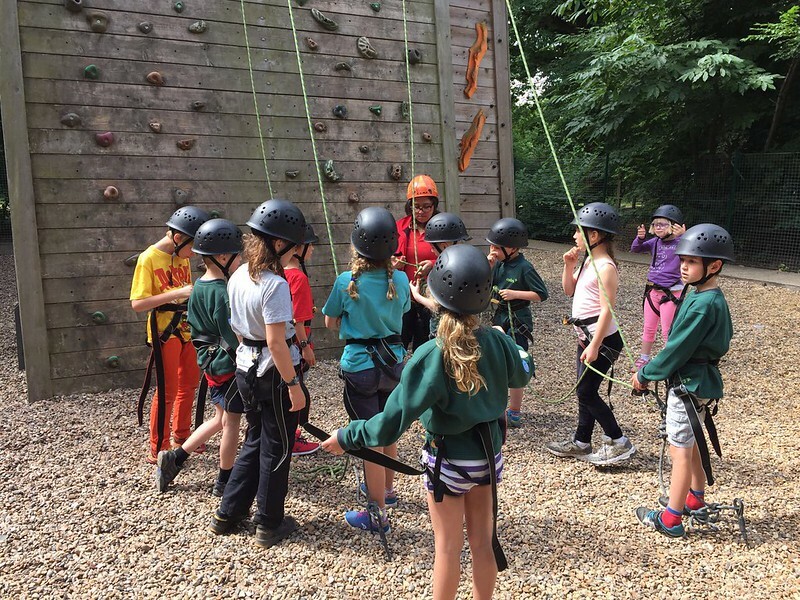 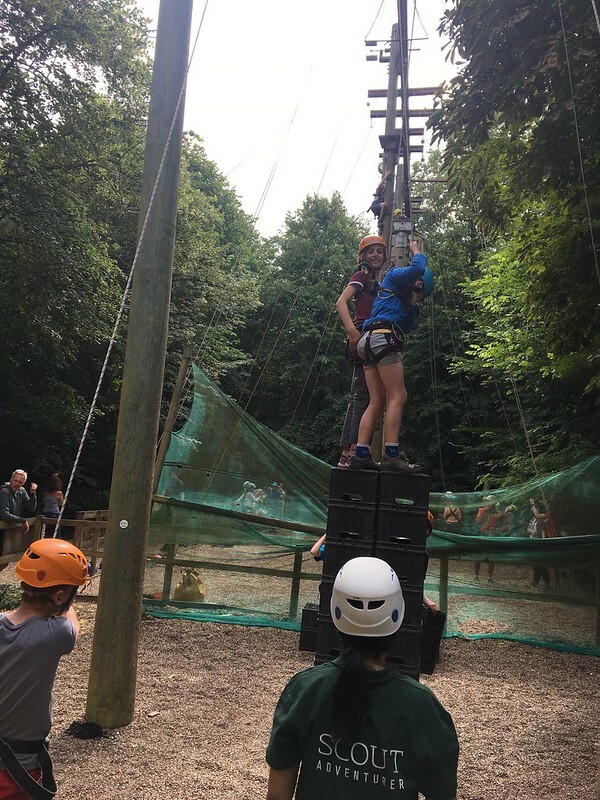 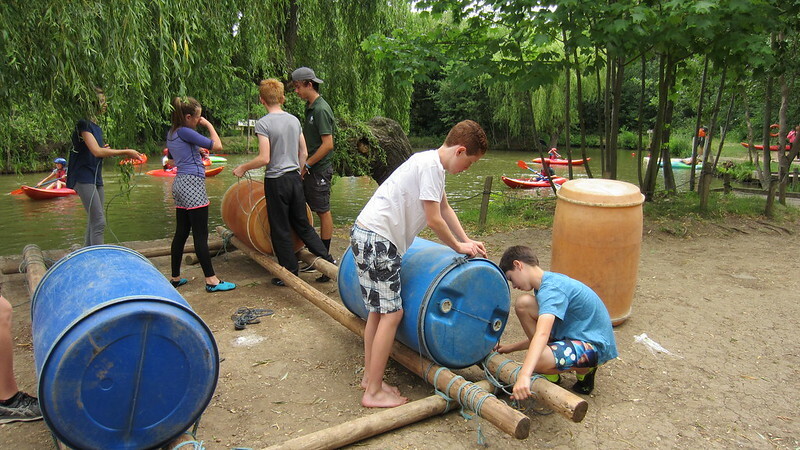 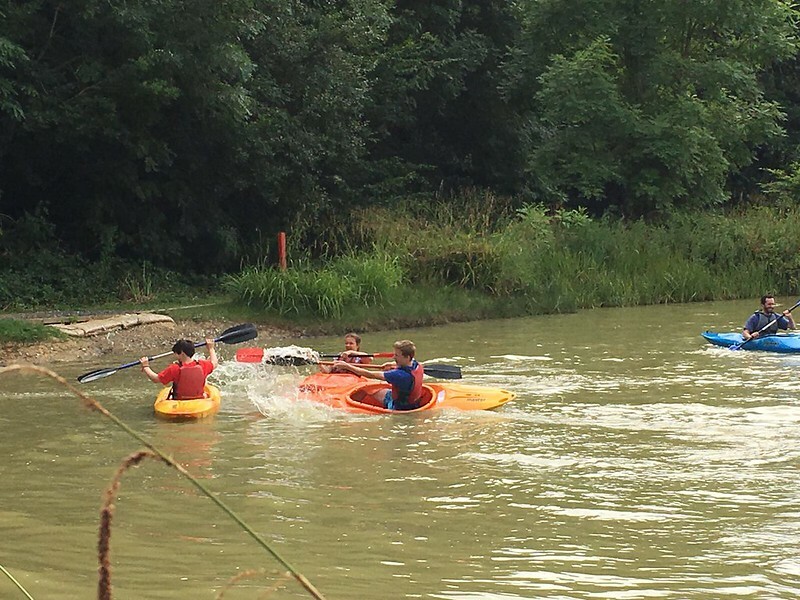 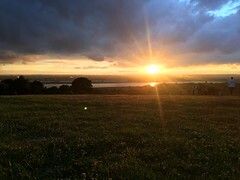 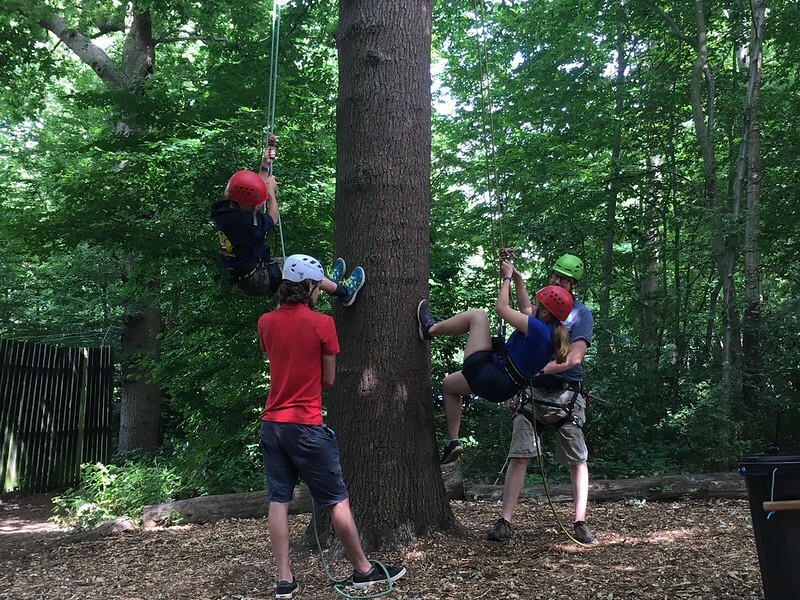 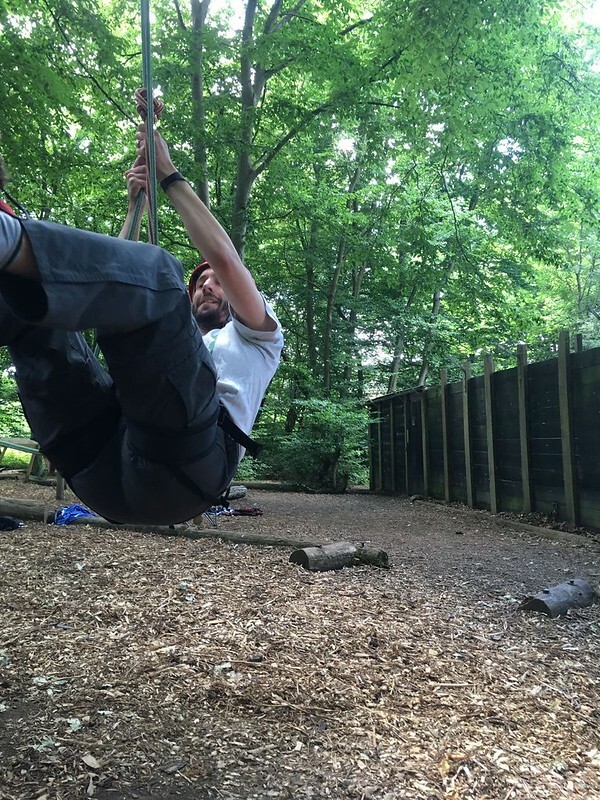 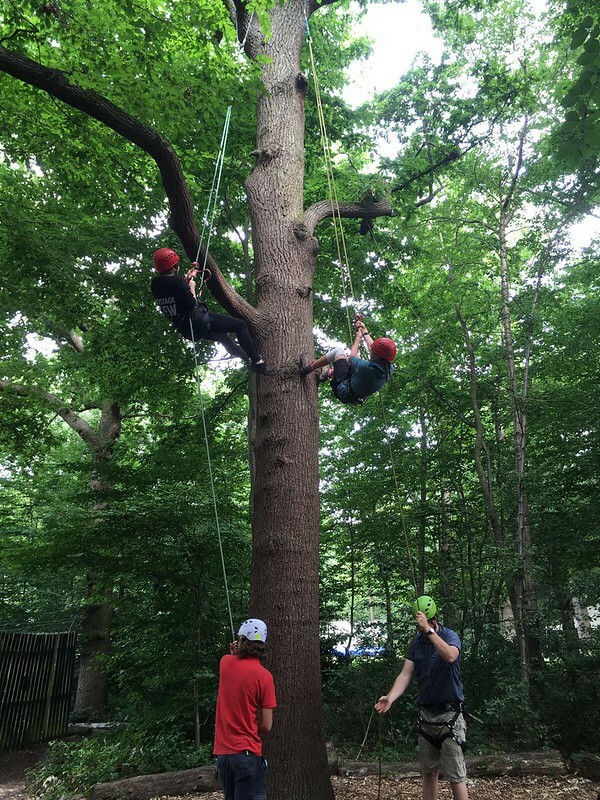 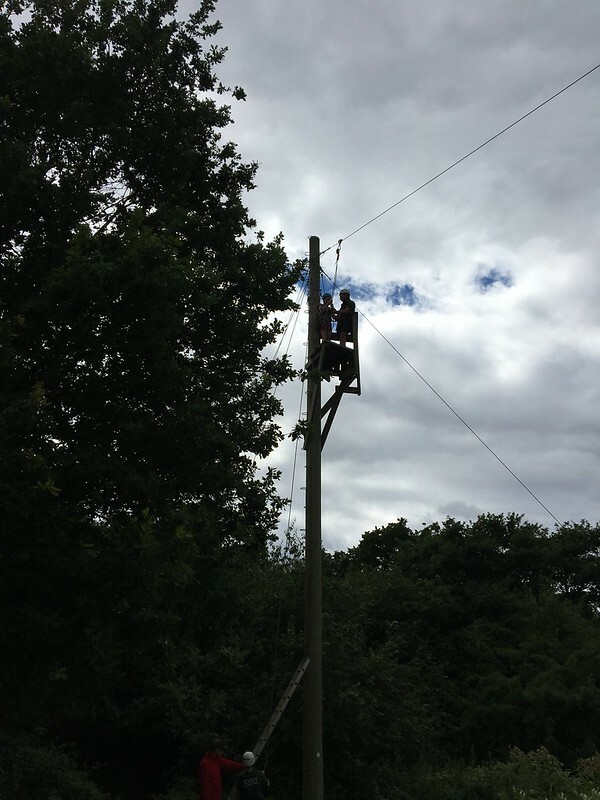 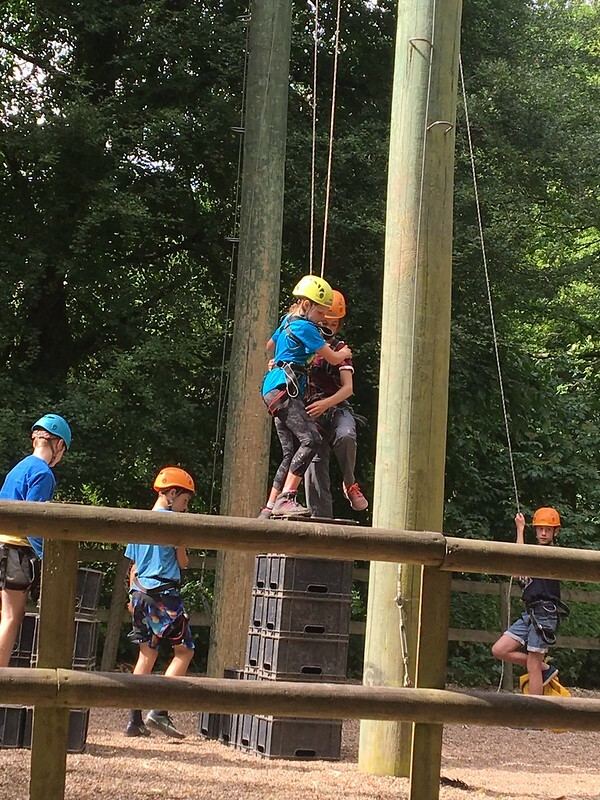 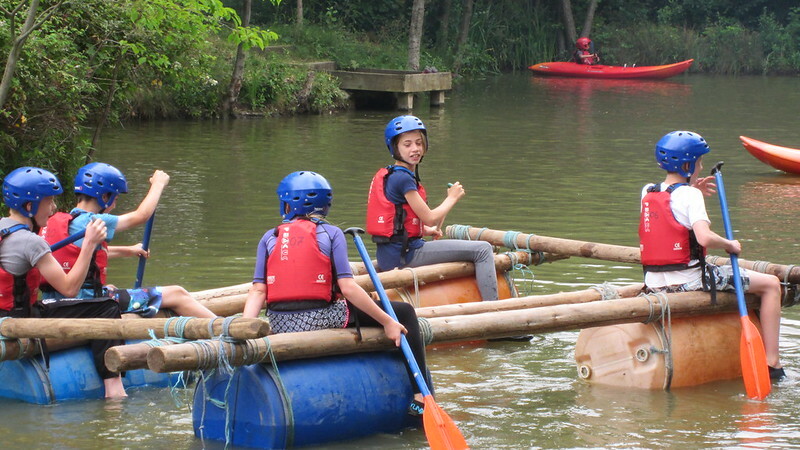 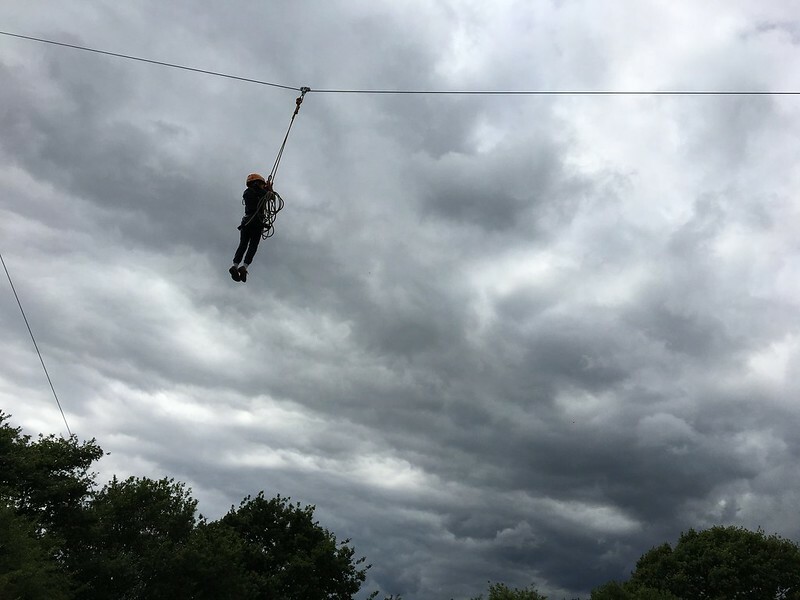 Summer means camping and the weekend trips to Gilwell Park and Thriftwood were fantastic fun…. 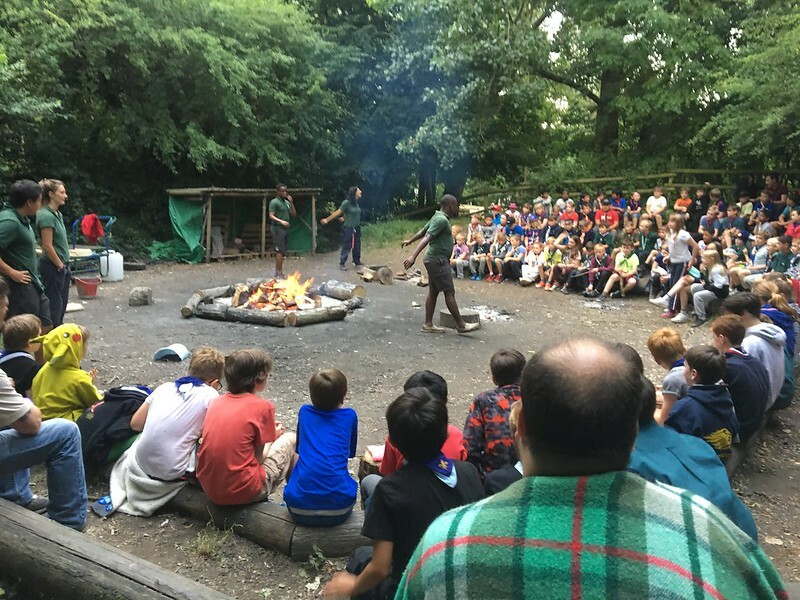 Gilwell was a very much patrol based camp with patrols from Raptor troop scattered across Gilwell, independent of each other and adults who sat in the corner, drank tea and ate cake! 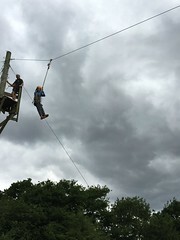 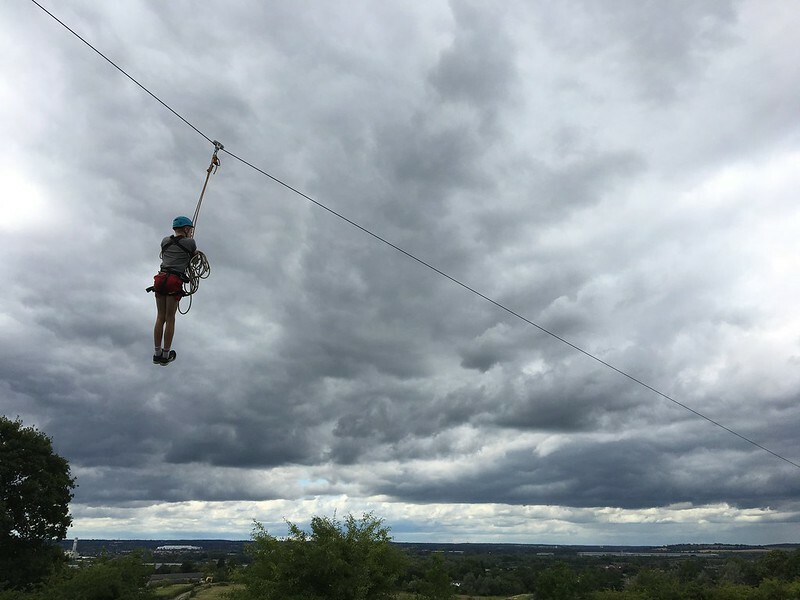 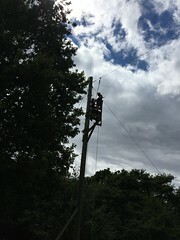 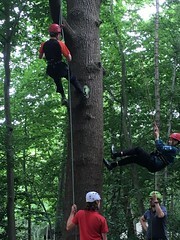 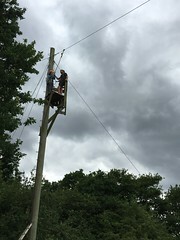 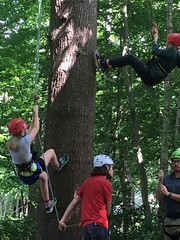 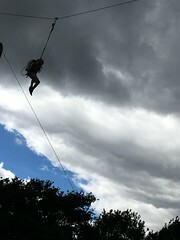 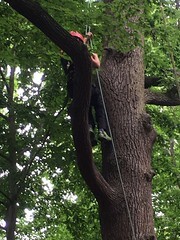 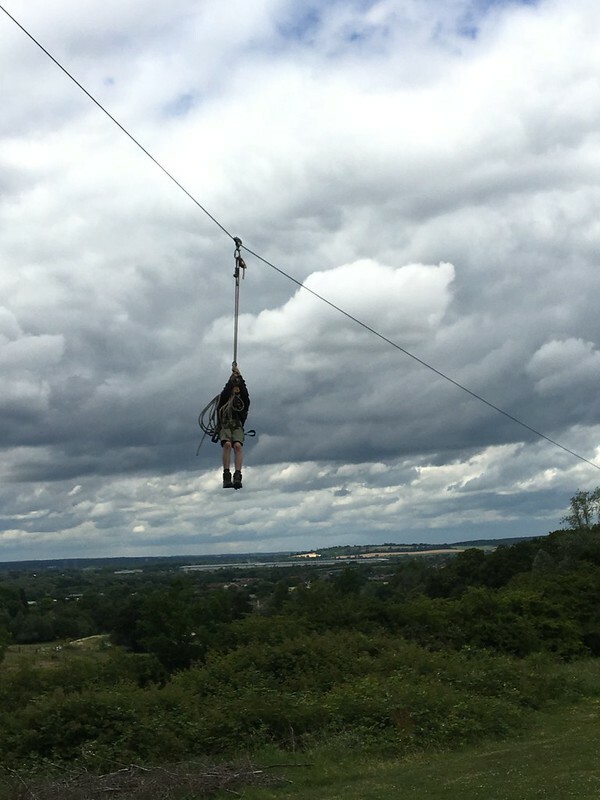 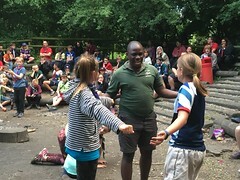 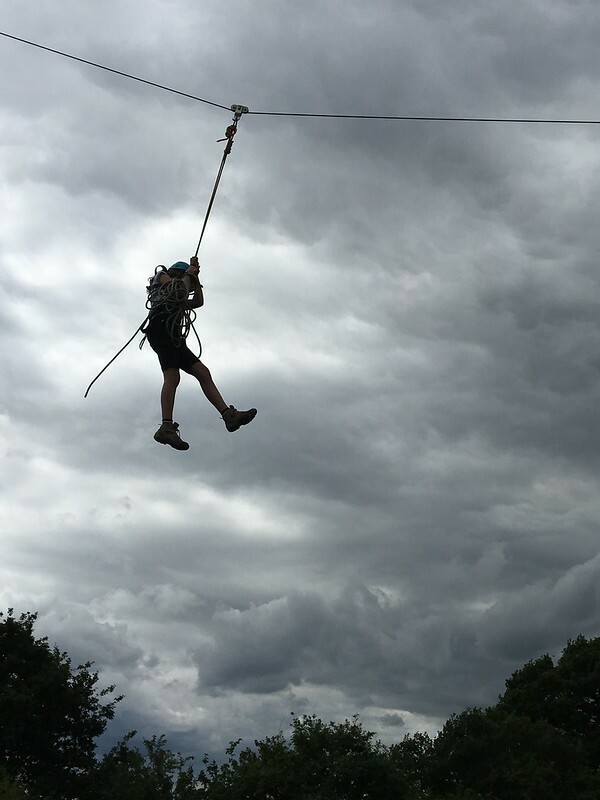 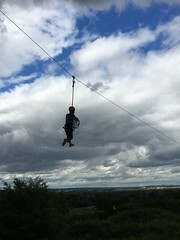 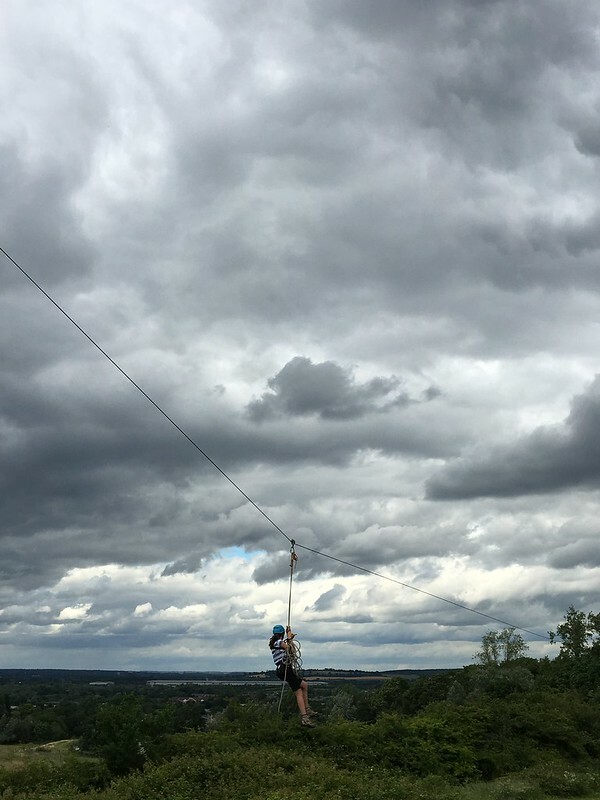 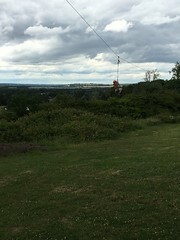 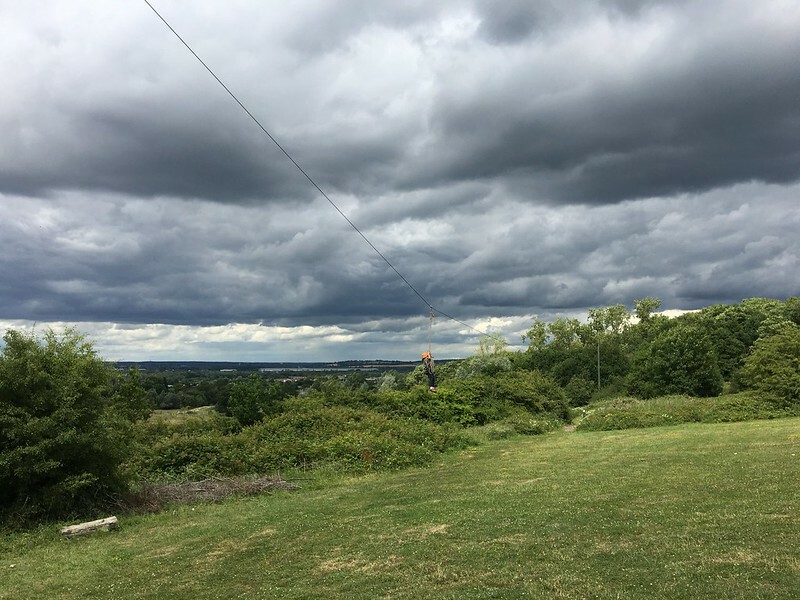 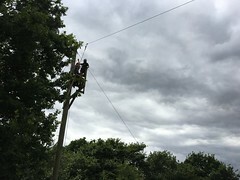 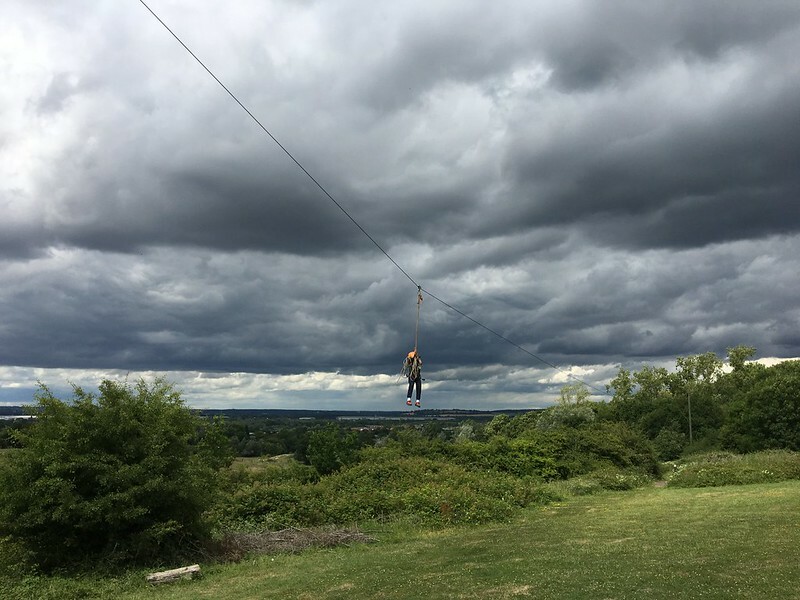 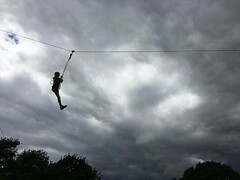 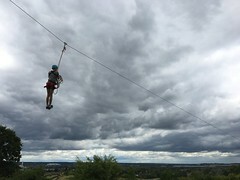 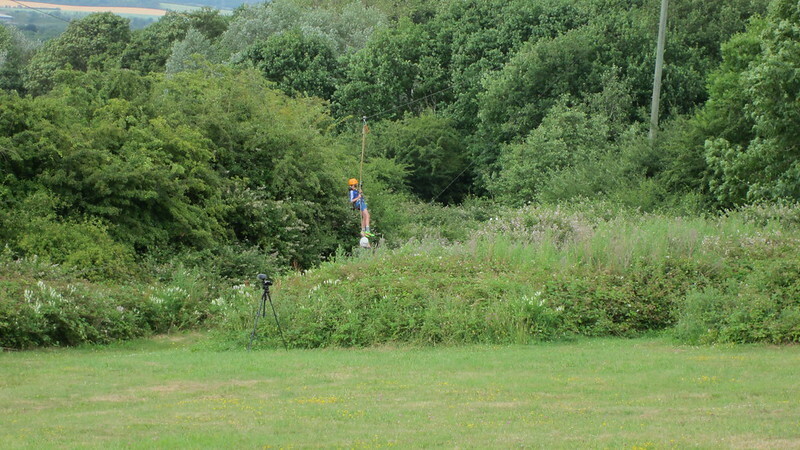 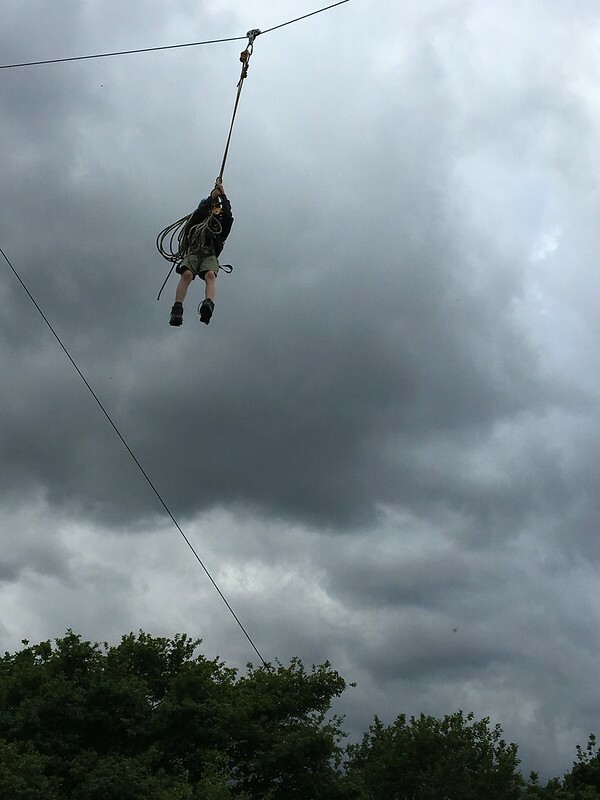 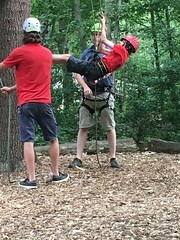 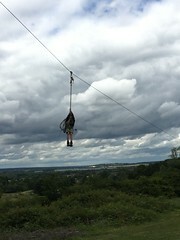 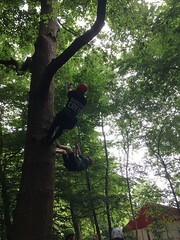 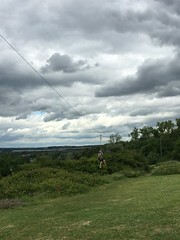 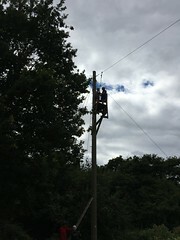 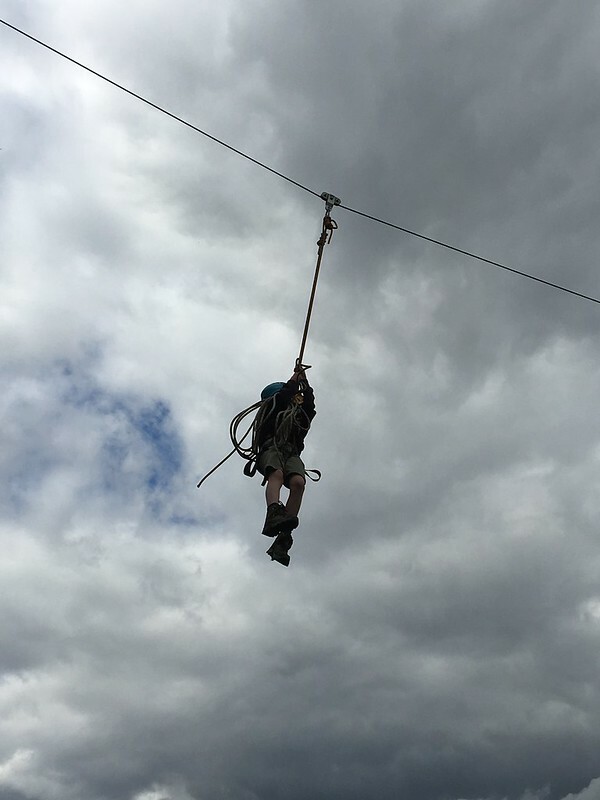 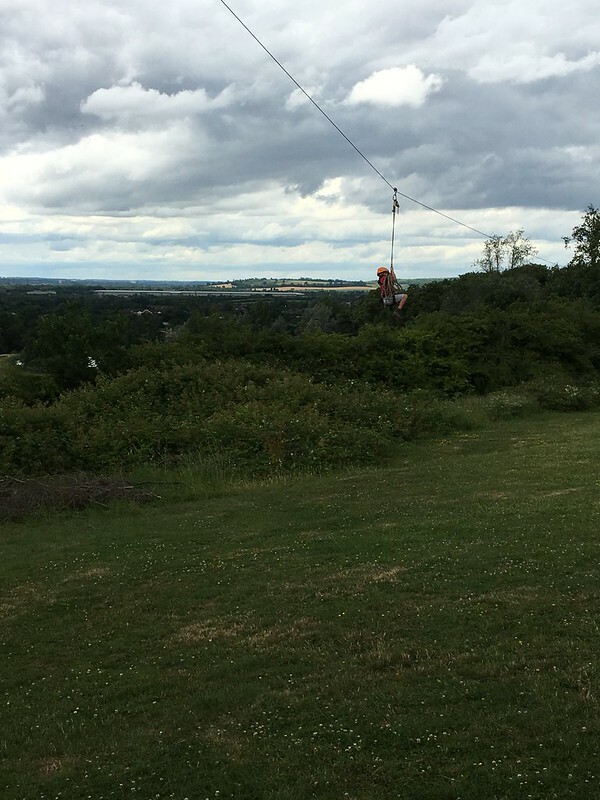 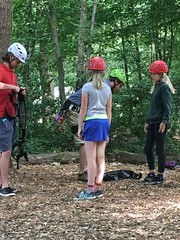 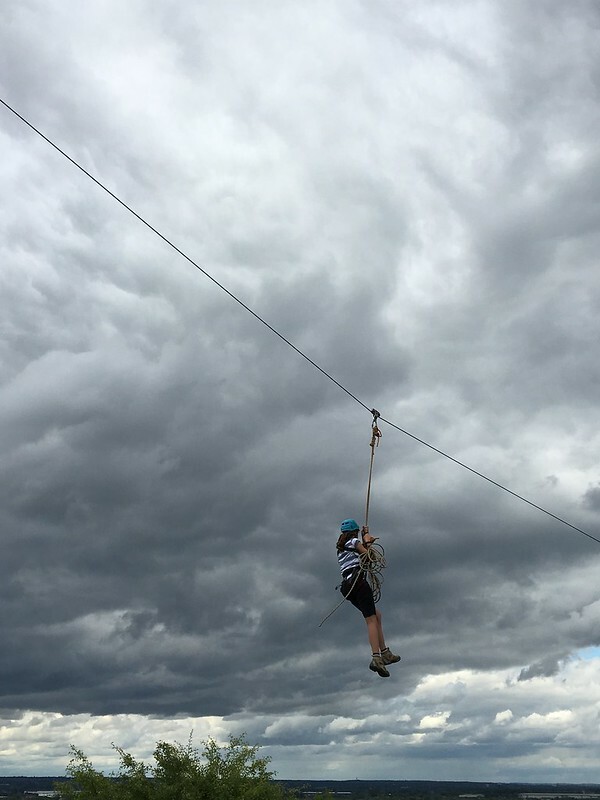 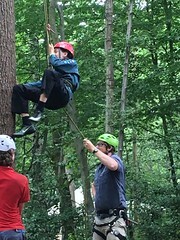 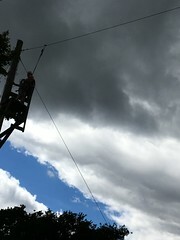 Although we did have a sneaky go at the zip wire 🙂 The camp was planned and run entirely by the scouts themselves although a particular highlight was the massed site campfire and encountering Vincent, the magnificent campfire leader from South Africa. 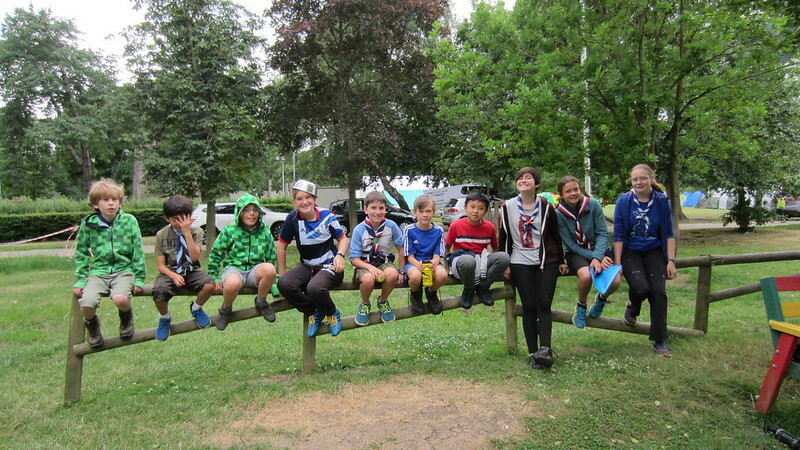 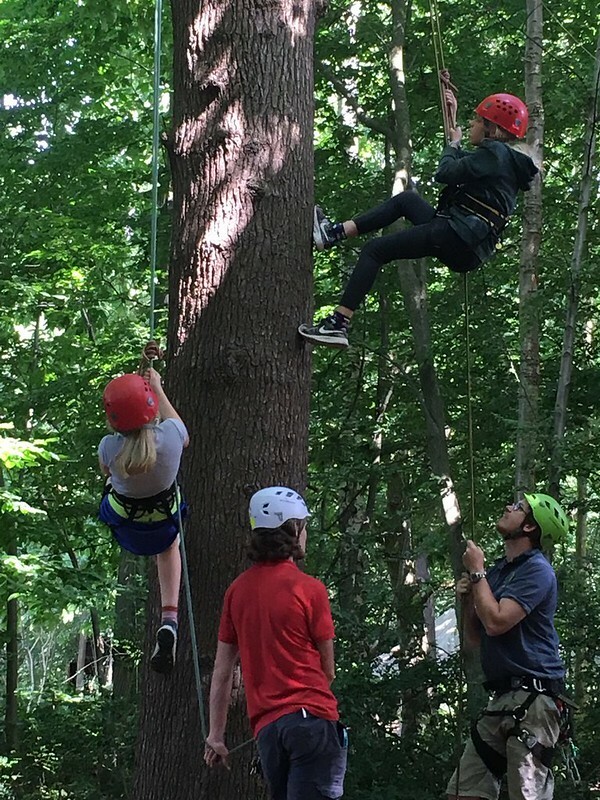 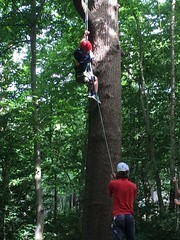 The troop has a new super hero!…. 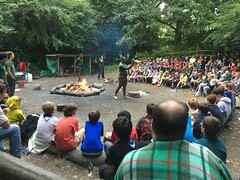 Thriftwood meanwhile was more group based, with the cubs in tow with the scouts getting the chance to be a thoroughly bad influence on them!